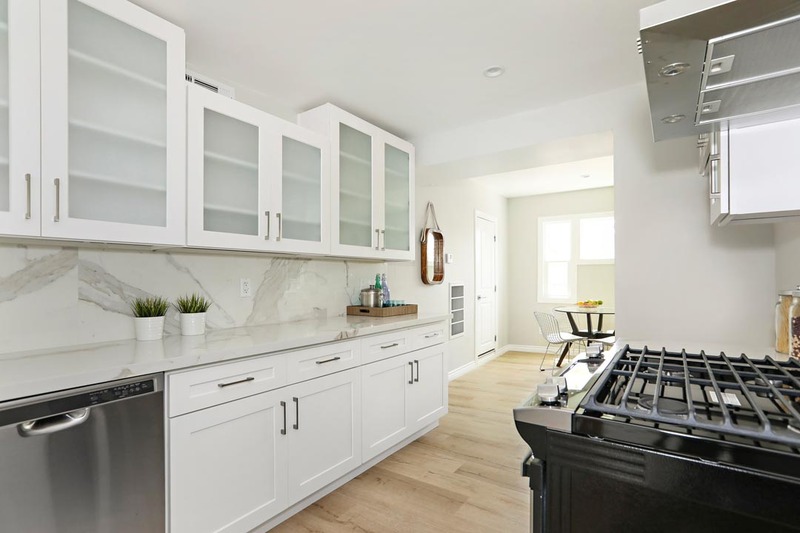 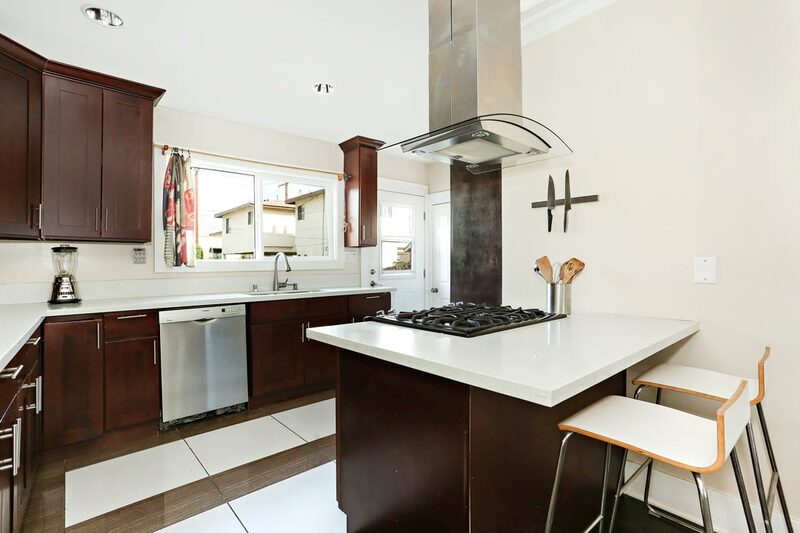 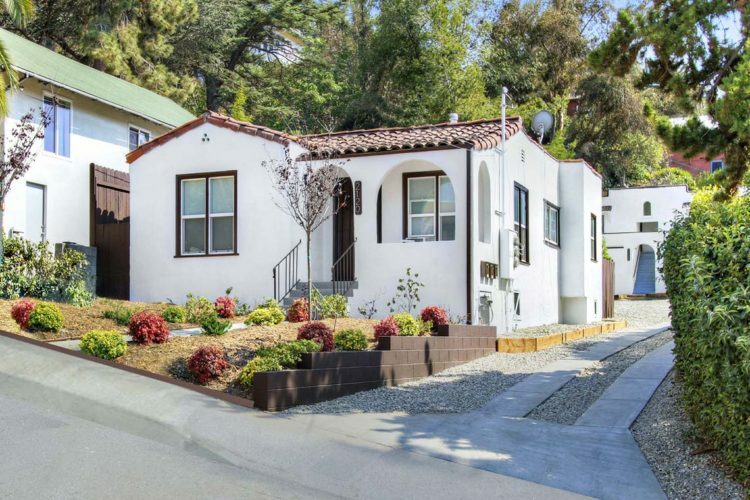 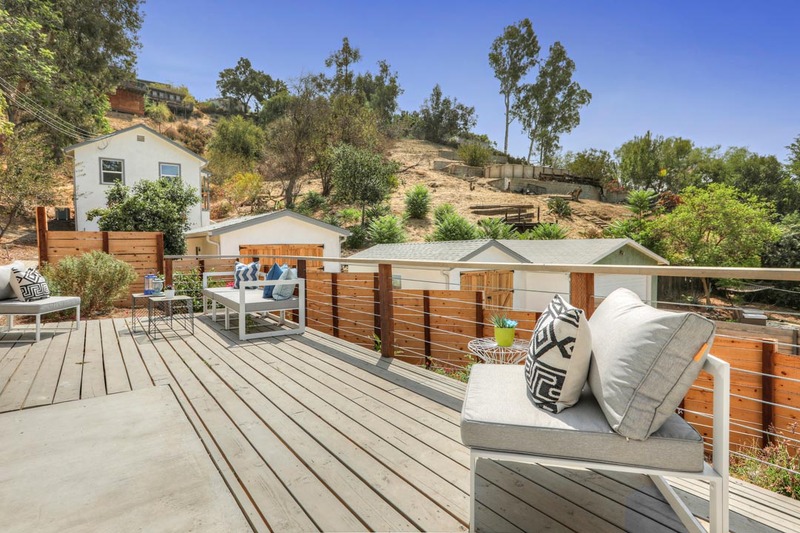 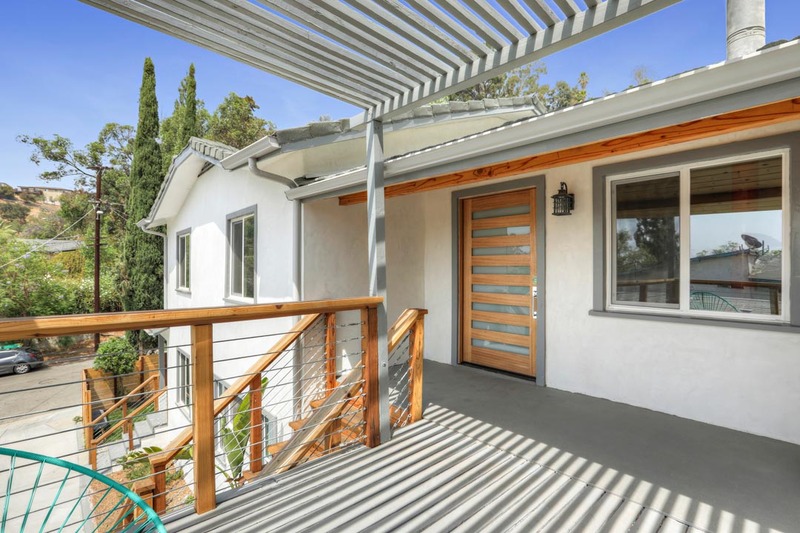 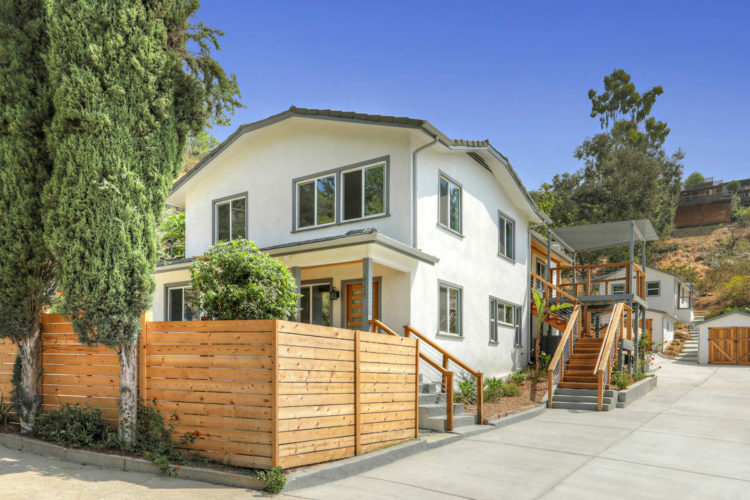 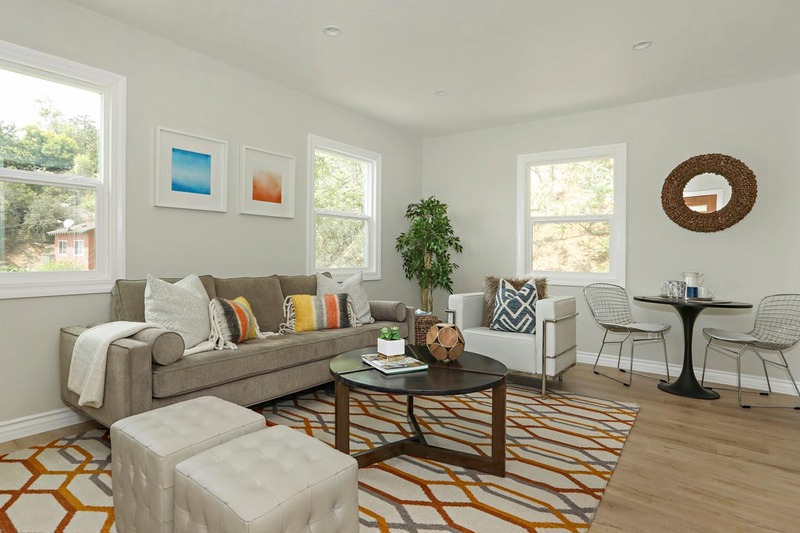 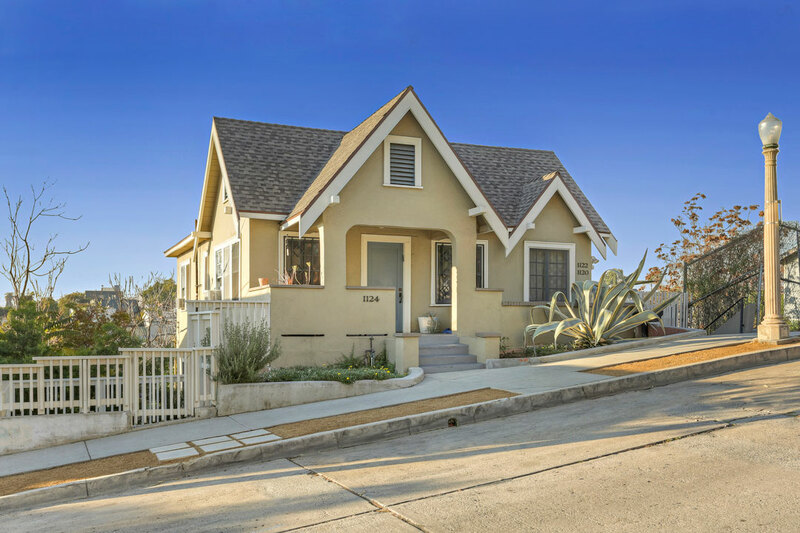 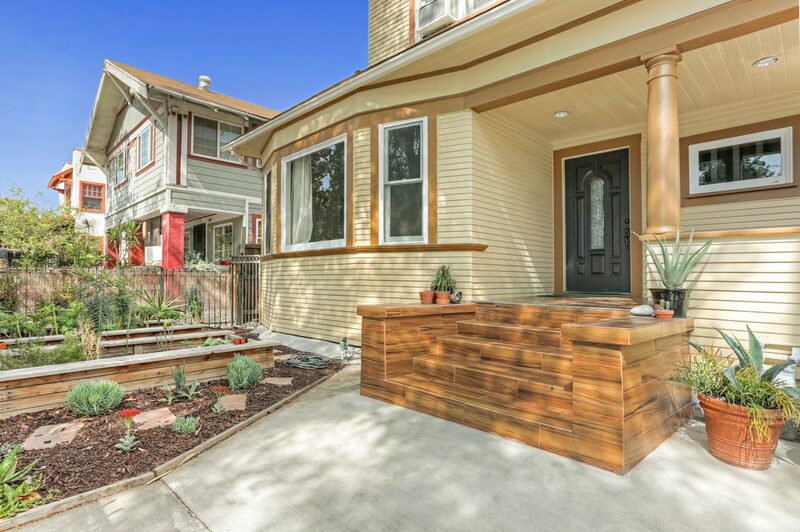 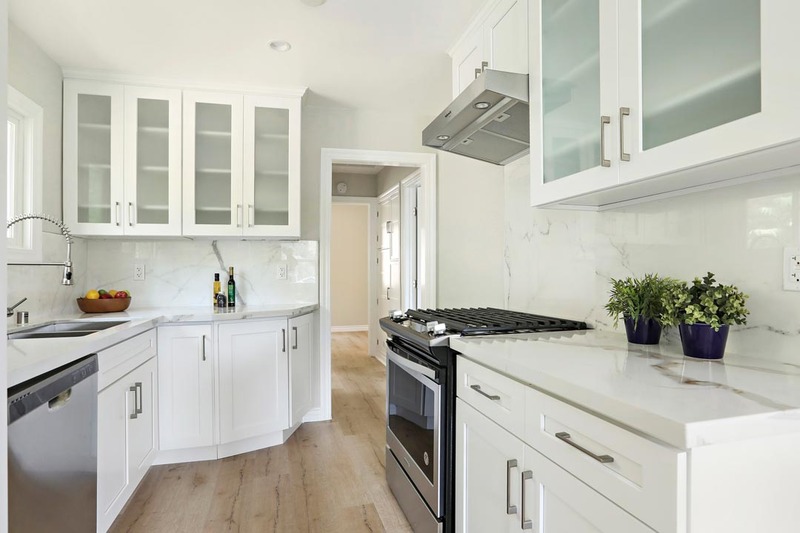 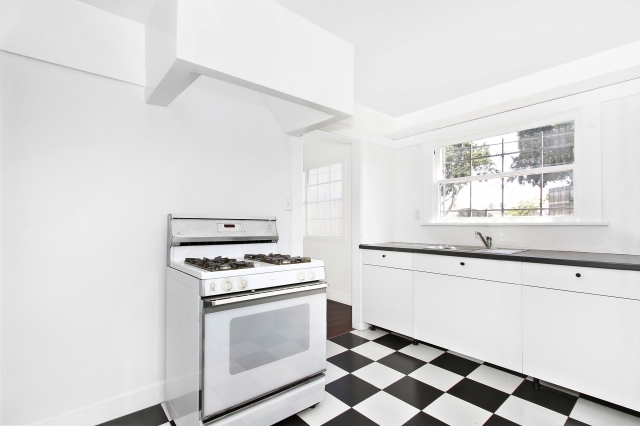 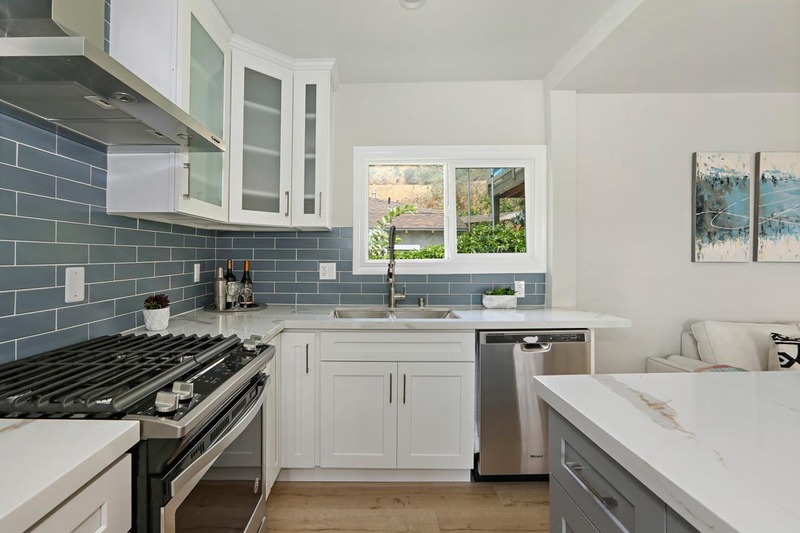 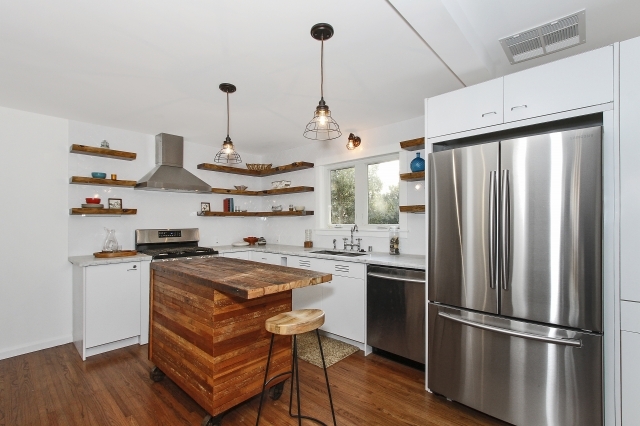 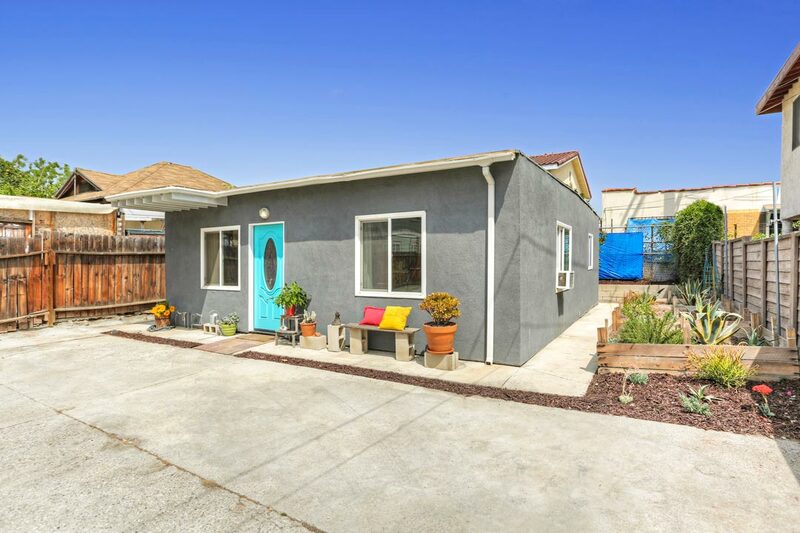 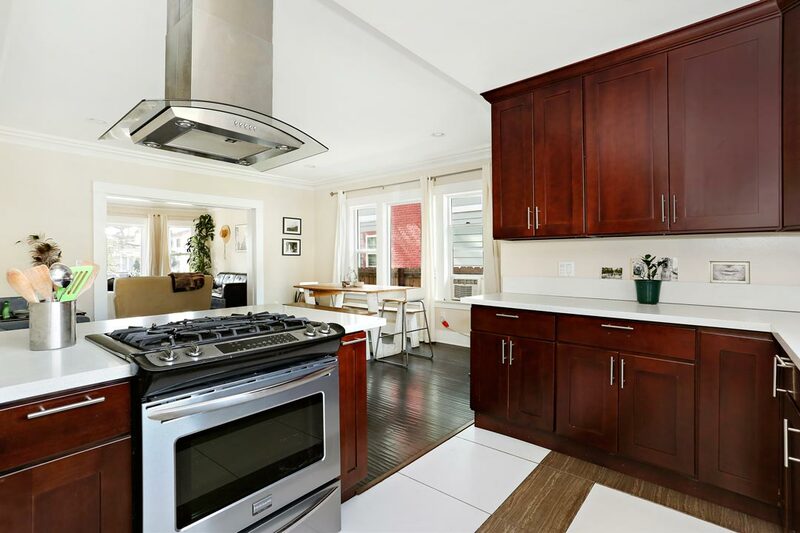 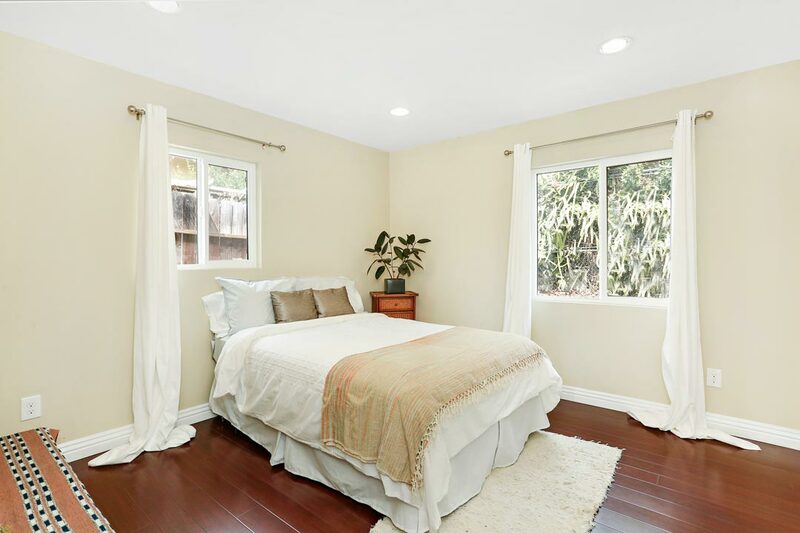 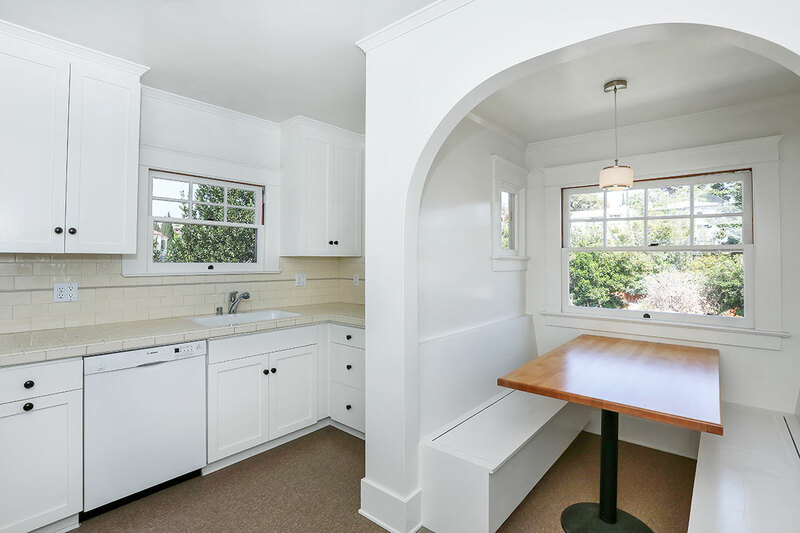 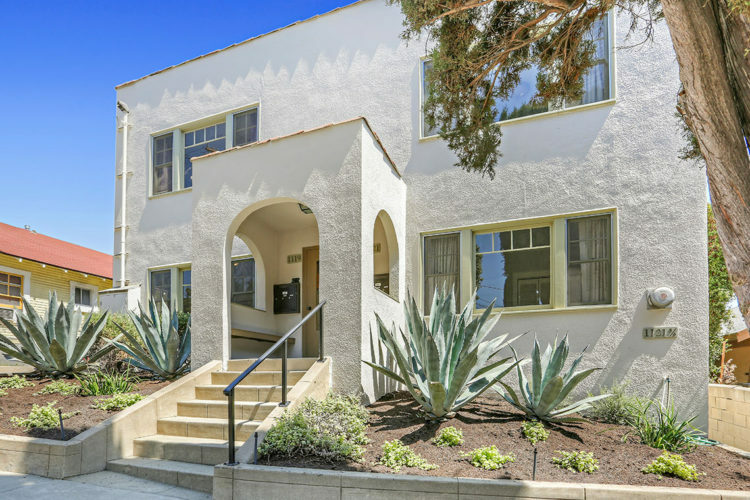 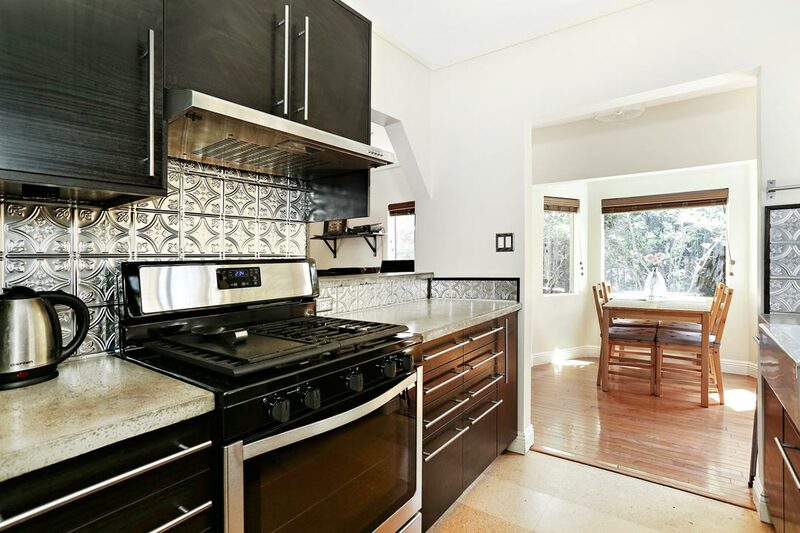 This beautifully remodeled triplex in prime Highland Park will be delivered vacant, providing a choice opportunity for an owner-user or investor seeking income. 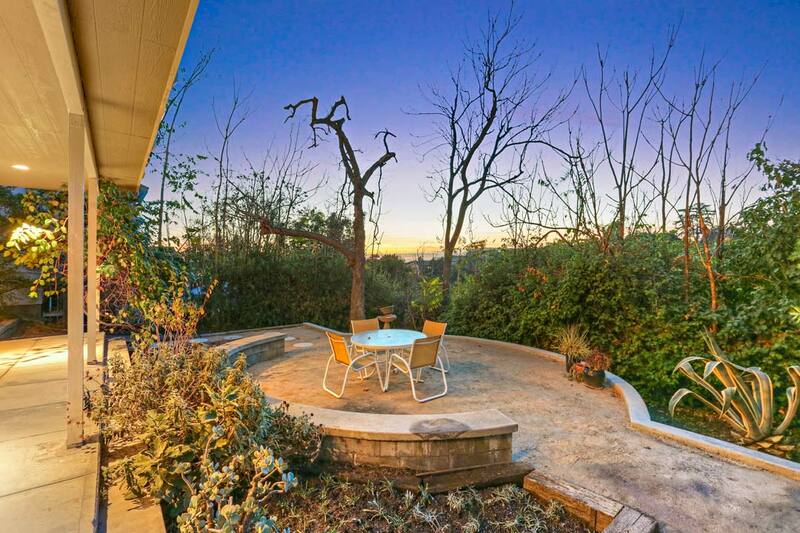 The property is nestled at the end of a hilltop cul-de-sac, feeling like a private compound with the added bonus of sweeping treetop views. 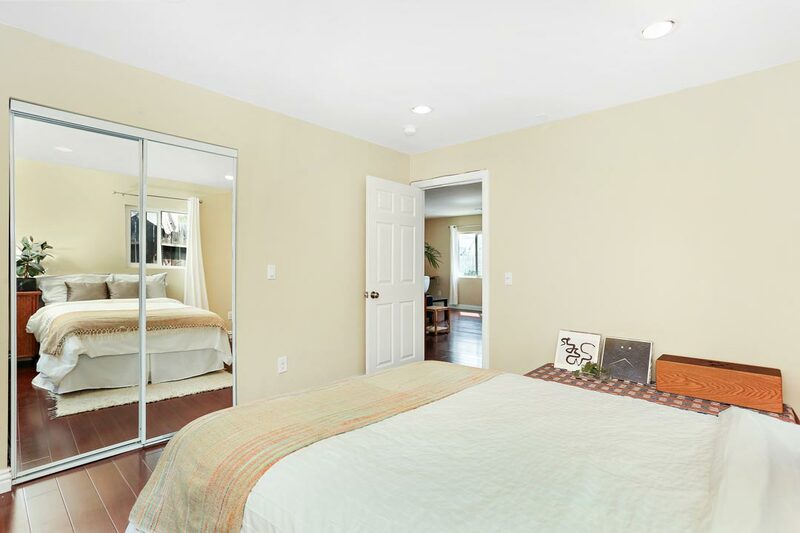 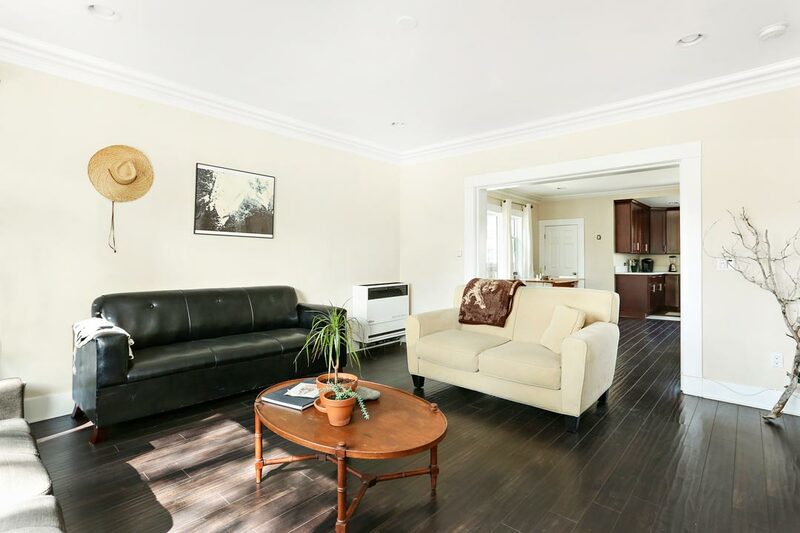 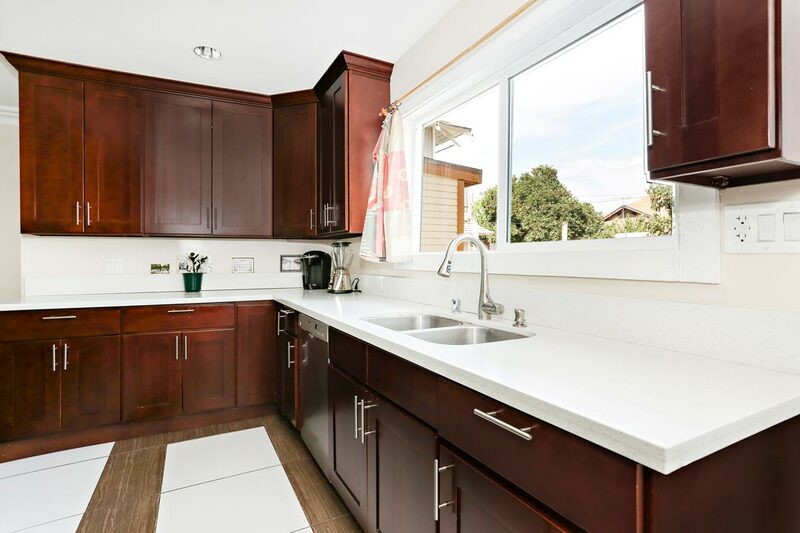 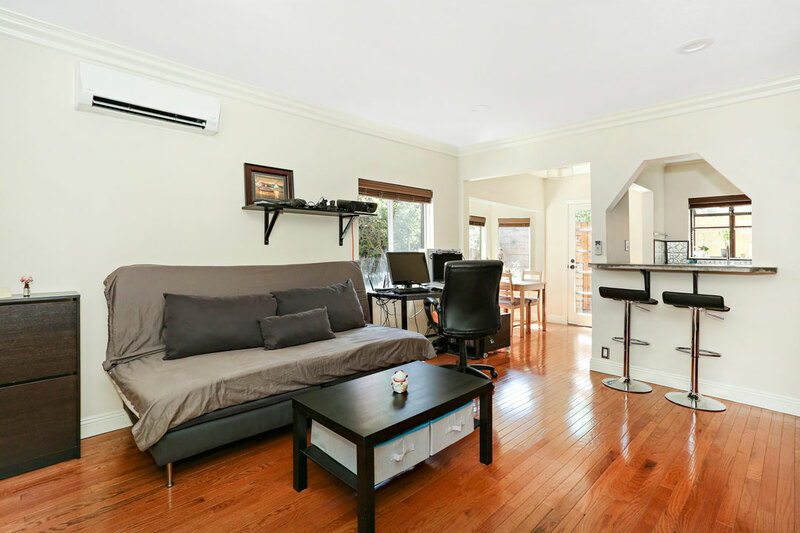 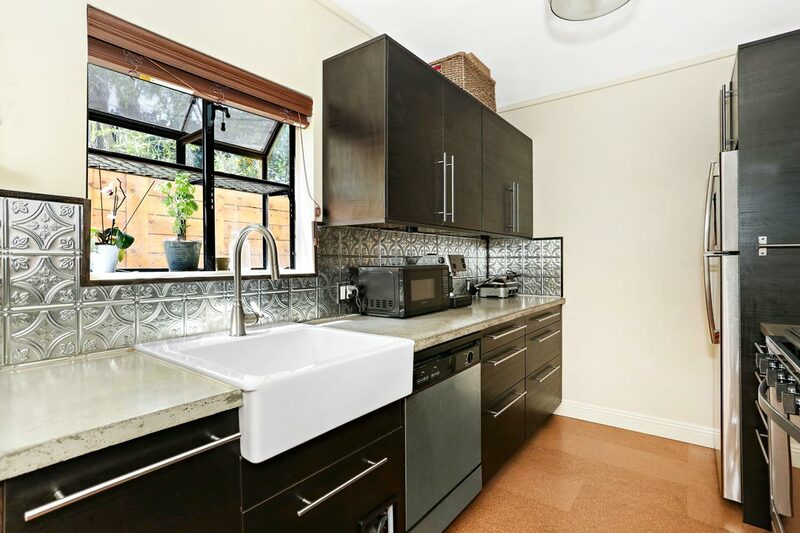 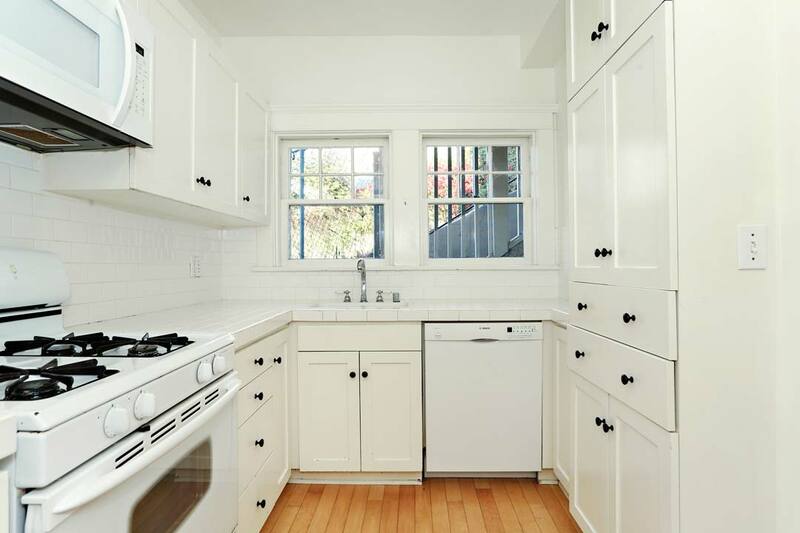 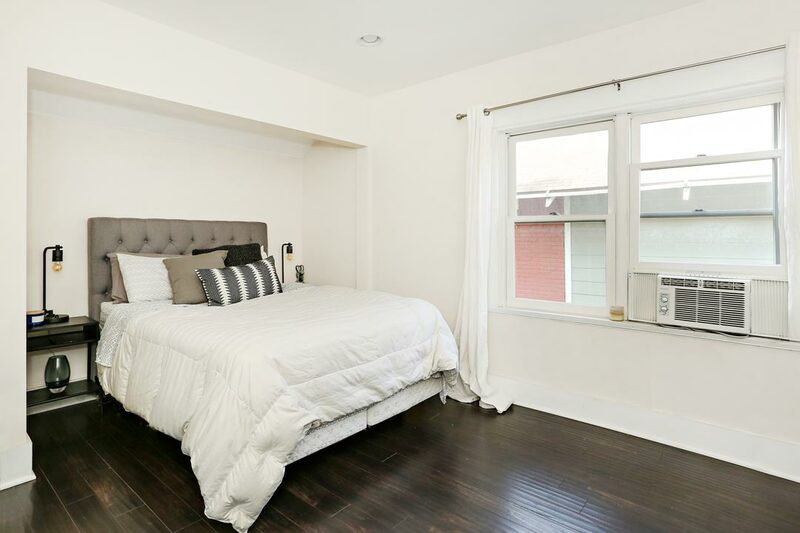 All three units have been thoroughly and very stylishly renovated, and each has private outdoor space. 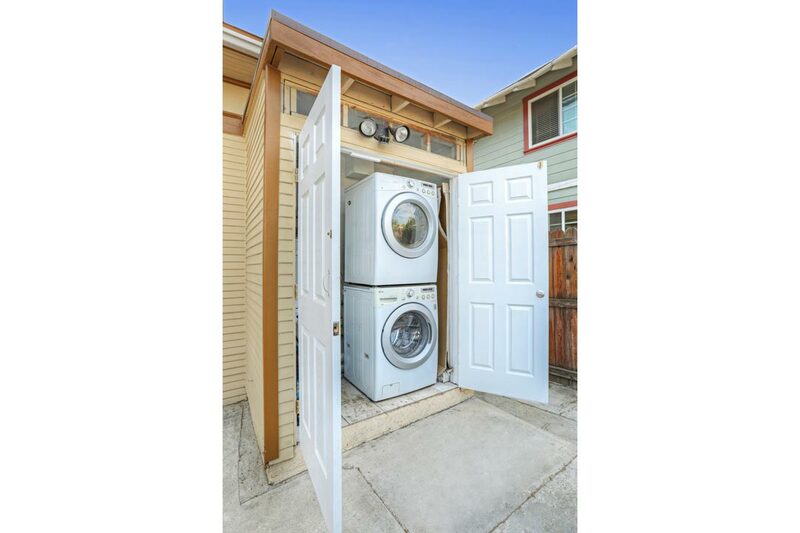 Two units are arranged as upper/lower; one is fully detached. 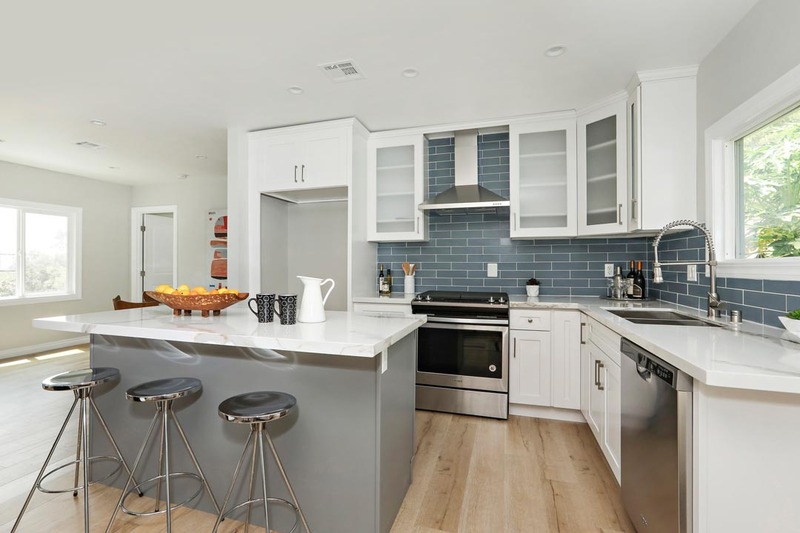 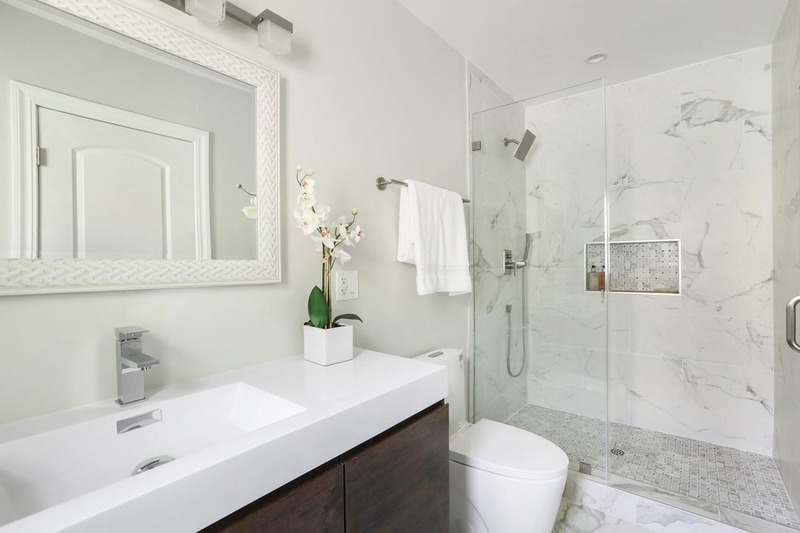 Standout design features include recessed lighting, hard surface flooring, wood cabinetry, exquisite tile and stone work, stainless steel appliances and central HVAC systems. 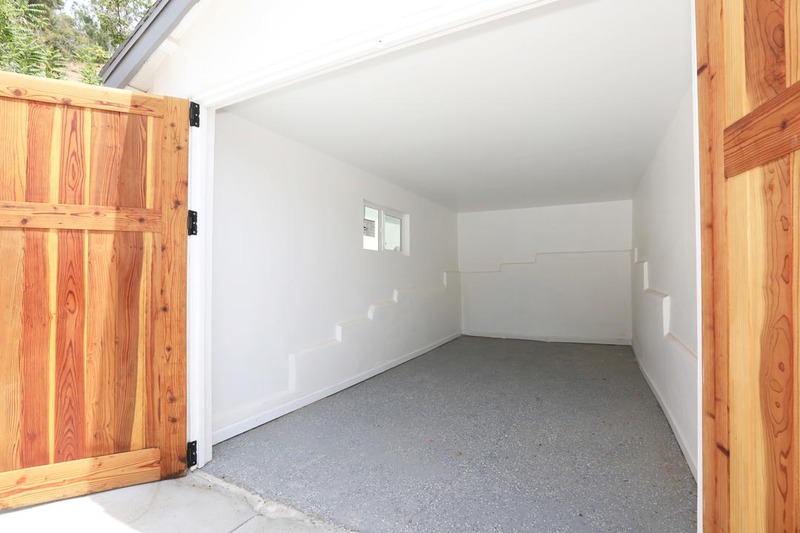 There are two garages and lovely outdoor areas with a sense of tranquility and calm. 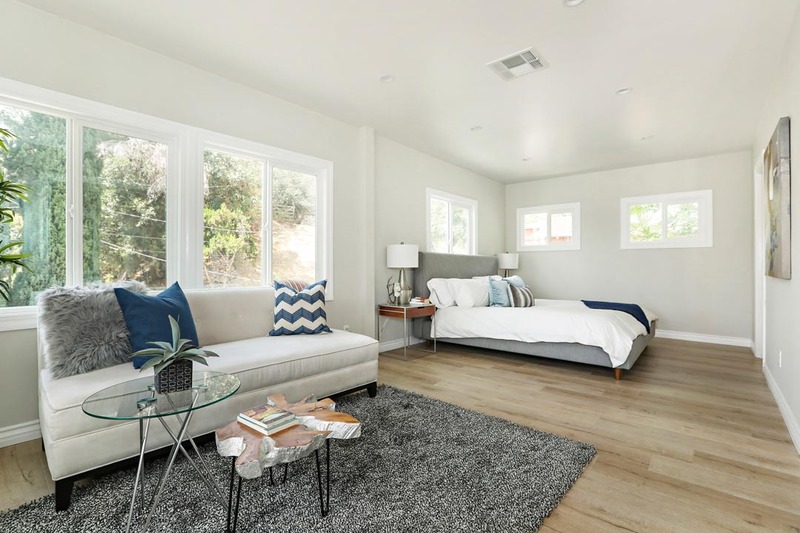 Enjoy pride of ownership along with the potential for top-dollar rents in LA’s trendiest enclave. Nearby favorites include York Boulevard hot-spots Cafe de Leche, Joy, Town Pizza and more. 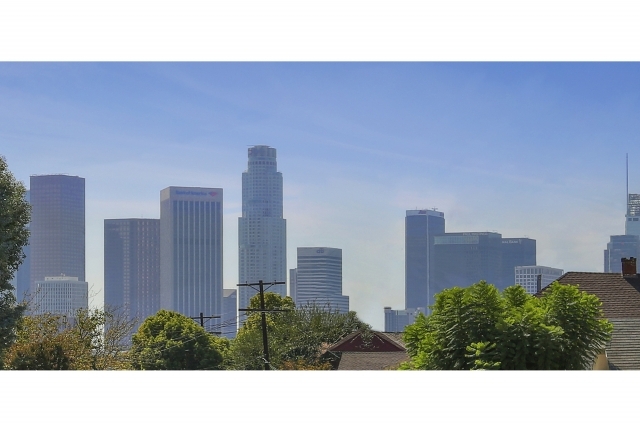 For commuters, access is easy to nearby Pasadena, Glendale/Burbank and Downtown LA. 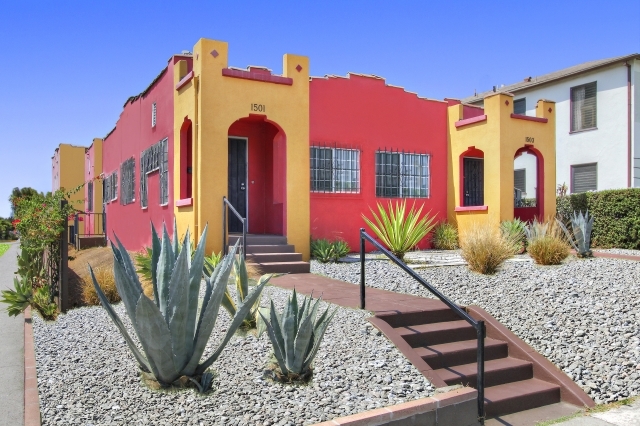 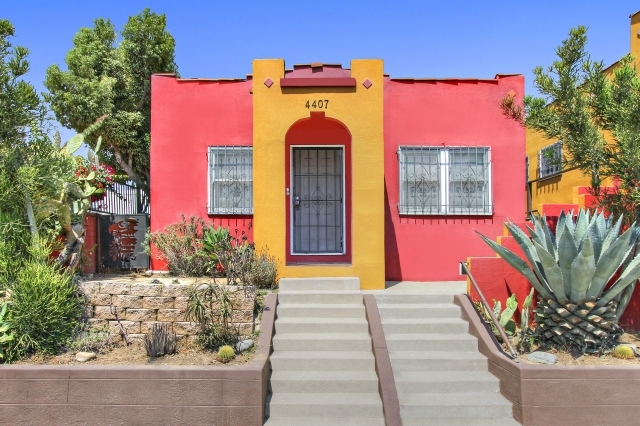 This bright and colorful Spanish style duplex presents a special opportunity in red-hot Highland Park. 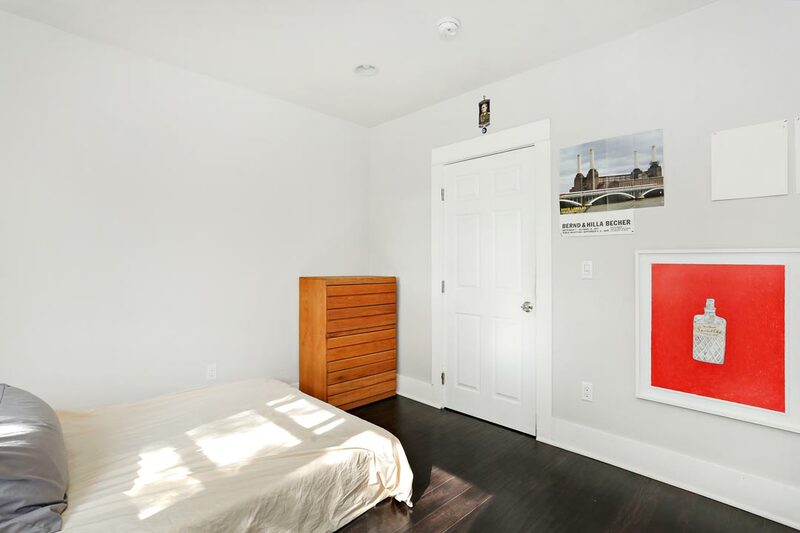 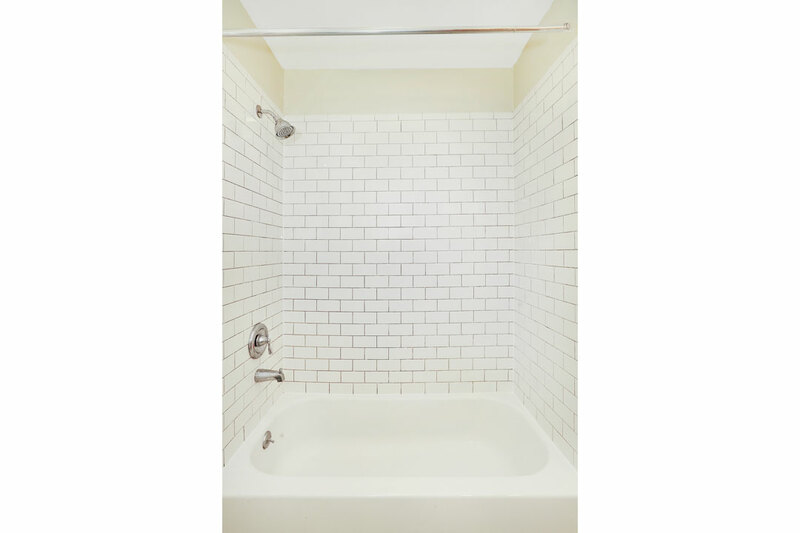 Each unit has one bedroom and one bathroom, with heritage architectural elements and abundant natural light. 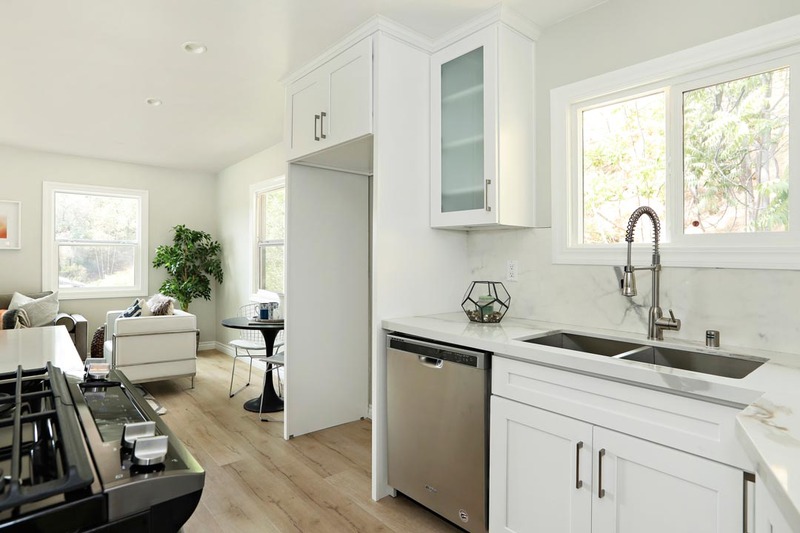 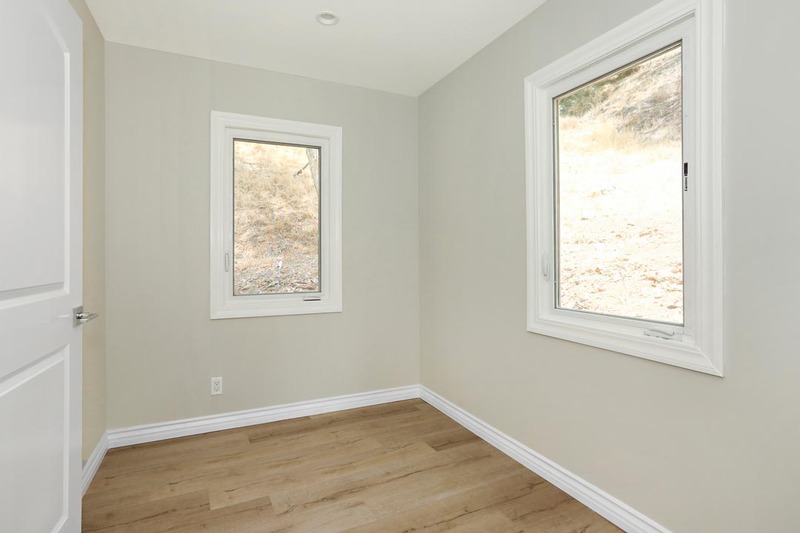 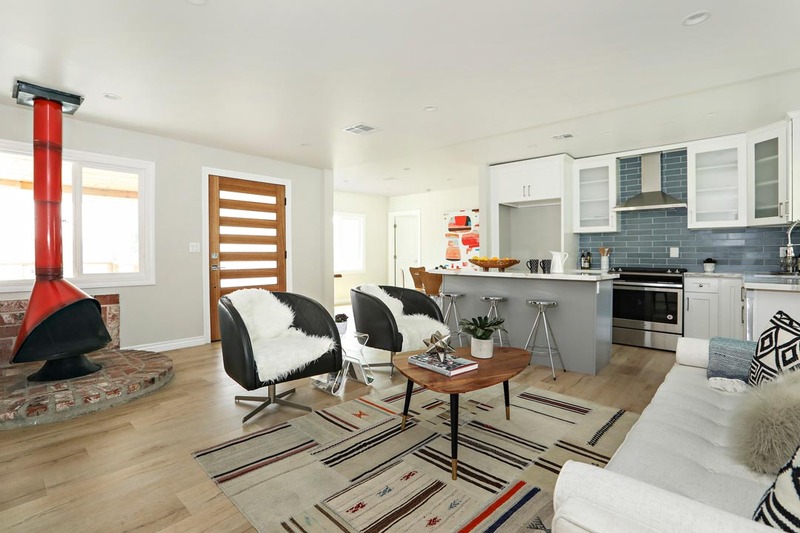 One of the units has been recently updated with features that include wood floors, a freshly remodeled kitchen and bath, stylish barn doors and ductless heating and air conditioning. 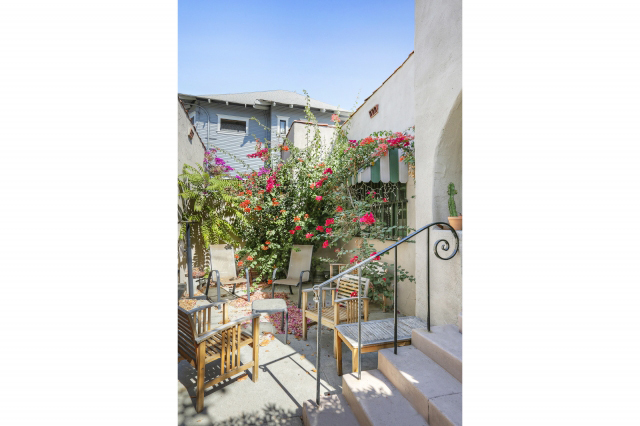 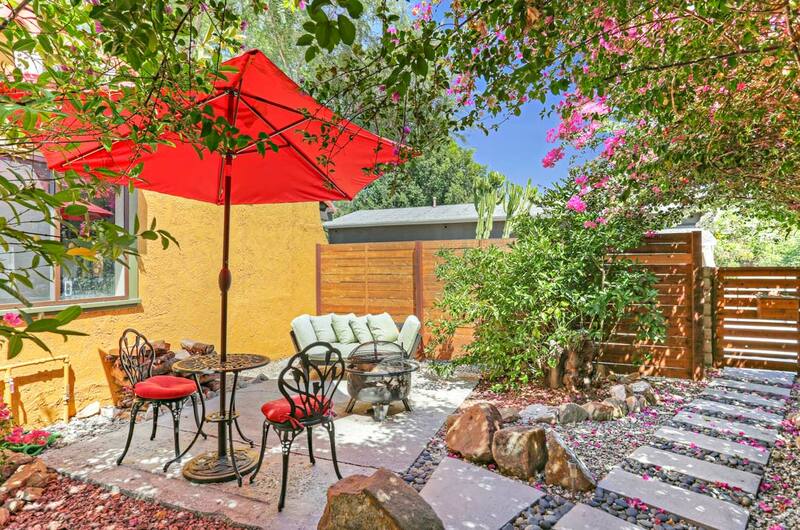 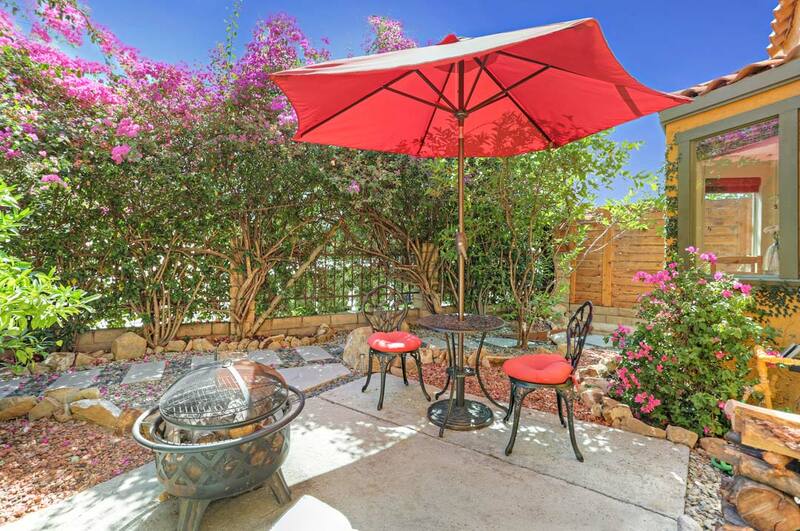 Both units enjoy private outdoor patios that are ideal for relaxing and entertaining under the sun or stars; one features a bountiful bloom of bougainvillea and geraniums. 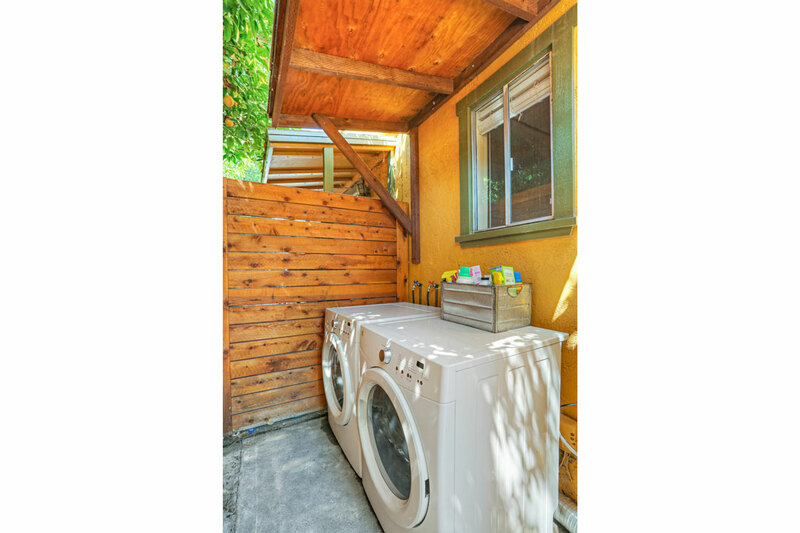 Conveniences include laundry connections and gated parking, with remote access for four cars. 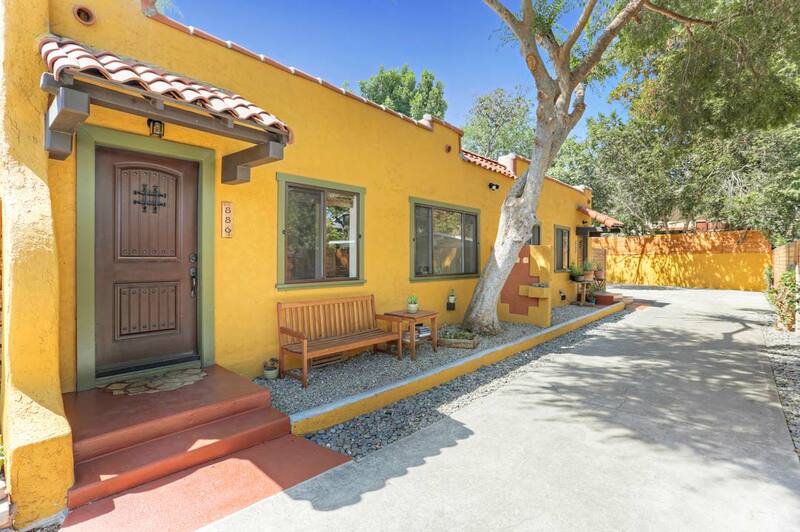 This property is very well located near trendy shopping, dining and nightlife along Highland Park’s main hubs York and Figueroa. 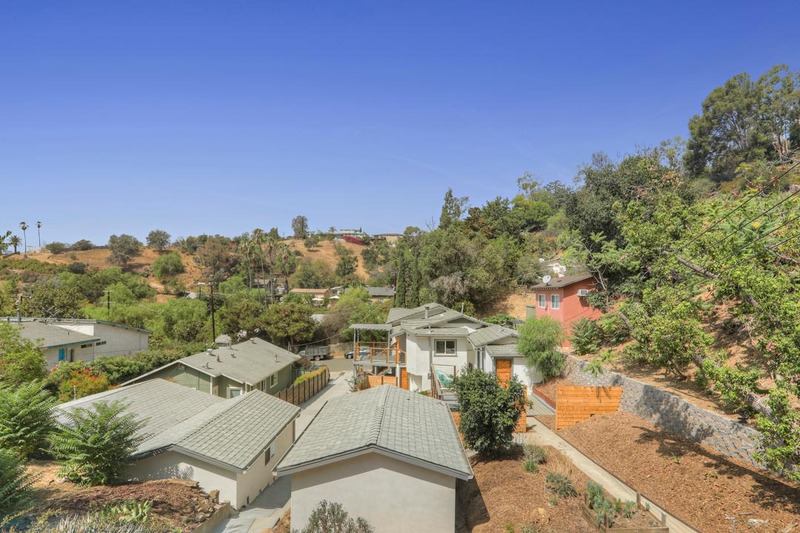 Hiking trails are nearby in Mt. 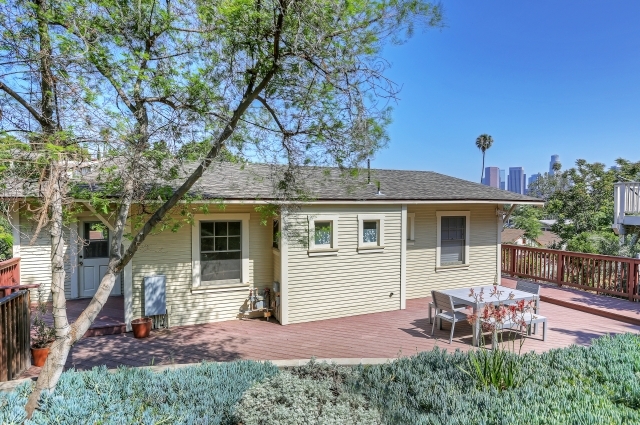 Washington, and access is easy to neighboring Eagle Rock, Atwater Village and Downtown LA. 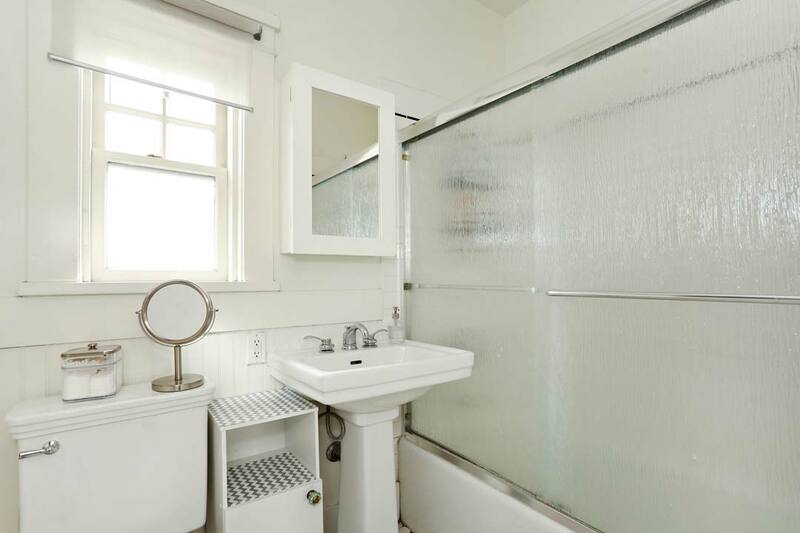 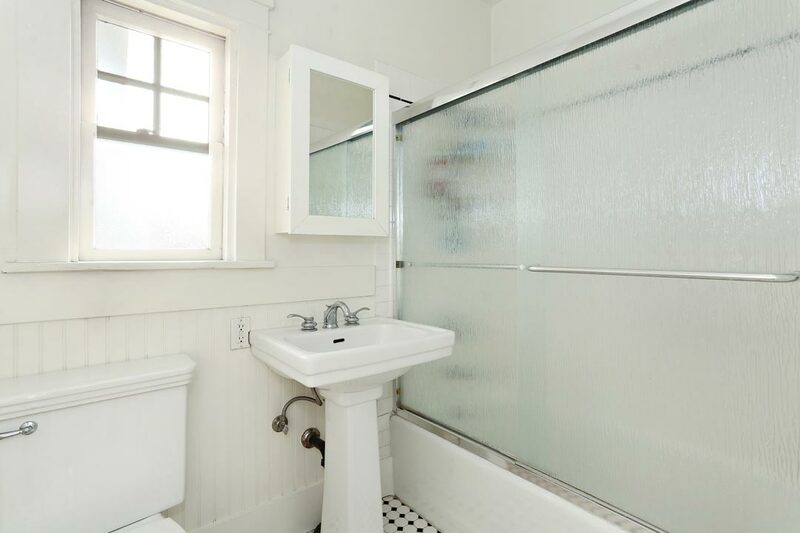 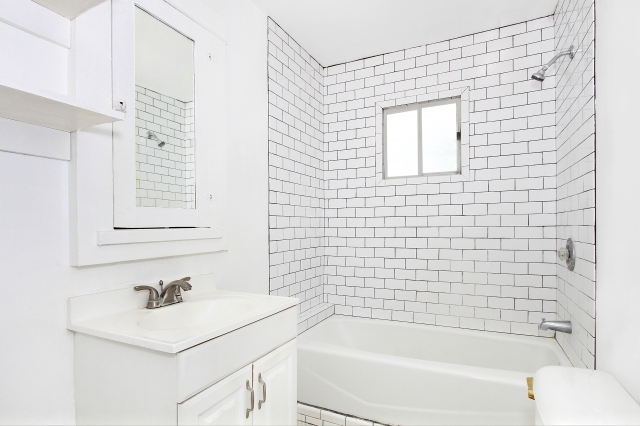 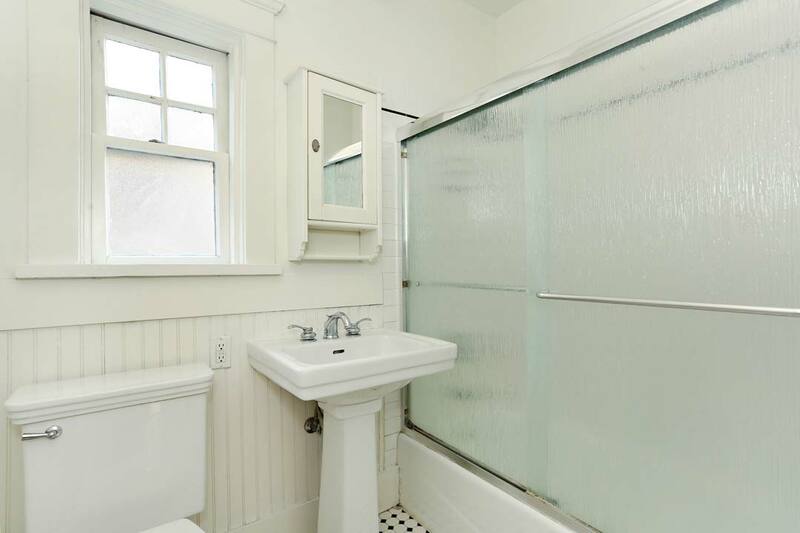 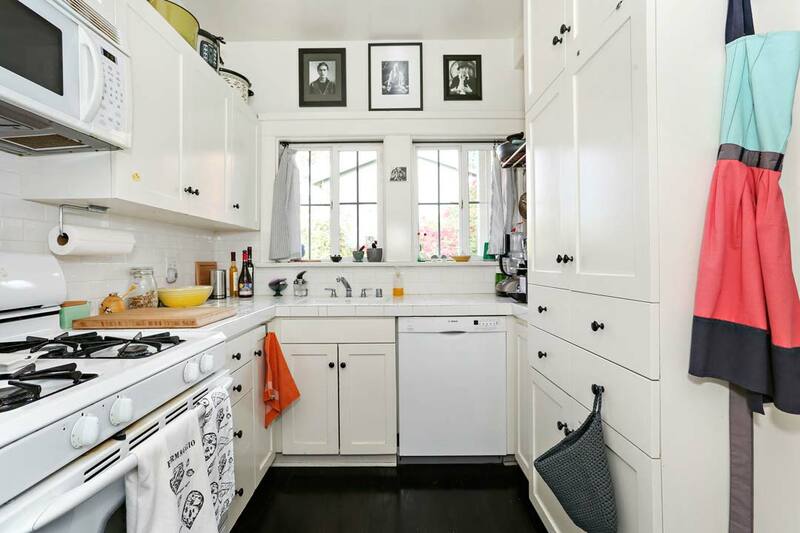 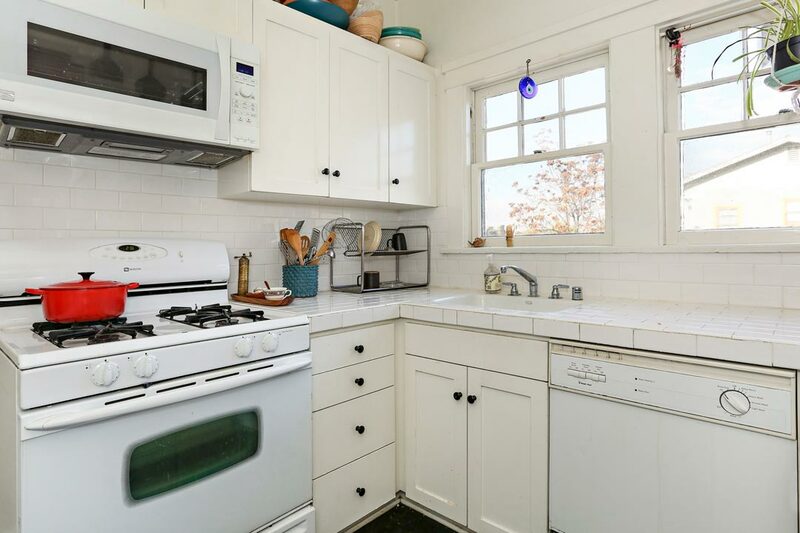 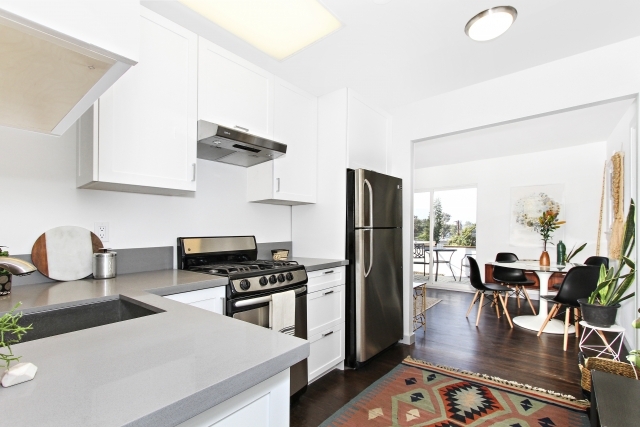 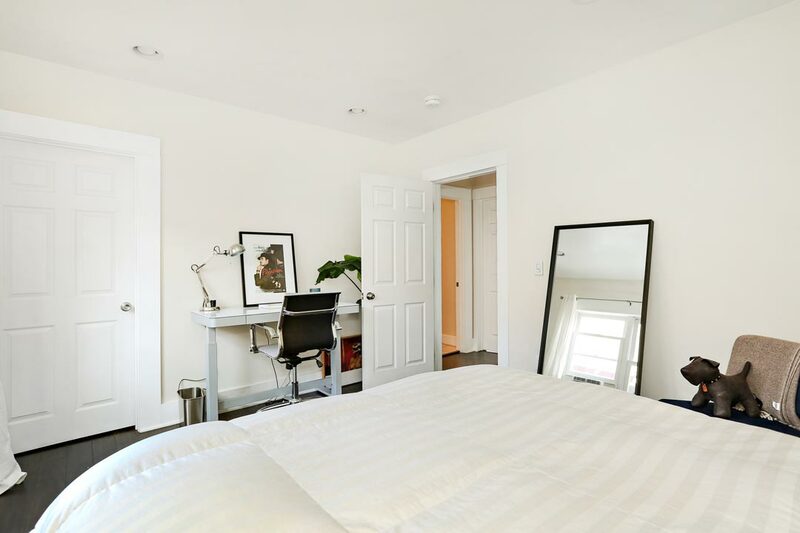 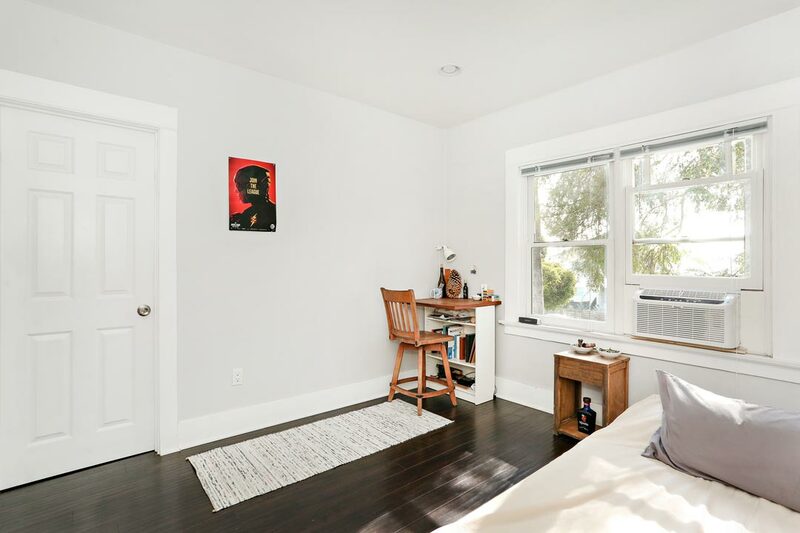 This beautifully refurbished triplex provides three desirable units in prime Angelino Heights, a stone’s throw from Echo Park Lake. 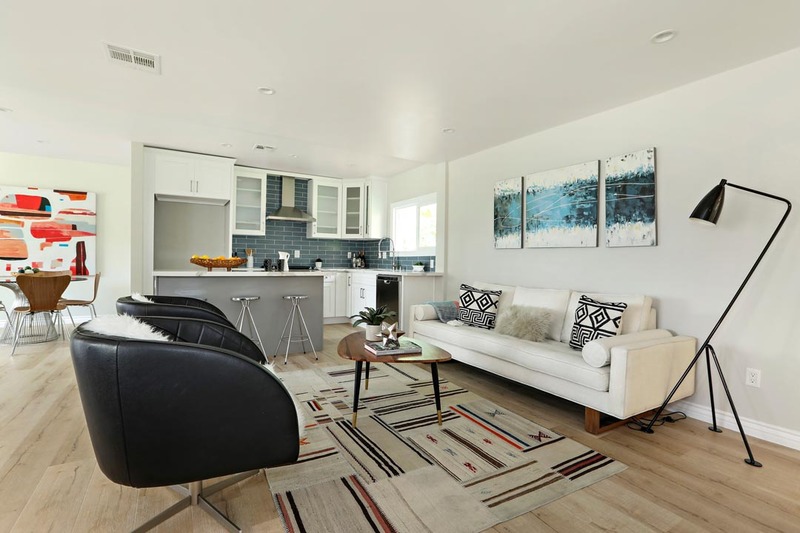 All three residences are generously proportioned with two bedrooms, one bathroom, bright open living space and in-unit laundry. 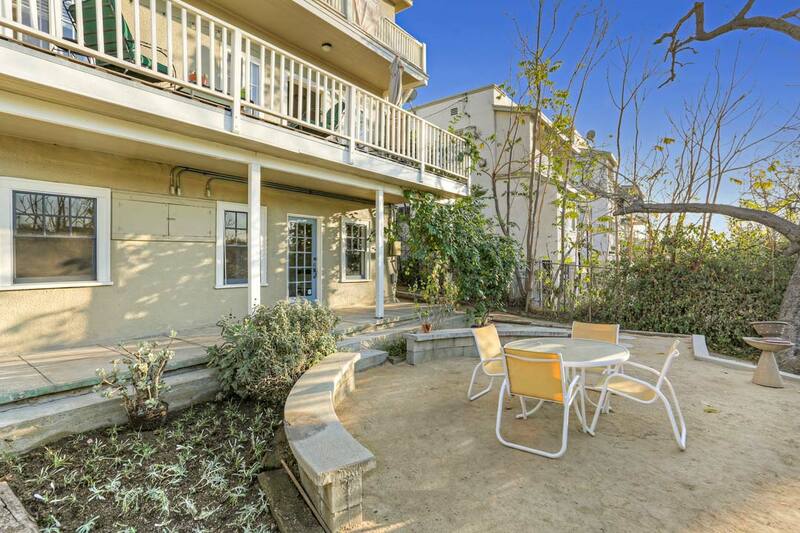 Two feature balcony or patio areas; one has a flat back yard. 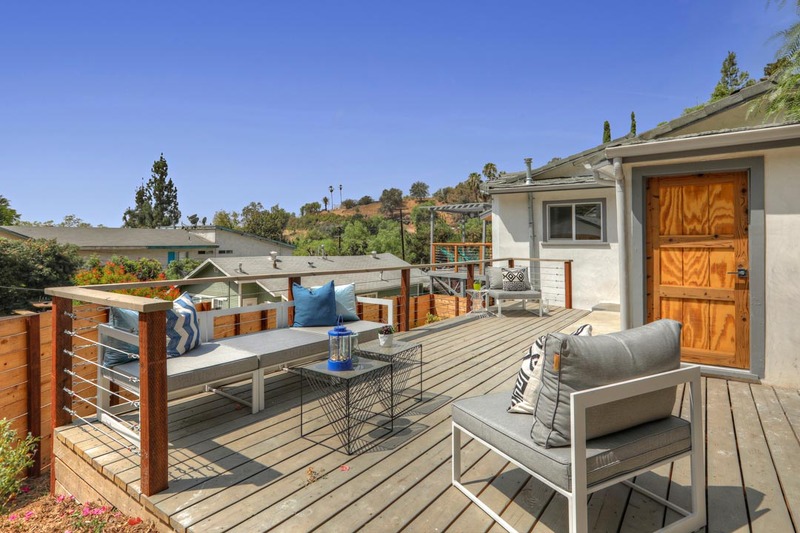 Meticulous restoration and tasteful updates evoke the vintage charms of 1920’s LA, with highlights that include wood flooring, French doors, built-ins, tiled bathrooms and sweeping views across hillsides and twinkling city lights. 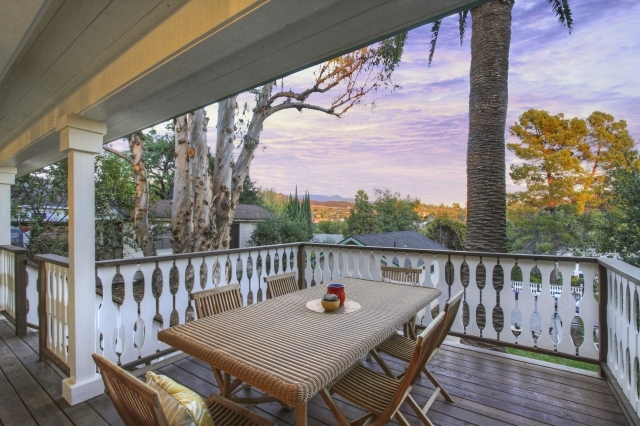 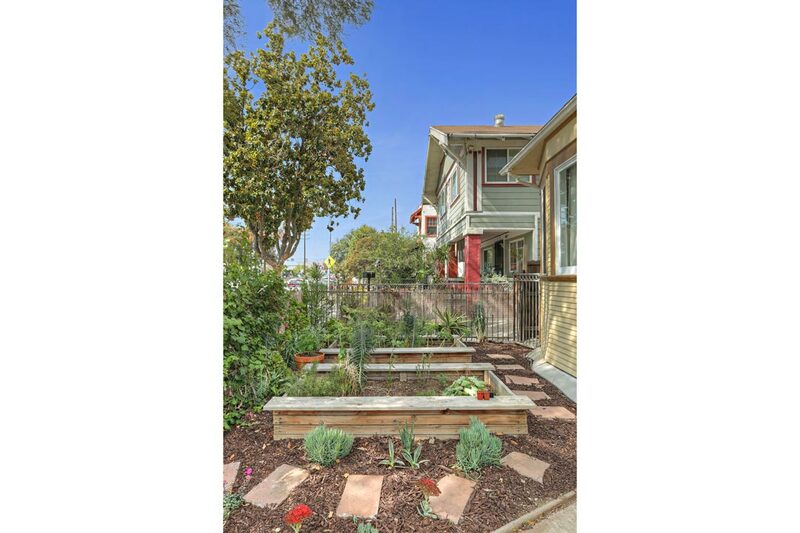 Angelino Heights is a renown historic section of red-hot Echo Park, perfectly situated next to Downtown LA. 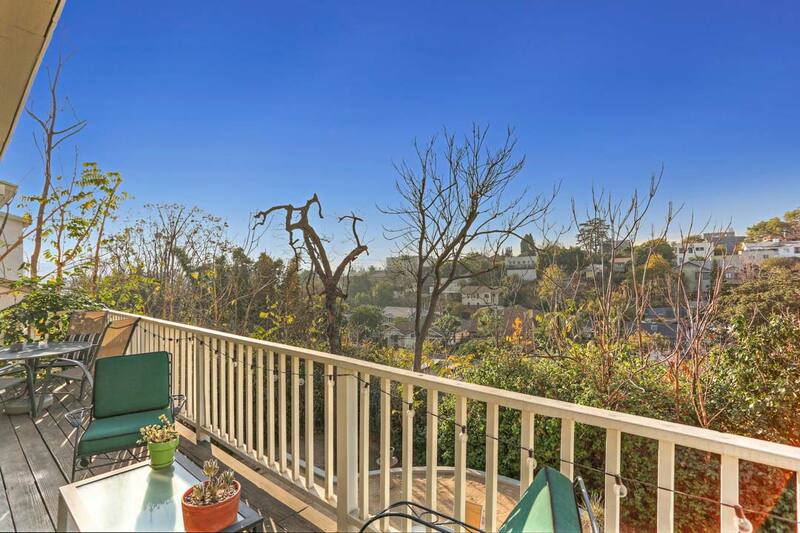 Nearby local favorites include Beacon, Ostrich Farm, Winsome, Lassen’s Market, Elysian Park, Dodger Stadium and so much more. 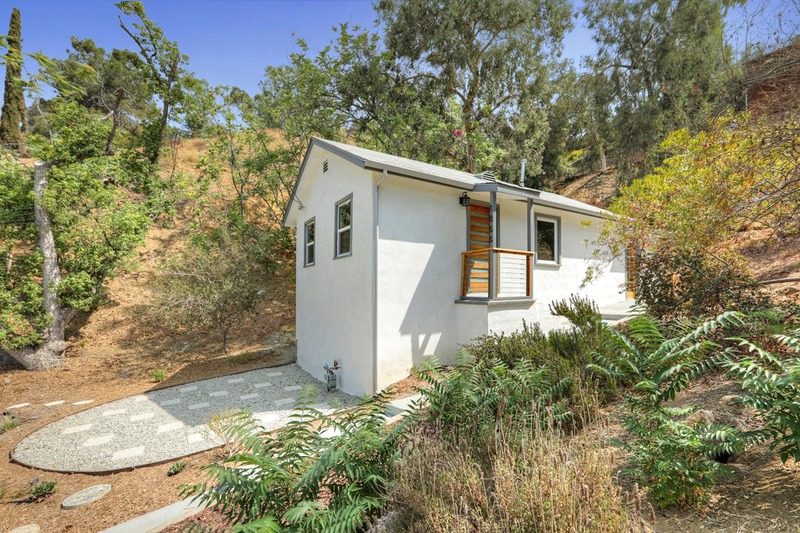 Silver Lake is mere minutes away. 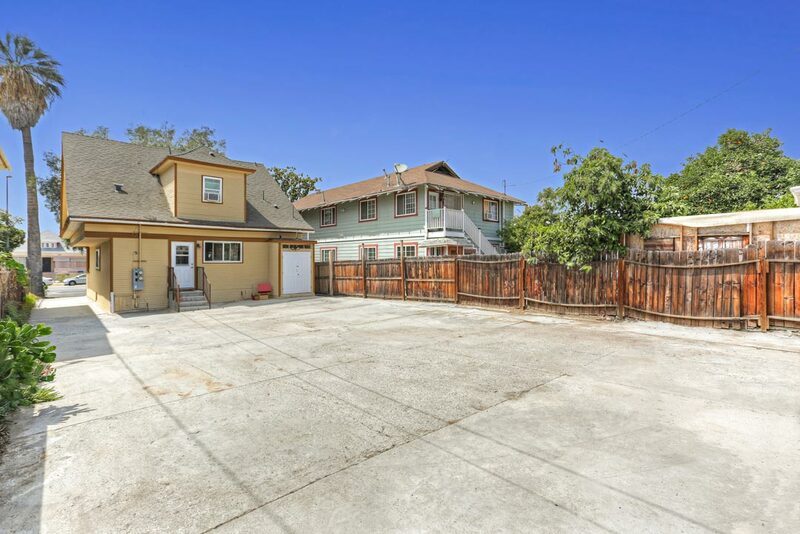 A special asset with solid income potential, this triplex is a nice opportunity for an owner-user or investor, with one unit delivered vacant. 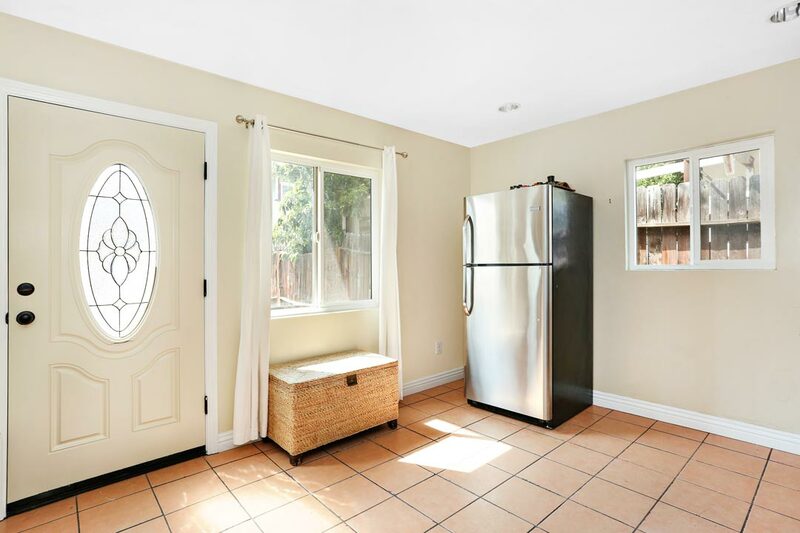 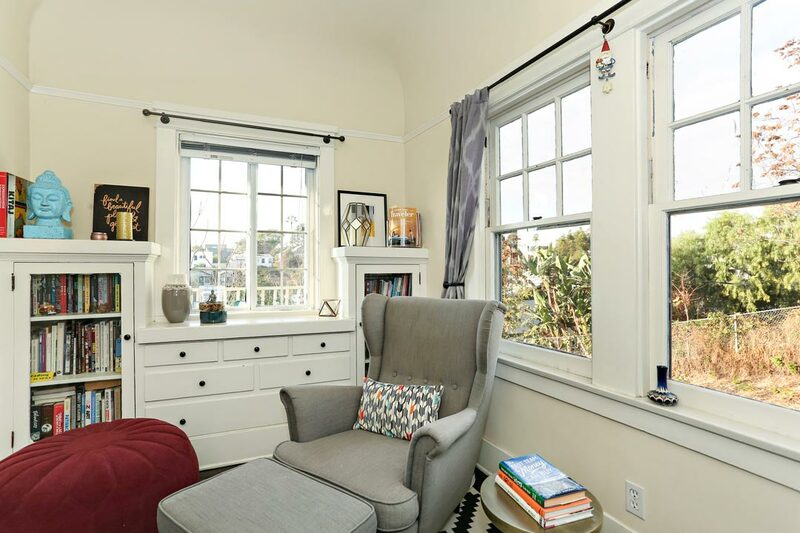 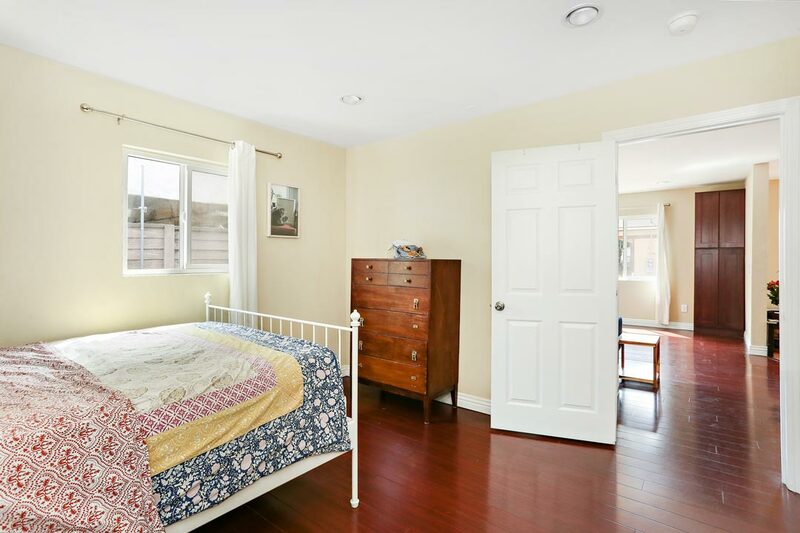 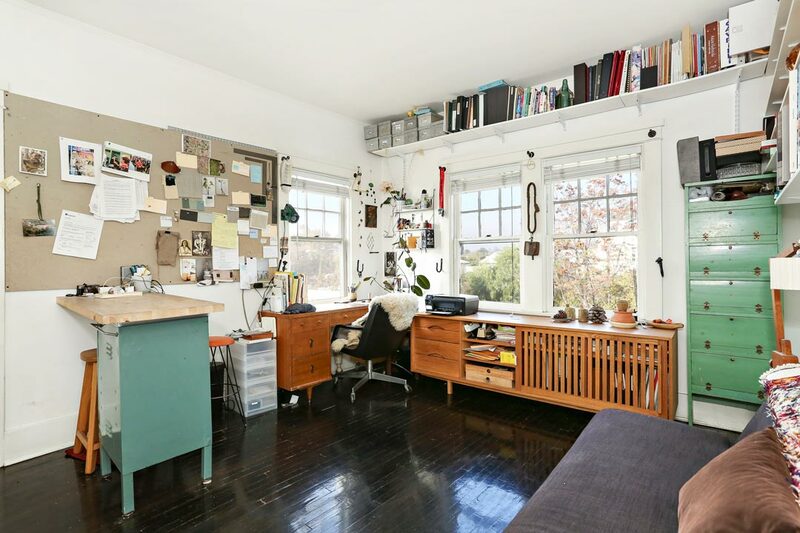 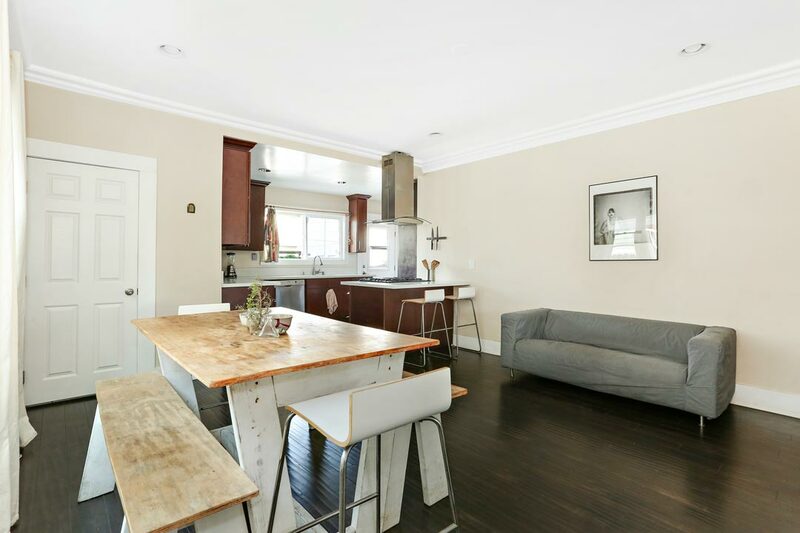 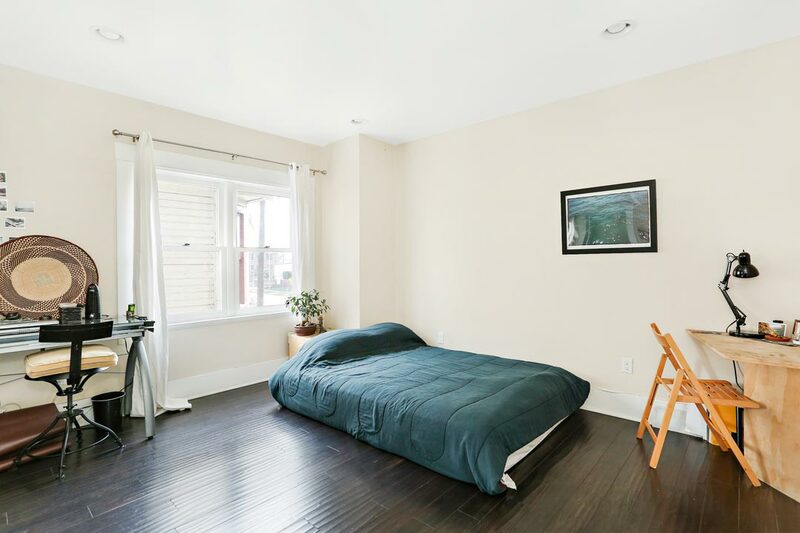 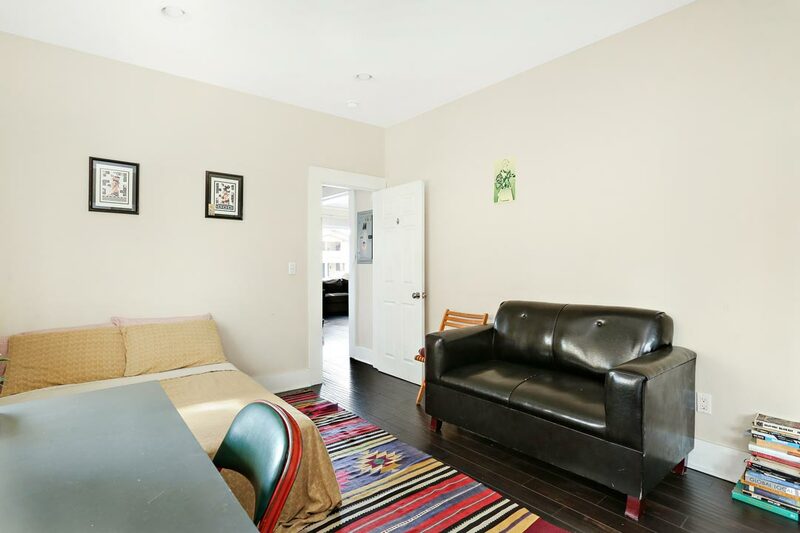 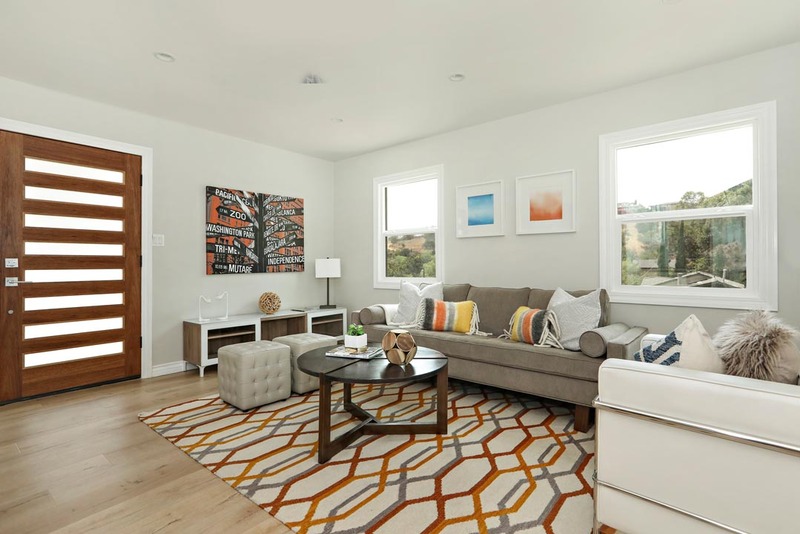 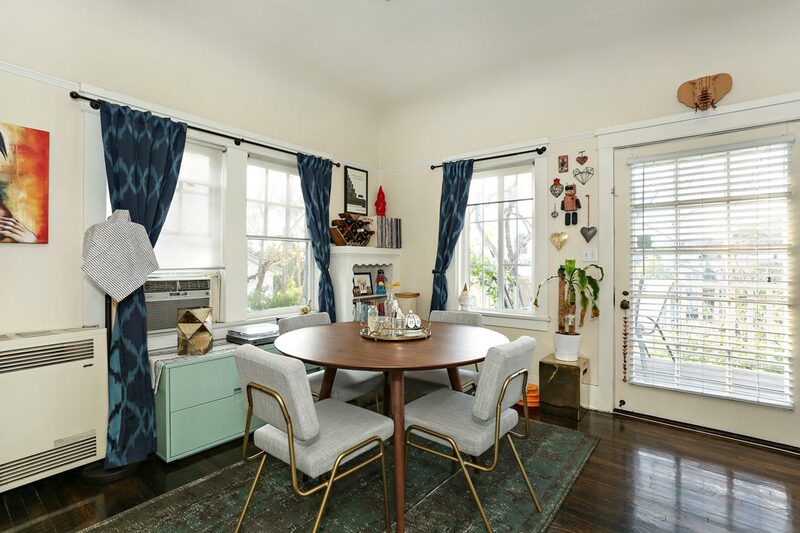 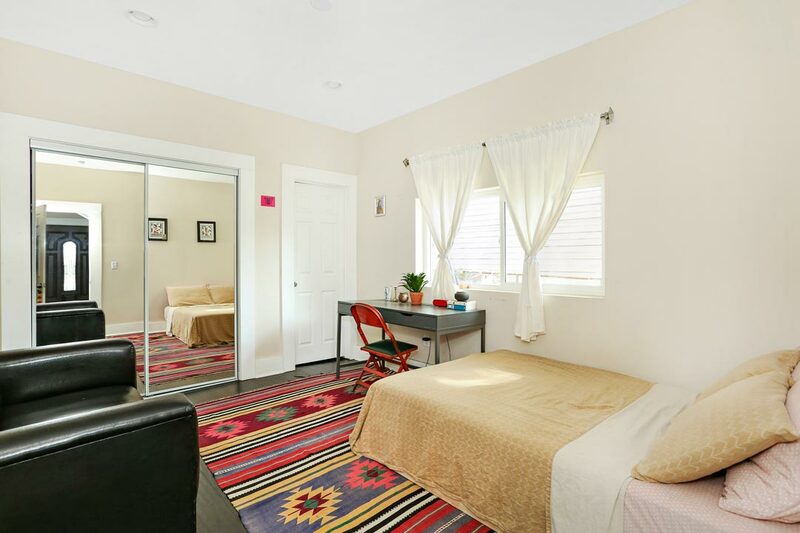 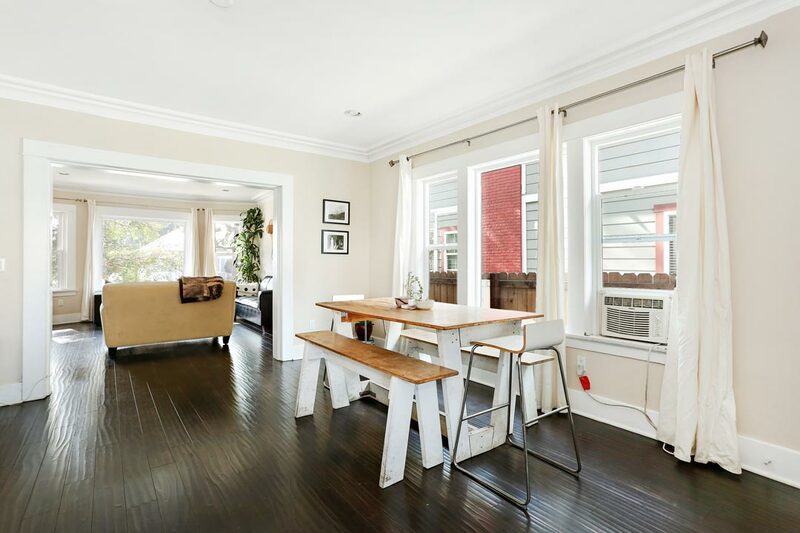 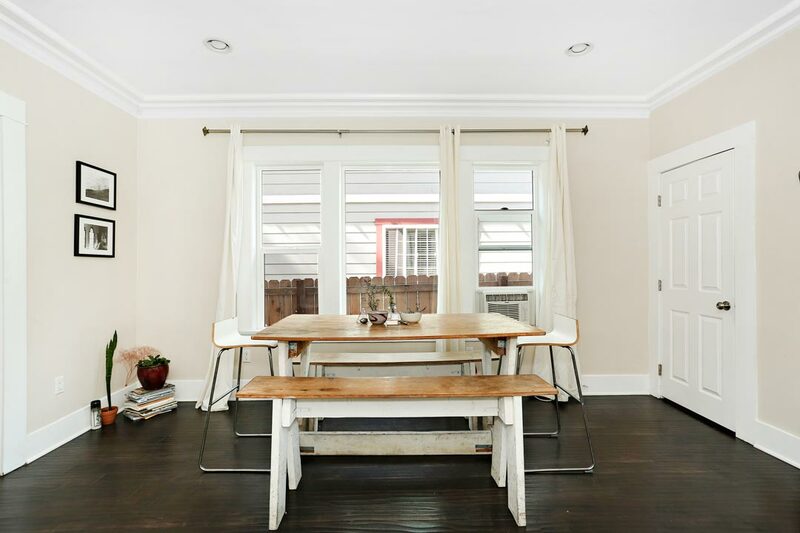 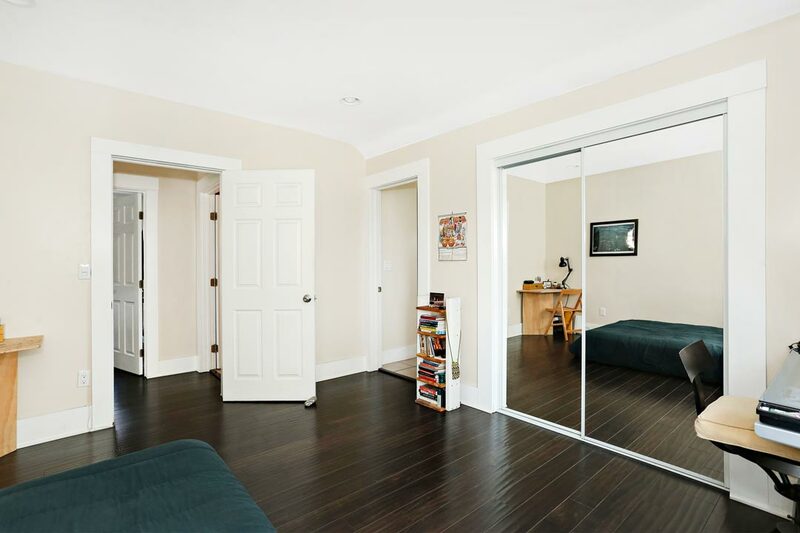 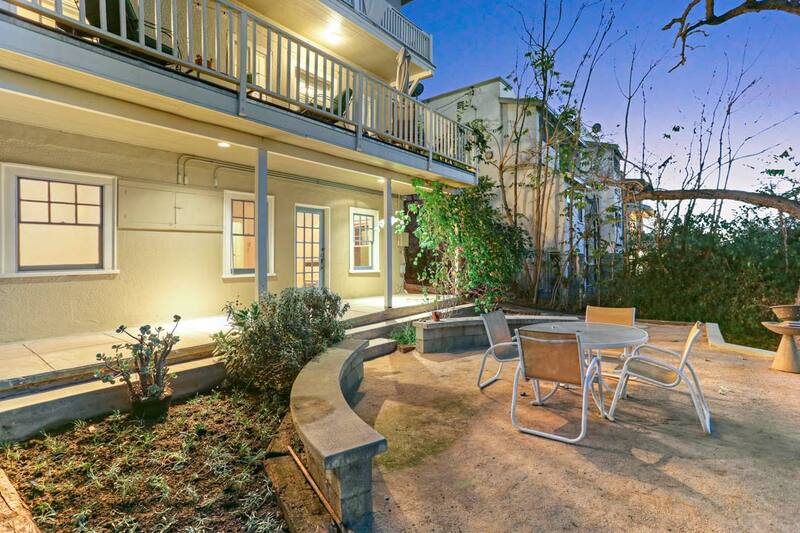 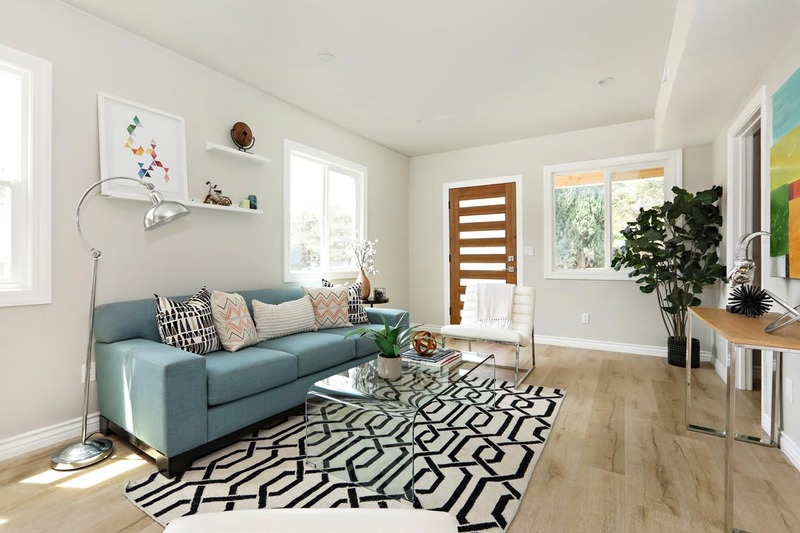 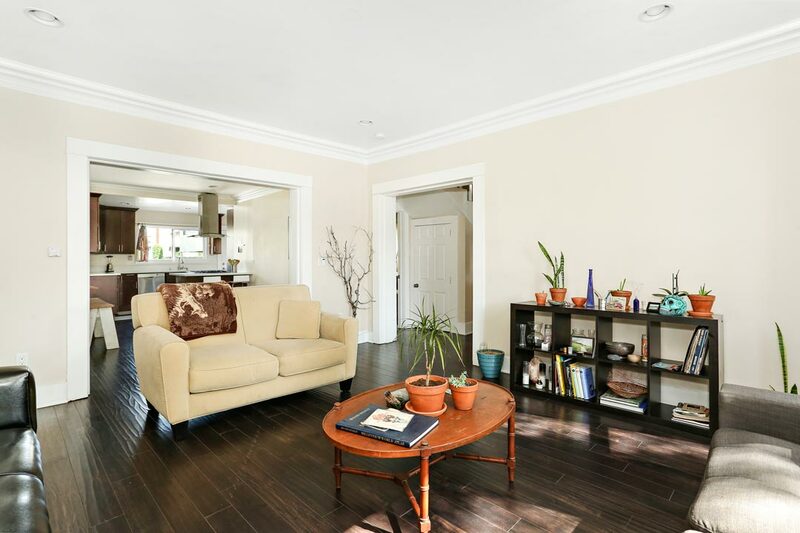 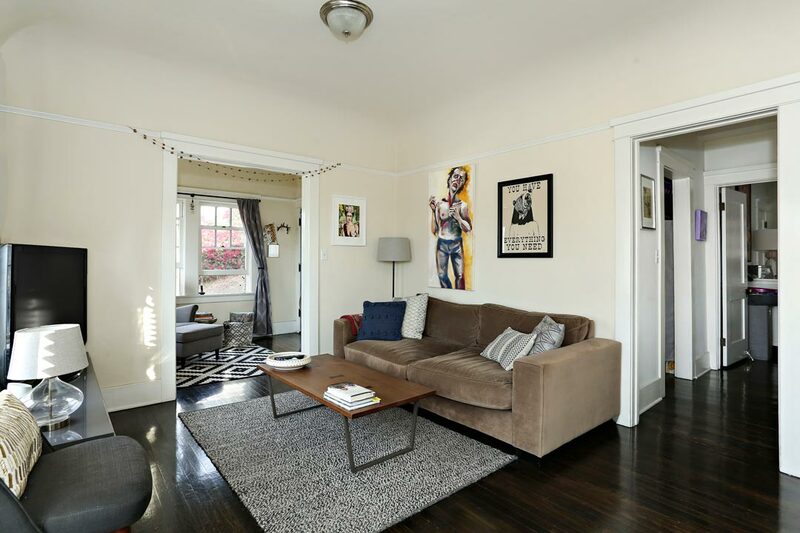 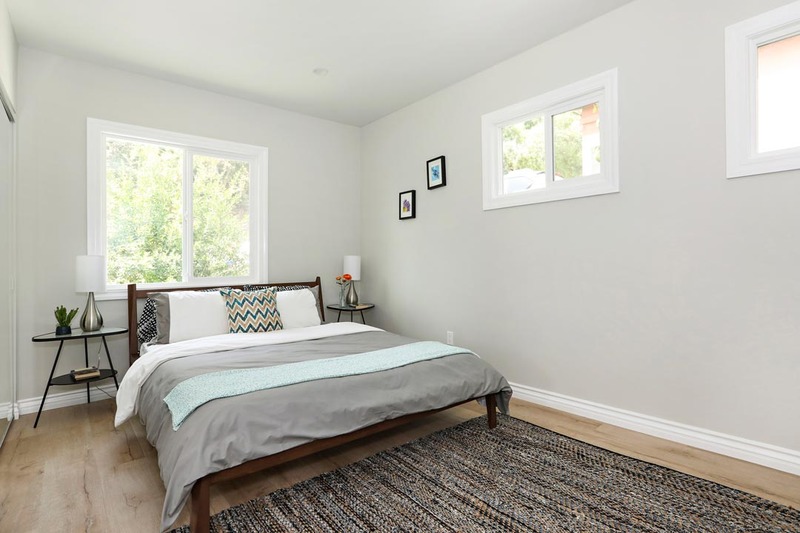 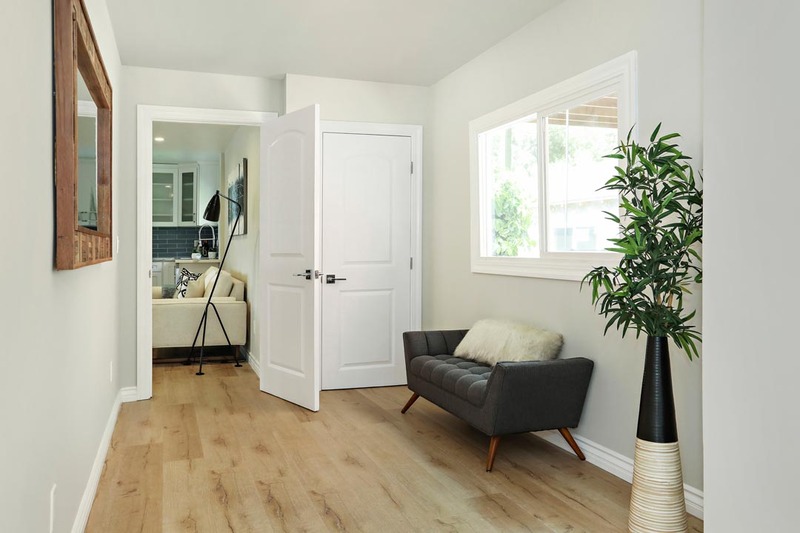 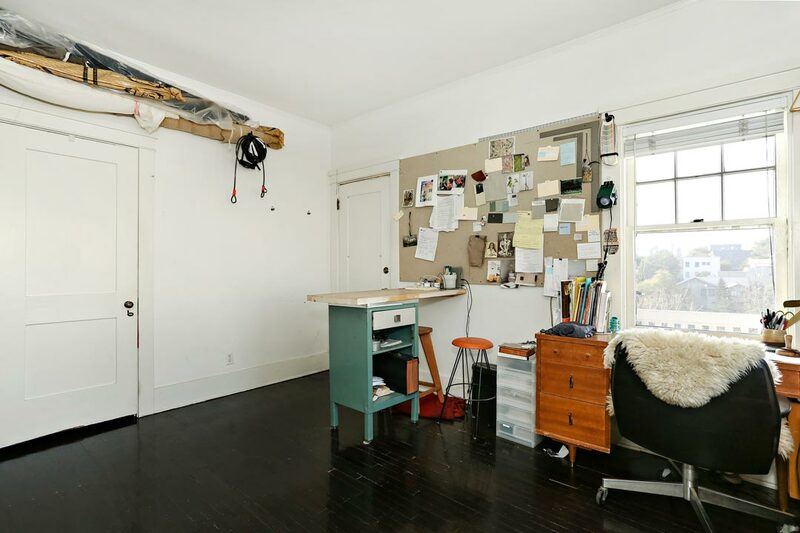 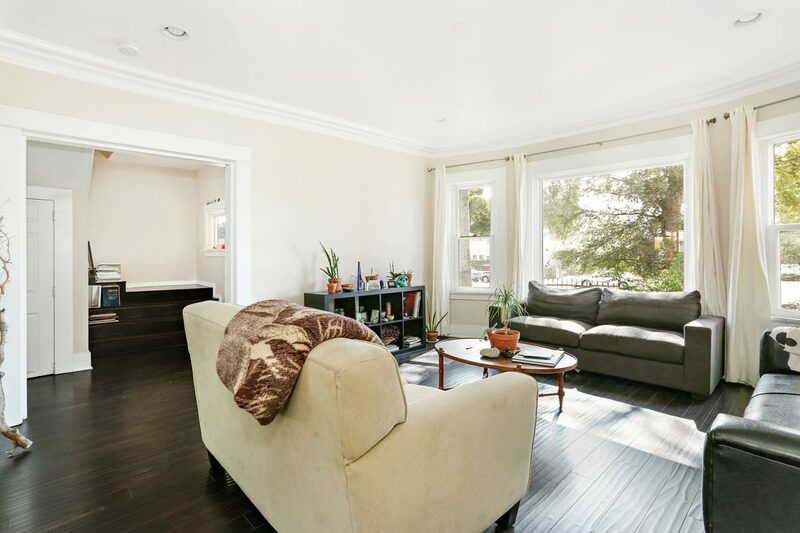 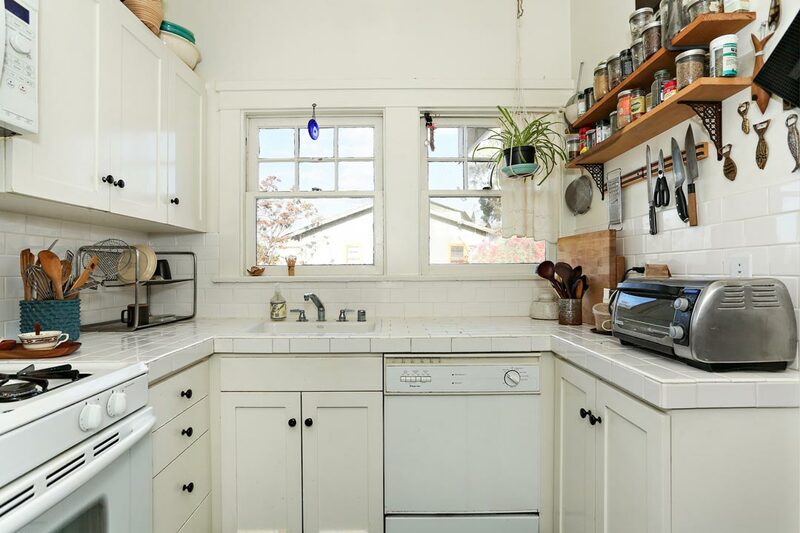 Living Area: 3,004 Square Ft. / Lot Size: 7,526 Square Ft.
A great income opportunity in Angelino Heights, Echo Park’s coveted historic enclave. 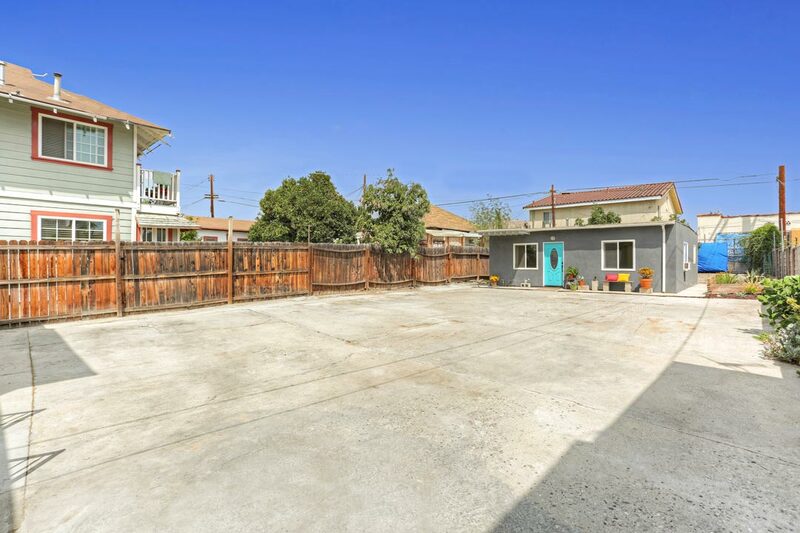 Three spacious stand-alone units create great potential for an owner-user or investor, each dwelling enjoying the benefits of outdoor space, laundry, parking and storage. 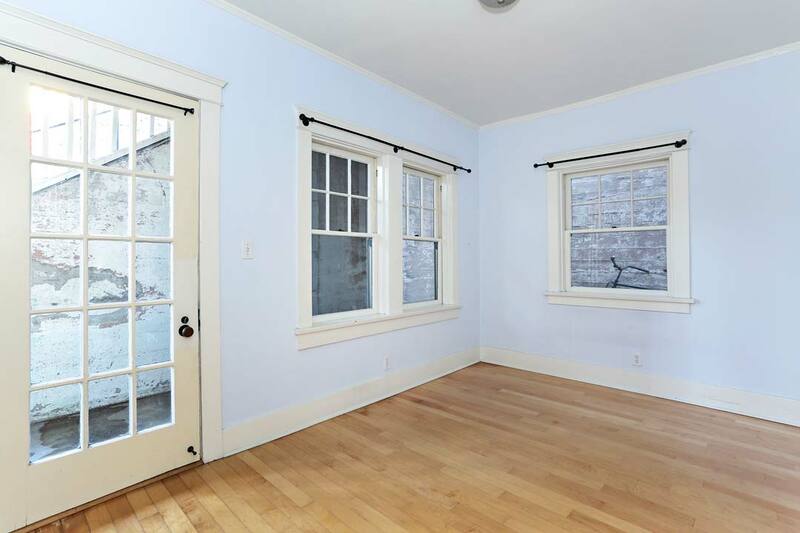 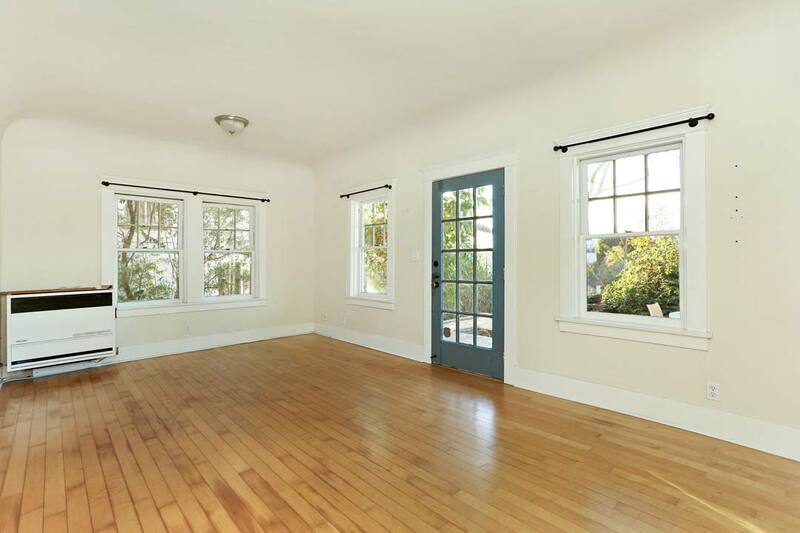 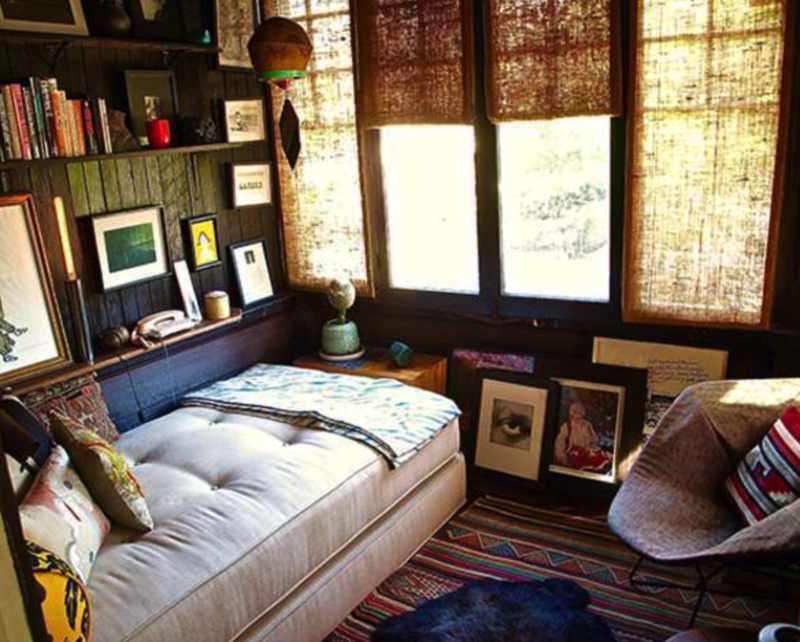 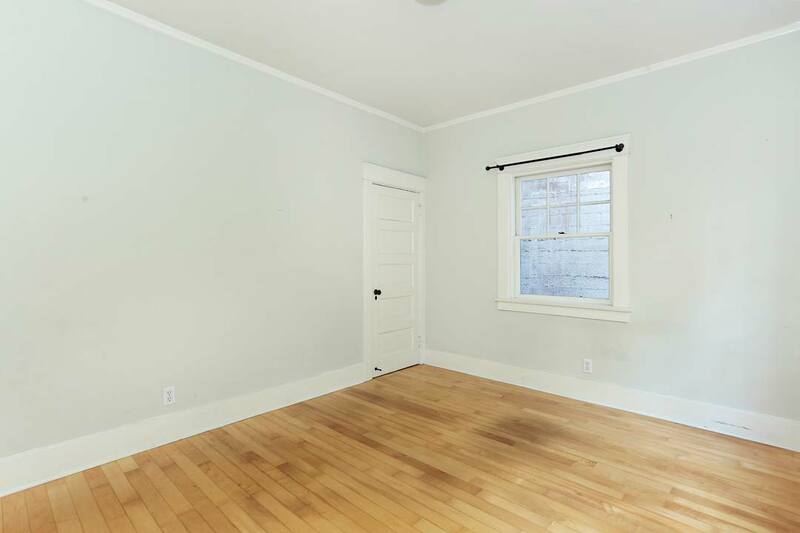 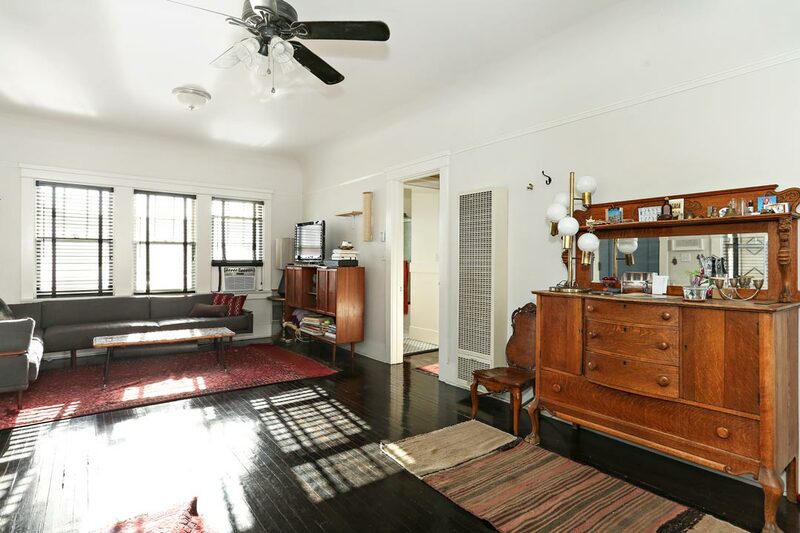 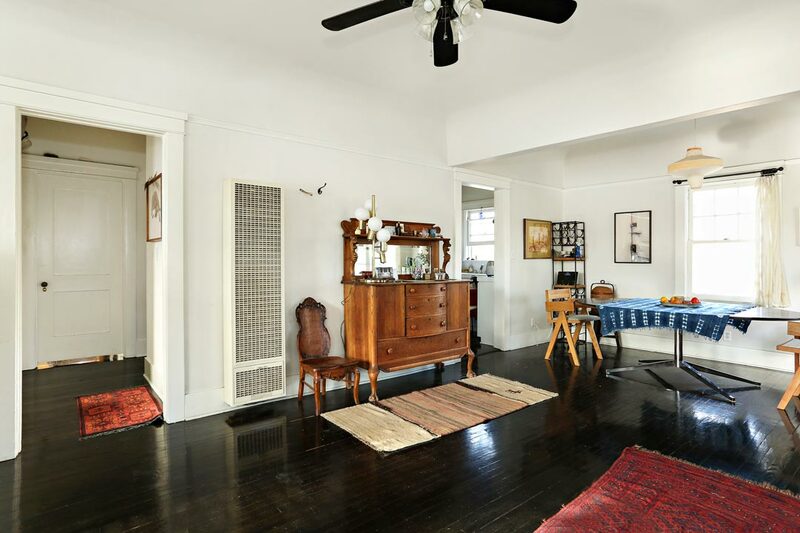 Period-appropriate character elements include wood flooring and high ceilings. 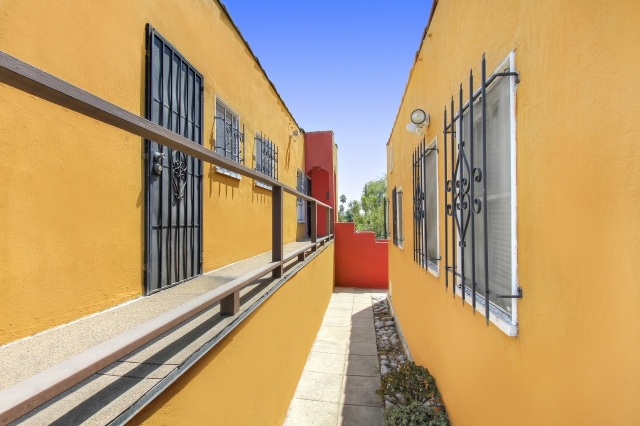 Two front units have two bedrooms each and private patio areas. 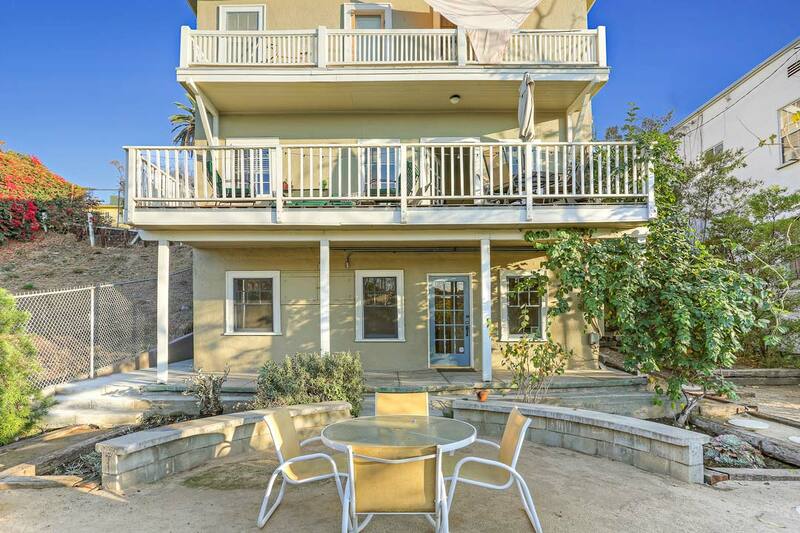 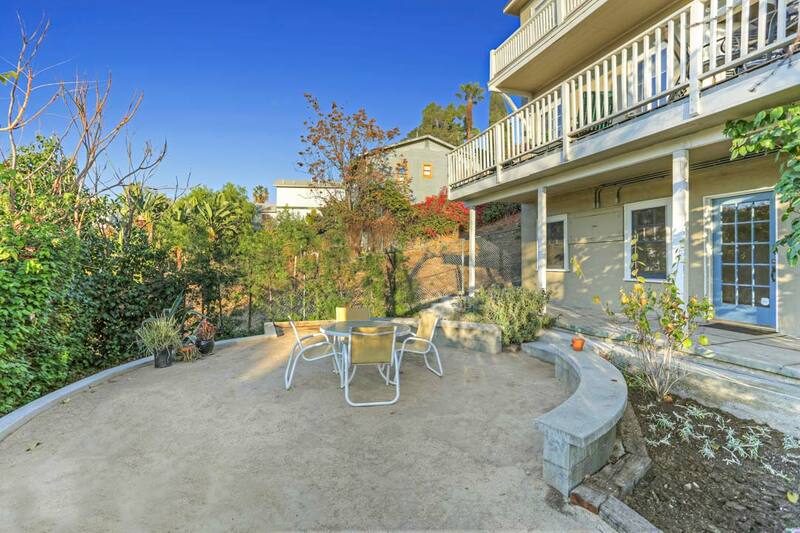 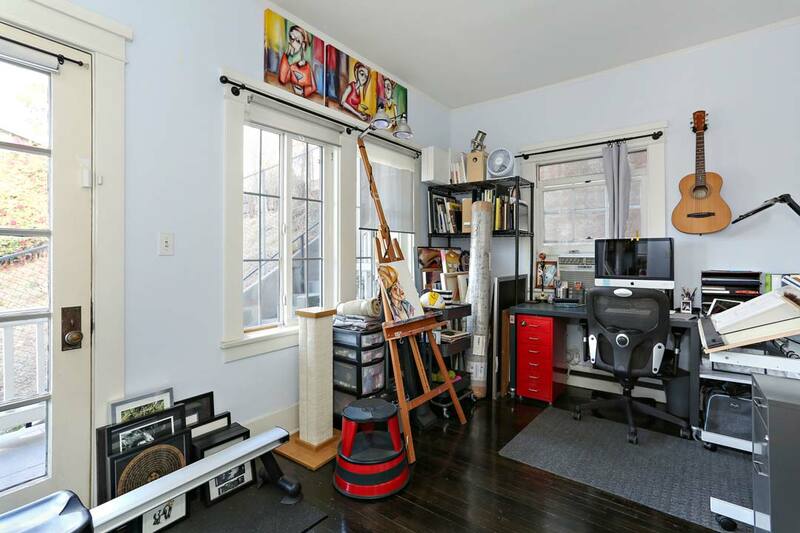 The one-bedroom rear unit features a large deck overlooking Sunset Boulevard. 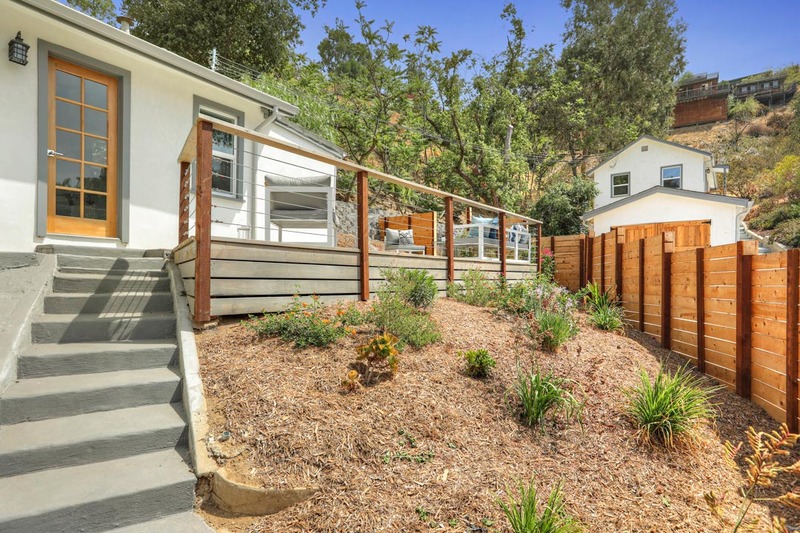 Lush landscaping on the property includes raised garden boxes. 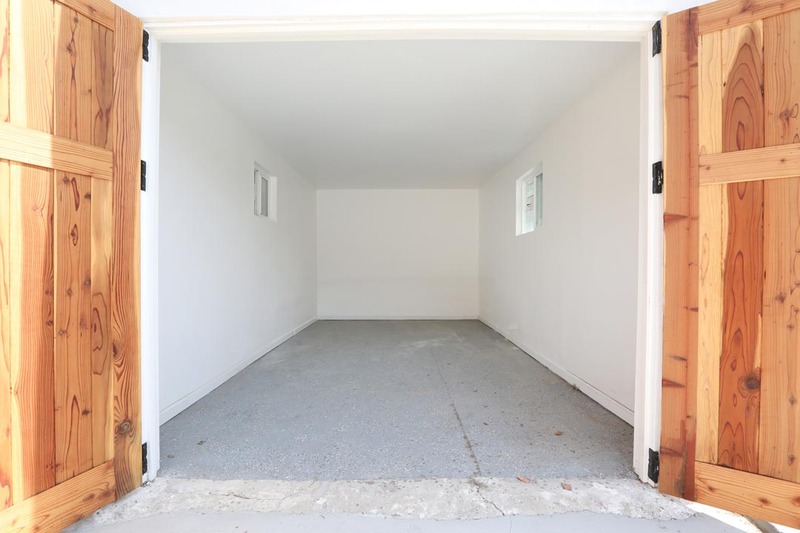 There is carport parking for two vehicles plus one additional off-street parking space. 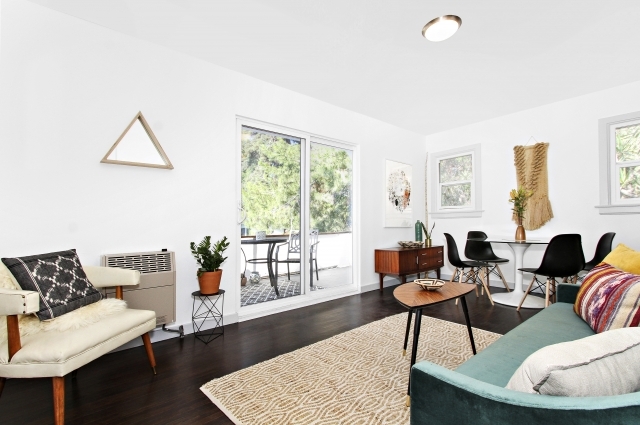 This excellent location puts you in one of LA’s trendiest neighborhoods, near local favorites Eightfold Coffee, Guisados, Ostrich Farm, Winsome, Lassens Market and Echo Park Lake. 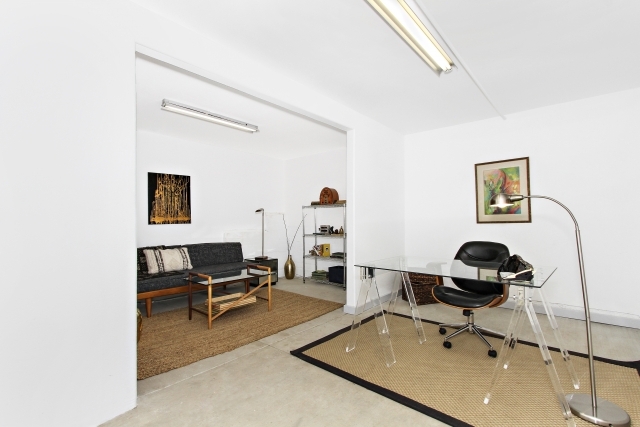 Downtown LA is mere blocks away, and there is easy access to several freeways. 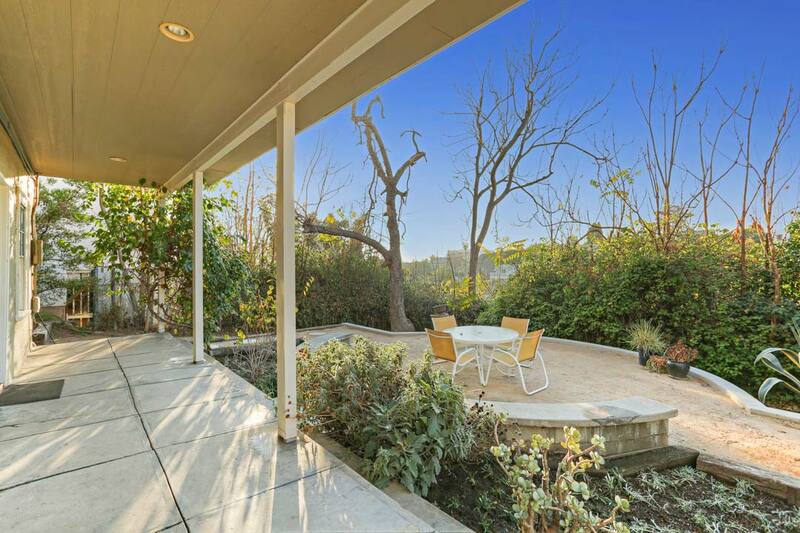 A remarkable opportunity to own one of Echo Park’s jewels, a gorgeous fourplex on a ridge overlooking Downtown LA. 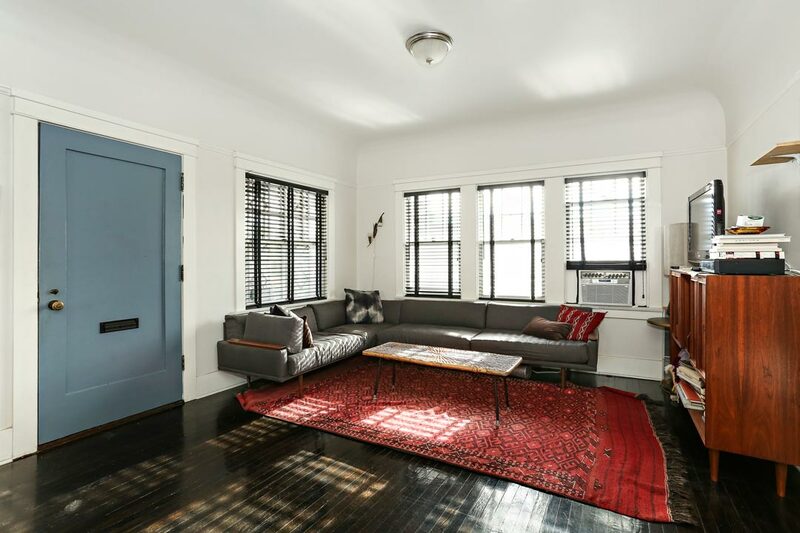 Meticulously restored and featuring beautifully updated interiors with high ceilings, hardwood floors, lots of windows, and breathtaking views. 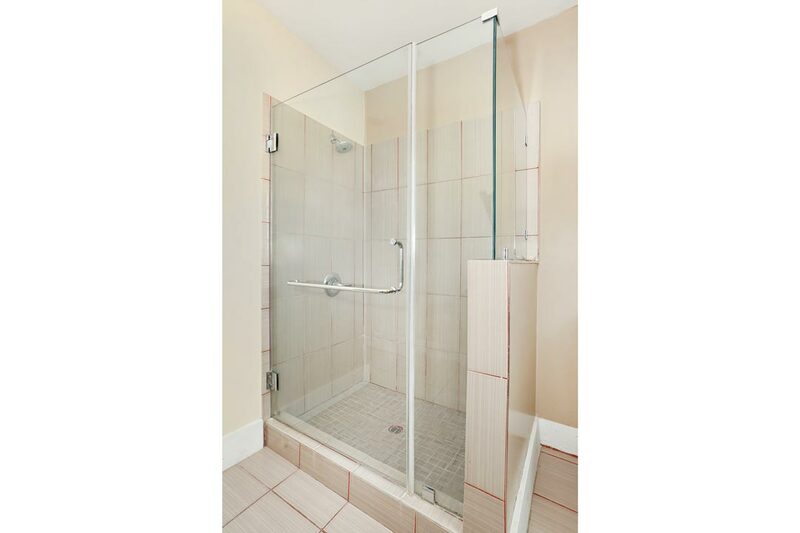 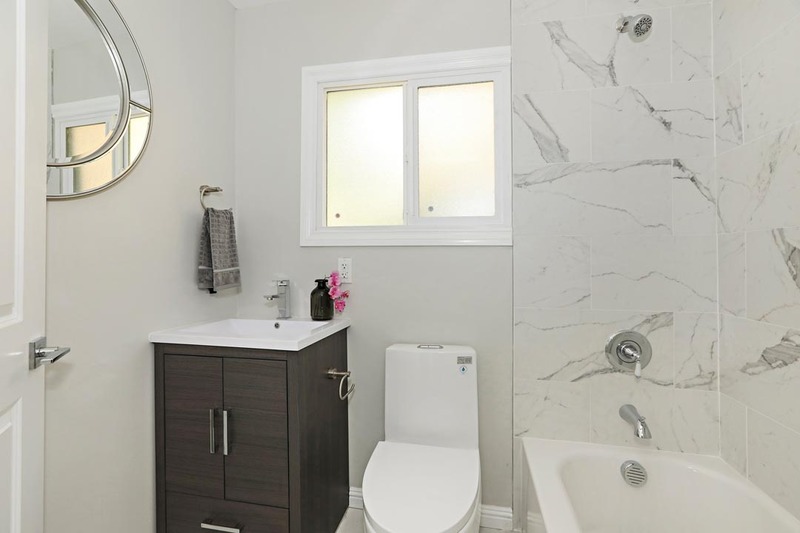 Kitchens and bathrooms include high-end fixtures and penny tile. 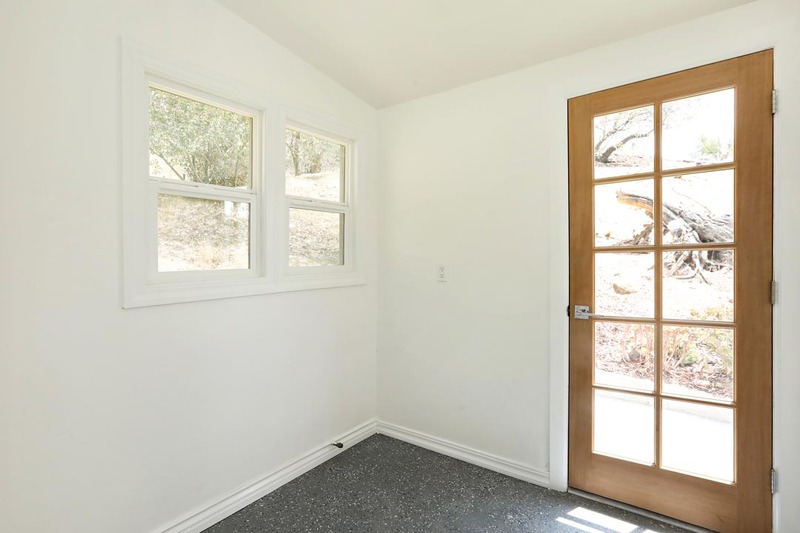 There are two lower units, one upper unit and a detached bungalow with bonus space, ideal for an office, studio or workshop. 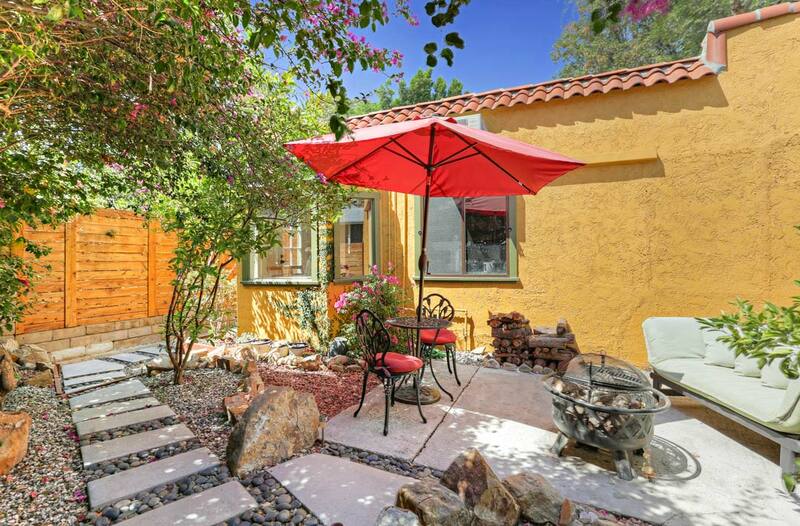 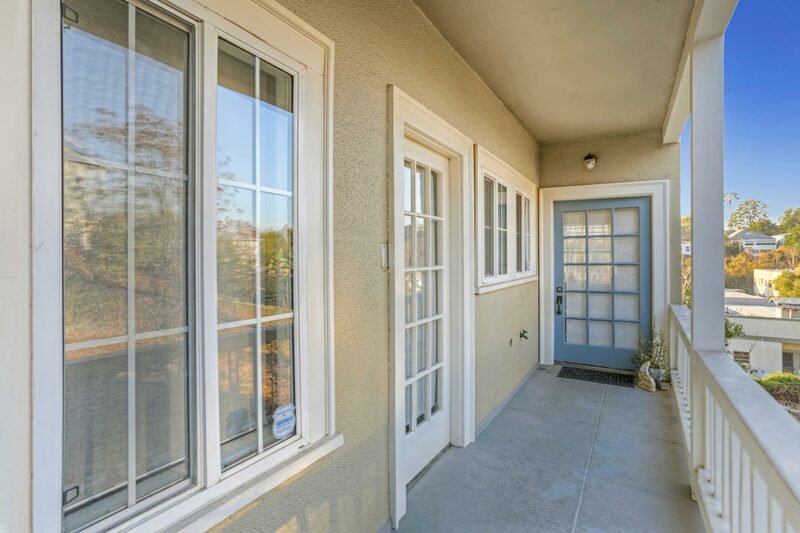 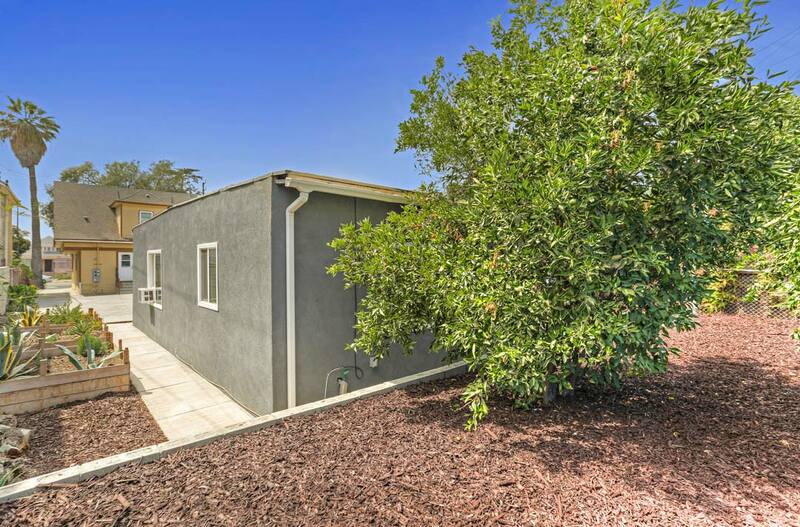 The expansive lot has decks, garden areas, drought tolerant landscaping and off-street parking for 4 cars. 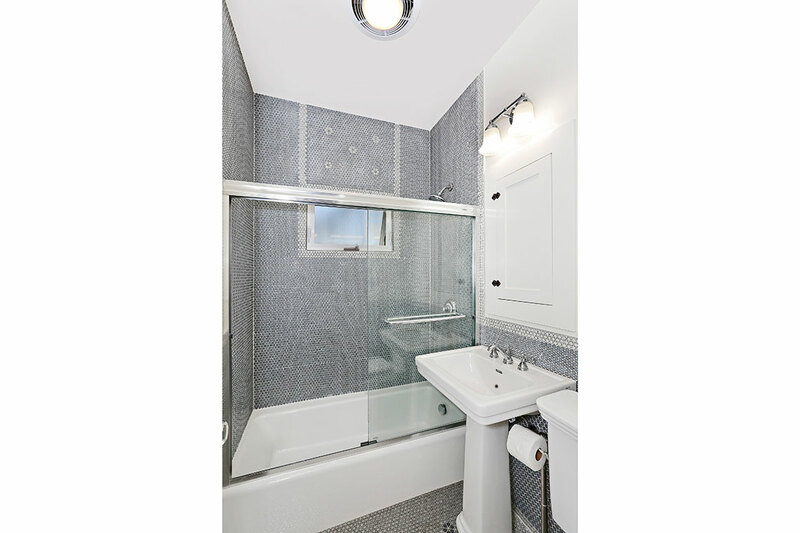 Recent upgrades include sub-panels, wiring and plumbing in all units, plus roof work. 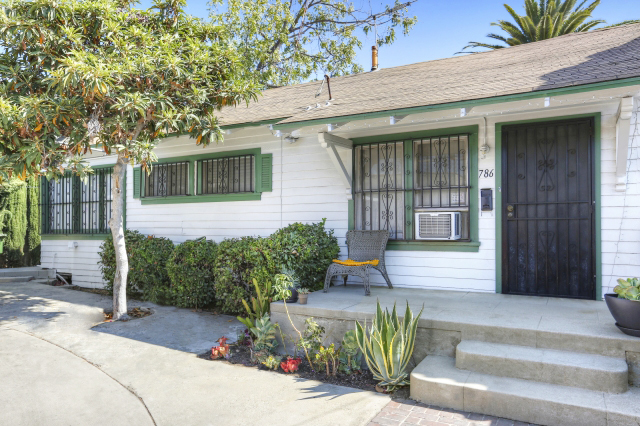 This rare, special asset has solid income potential, great for an owner-user or investor. 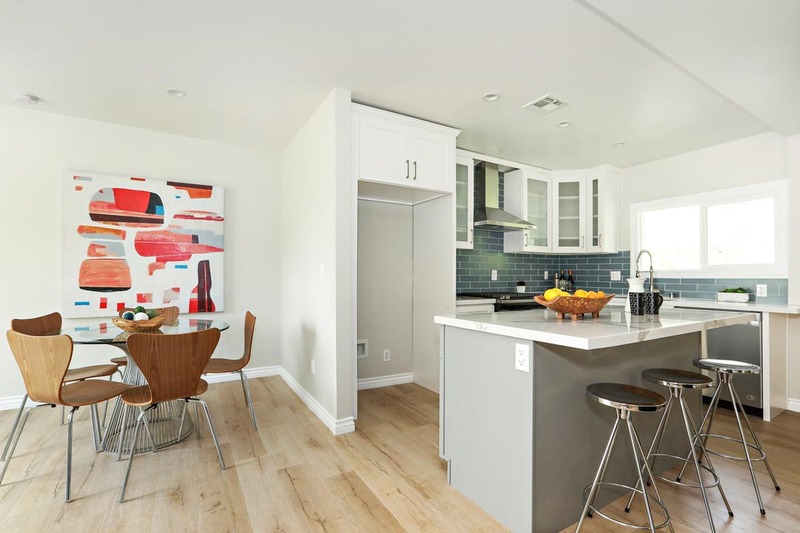 Two units will be delivered vacant at COE. 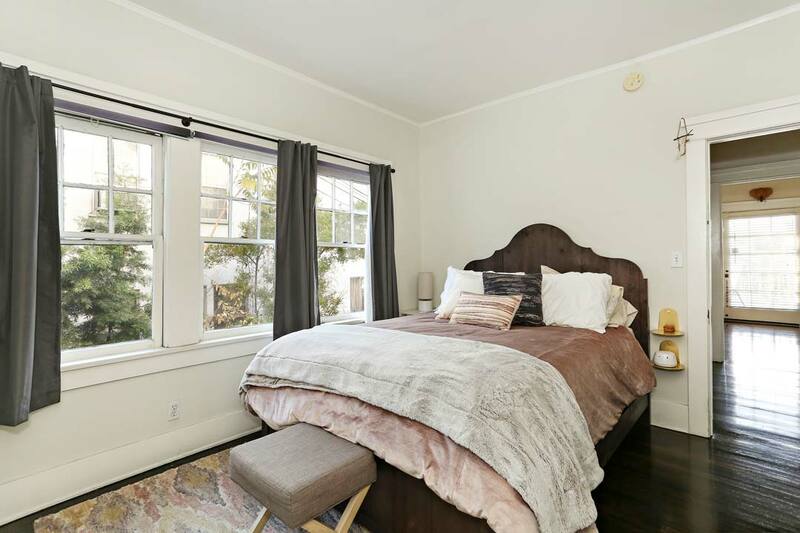 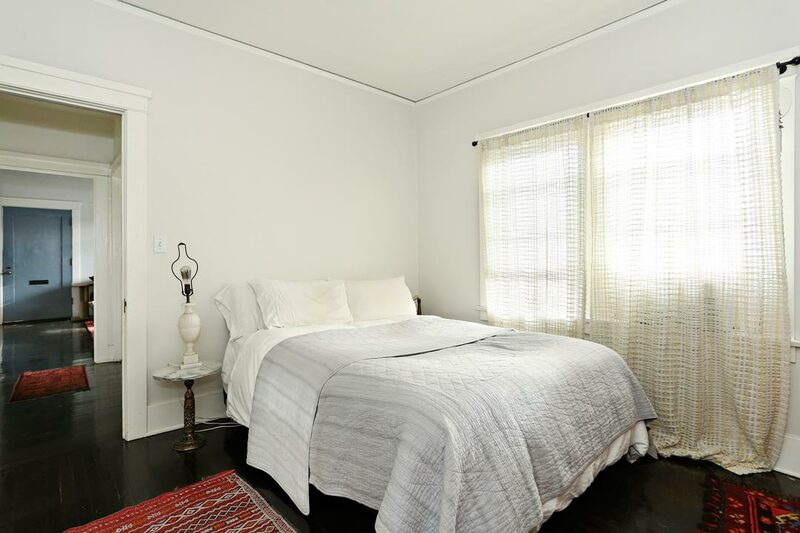 Located in the coveted historic enclave of Angelino Heights near Echo Park Lake and local hot spots Blue Bottle Coffee, Sage, Ostrich Farm, Lassen’s Market and many more. 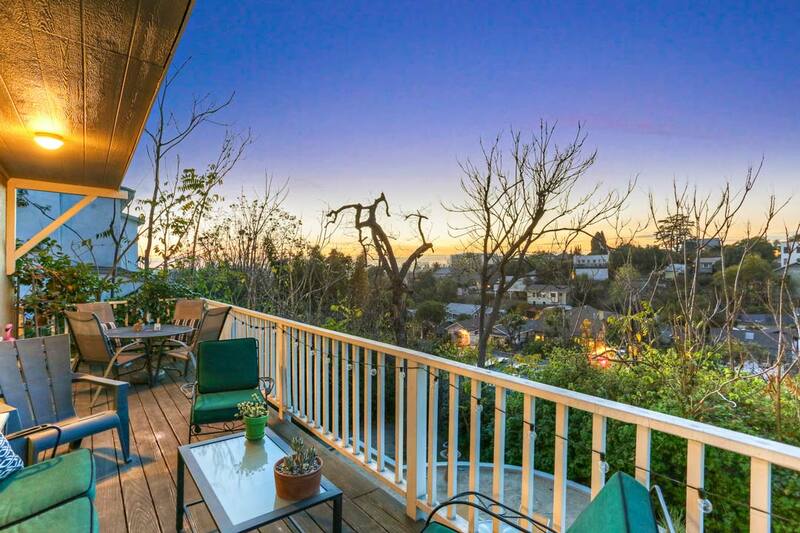 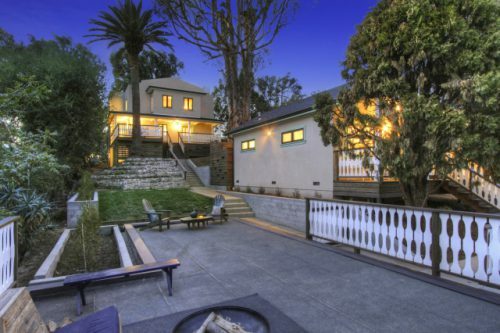 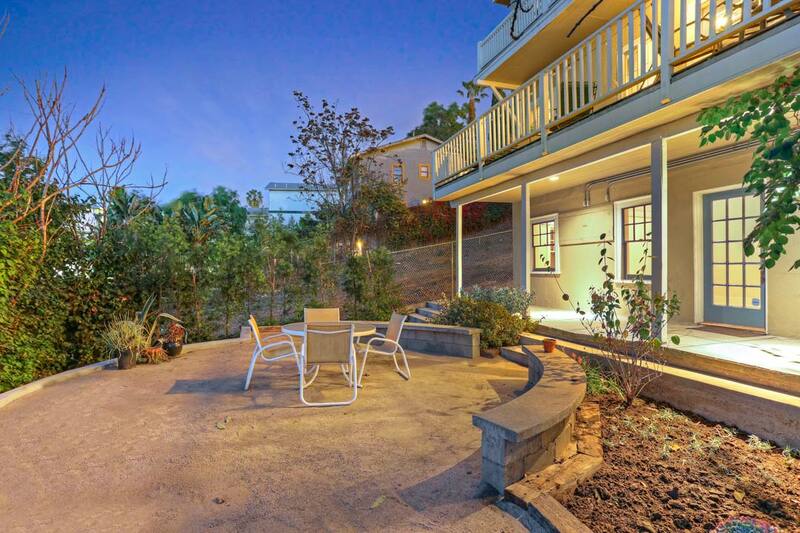 Silver Lake and Downtown LA are mere minutes away. 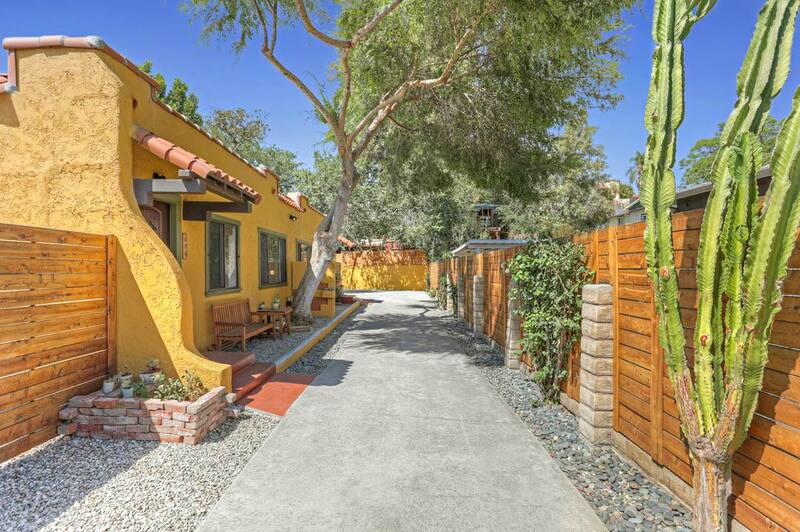 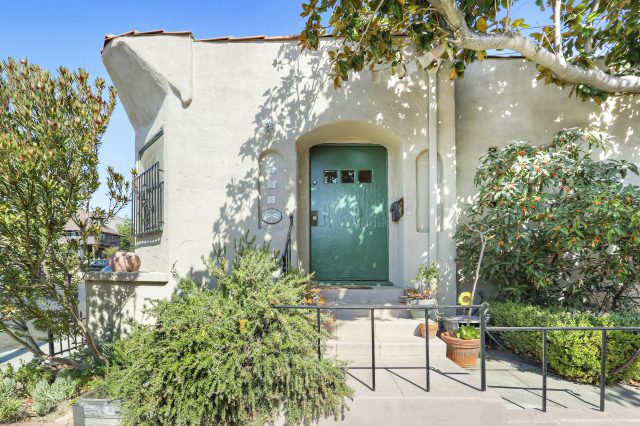 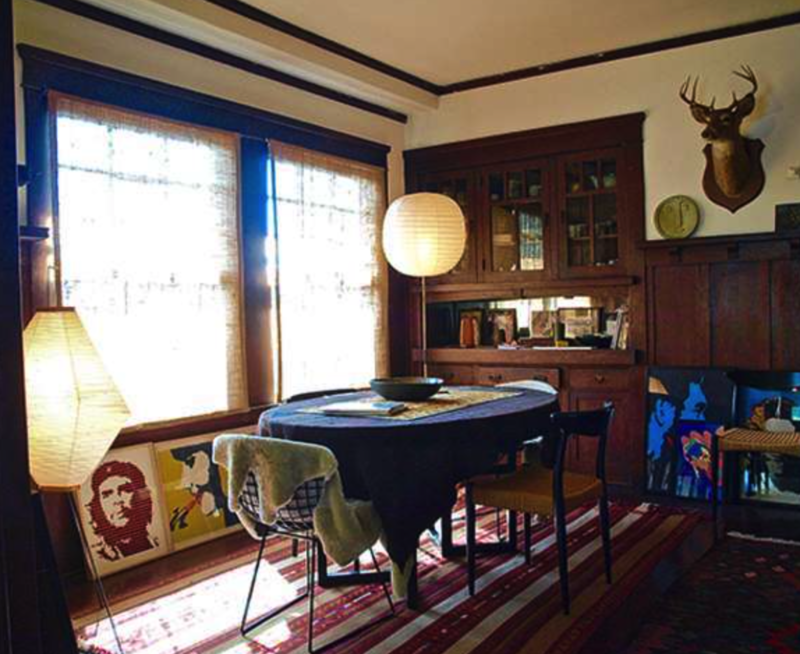 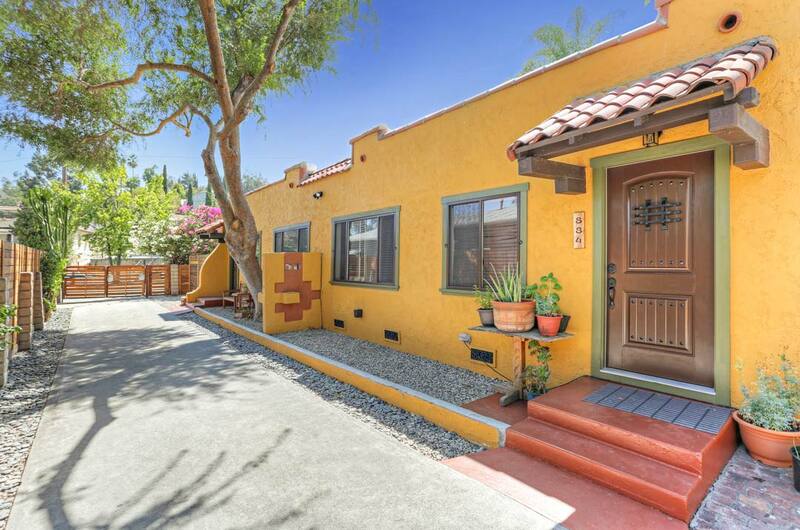 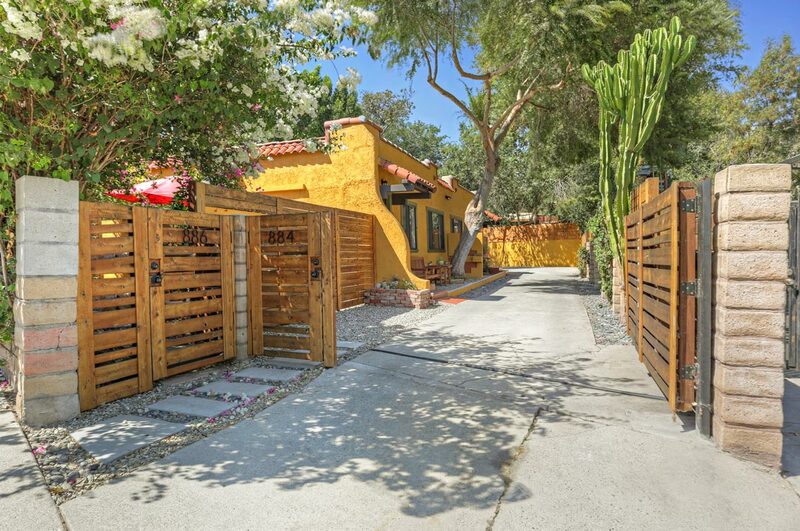 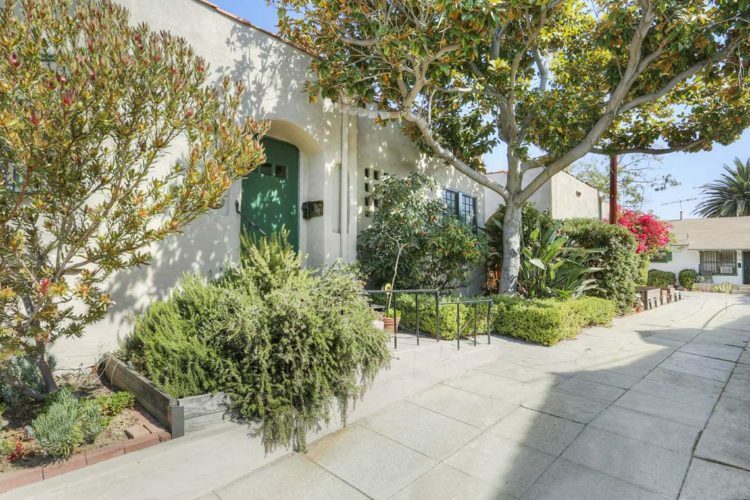 A Spanish style fourplex in an excellent Los Feliz location. 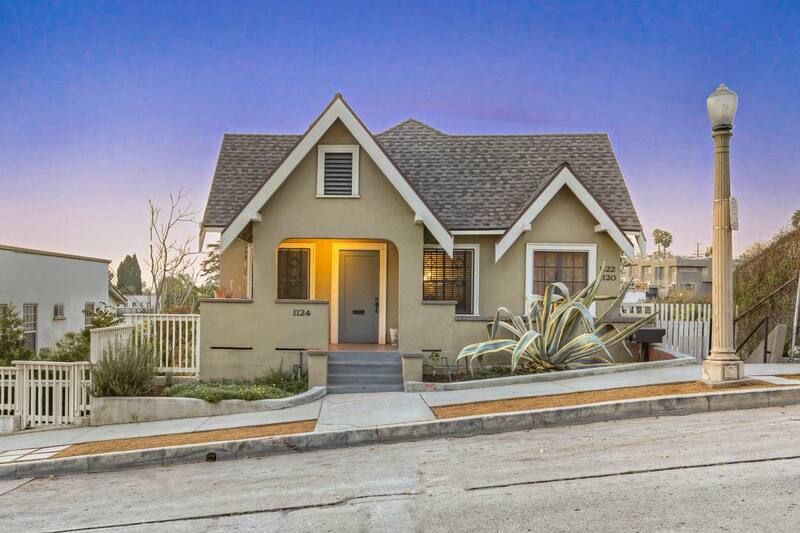 The corner-lot property has curb-appeal and presents great income potential. 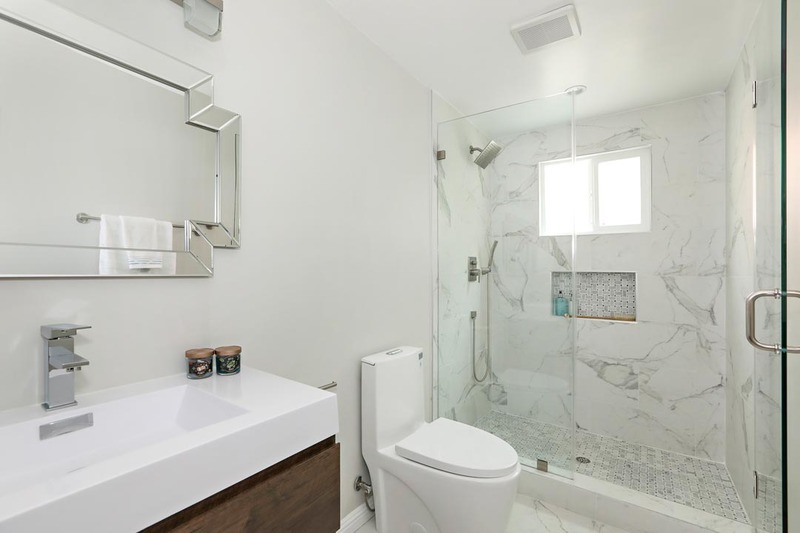 There are two detached plus two side-by-side units, each with one bedroom, one bathroom and generous amounts of space. 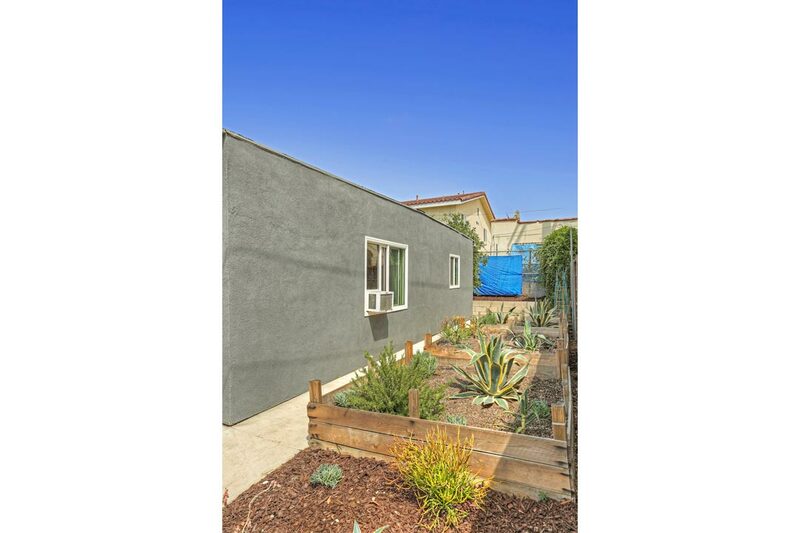 One unit will be delivered vacant, ready to lease at market rate or to enjoy as an owner-user. 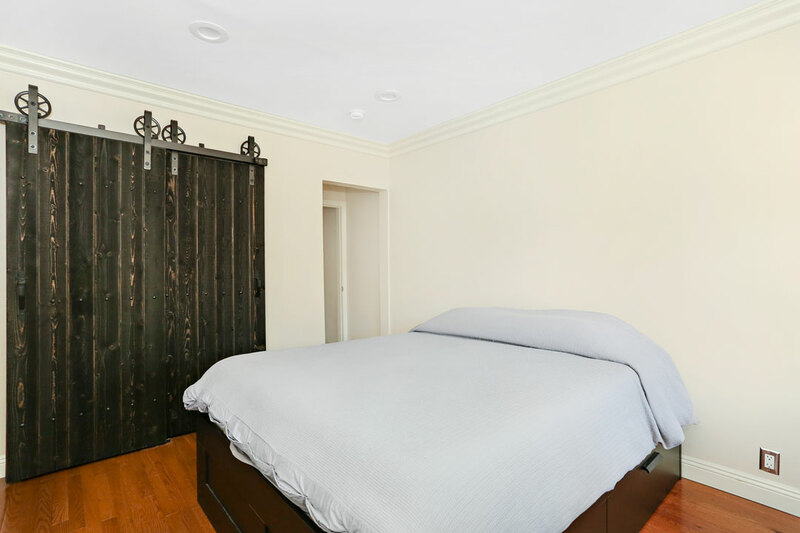 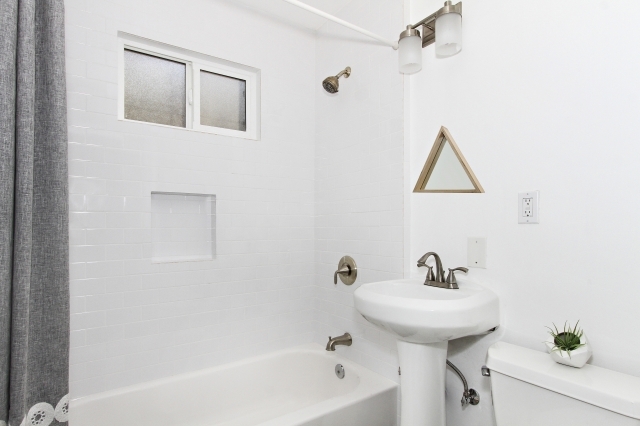 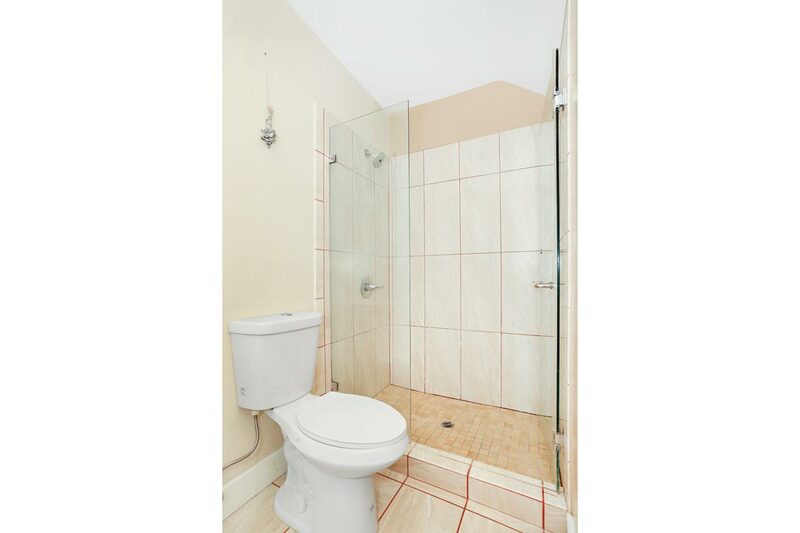 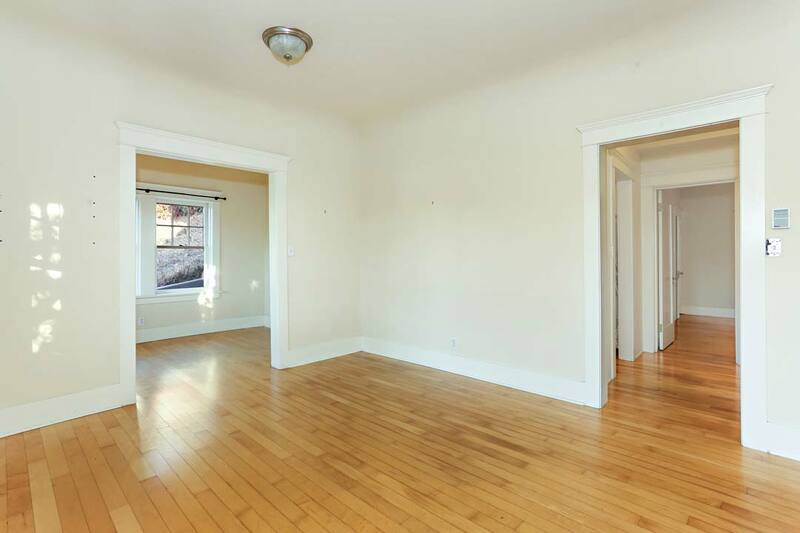 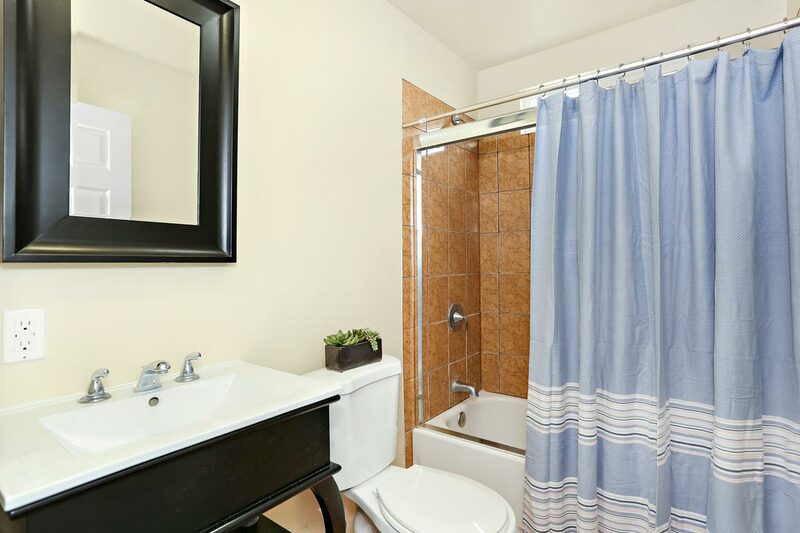 This unoccupied apartment features separate living and dining areas, in-unit laundry, wood flooring, and a refurbished bathroom with subway tile. 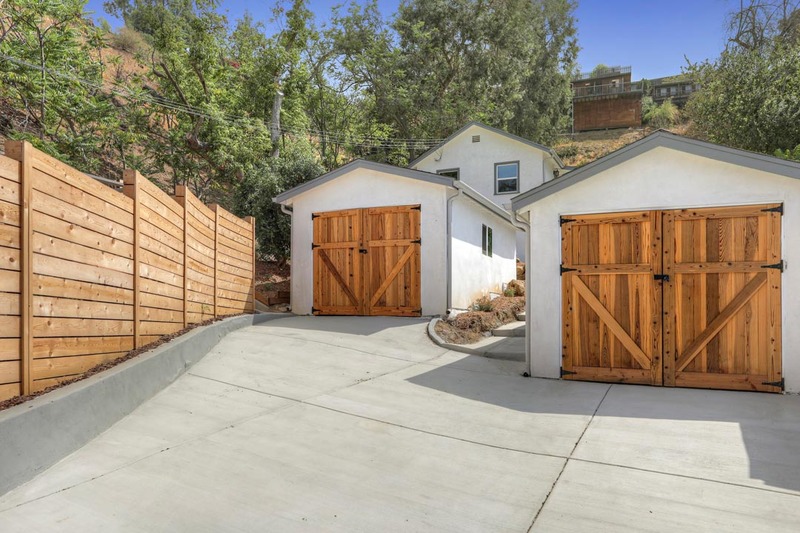 The property features drought-tolerant landscaping and a pair of single-car garages which can be used for vehicles or storage. 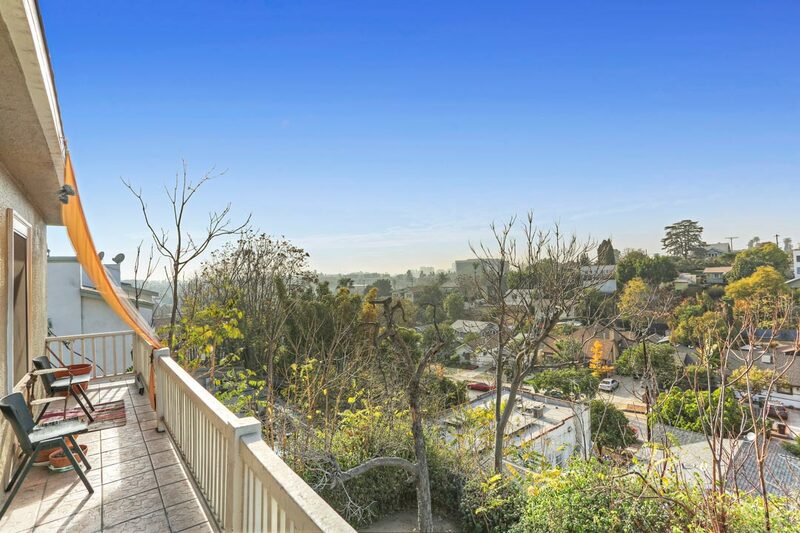 From this highly desirable location it takes mere steps to reach Caffe Vita, the Vista theater and all of Los Feliz Village. 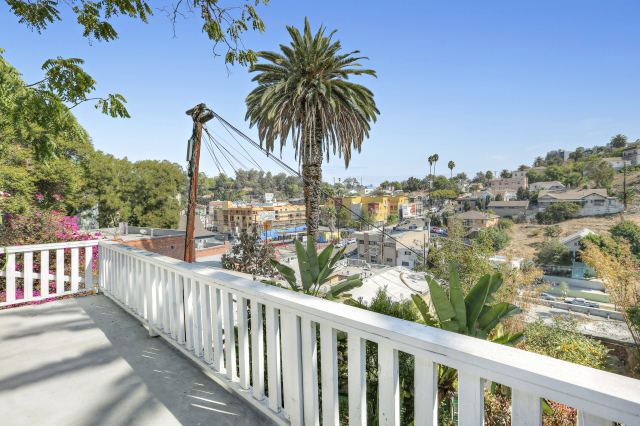 Silver Lake’s trendy Sunset Junction is a few blocks away, and there’s easy access to the metro station and the 2, 5 and 101 freeways. 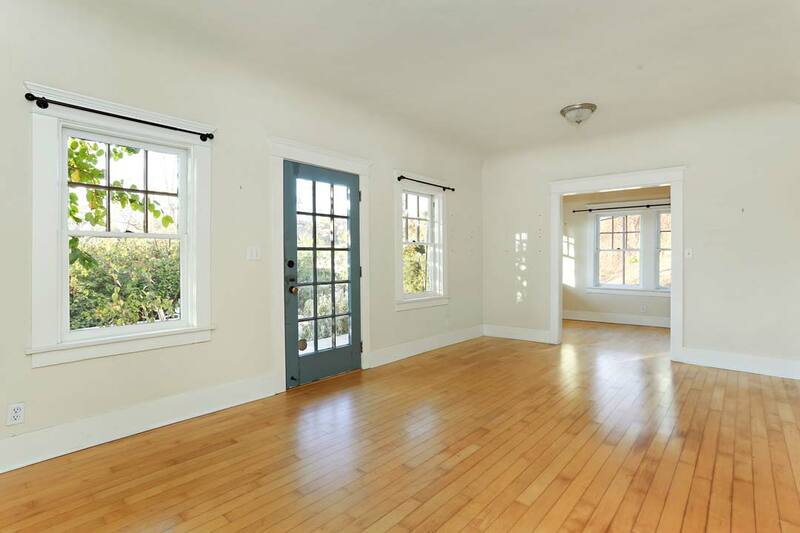 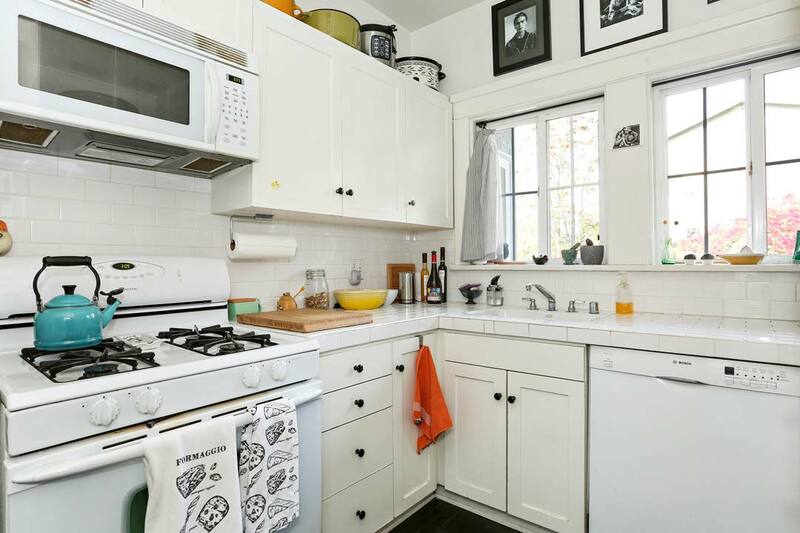 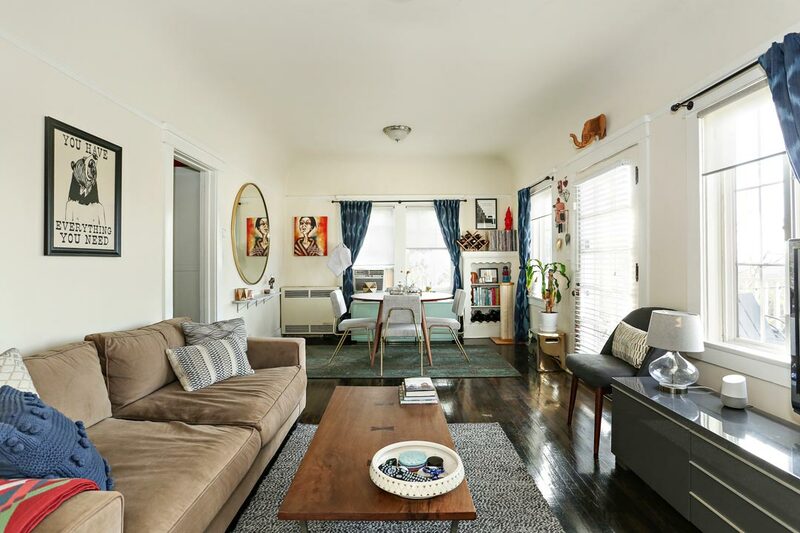 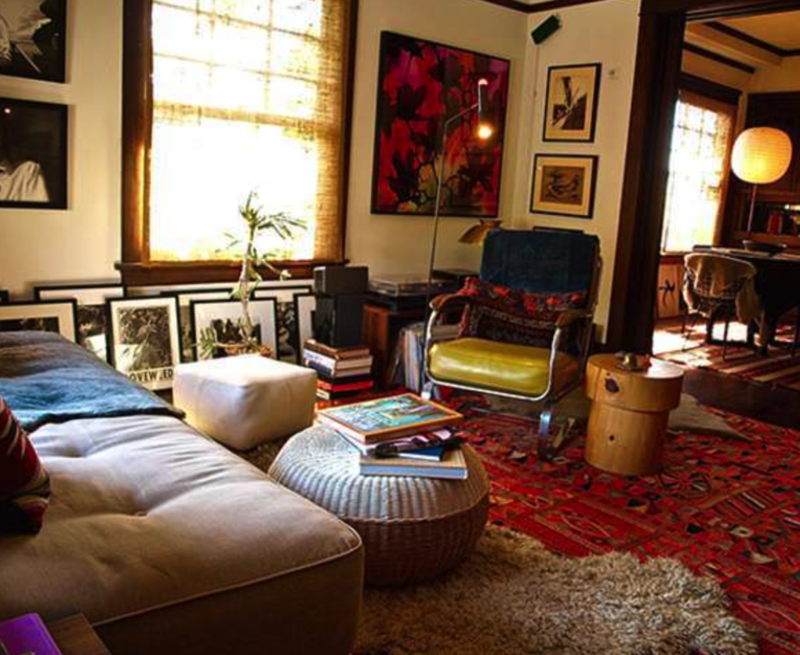 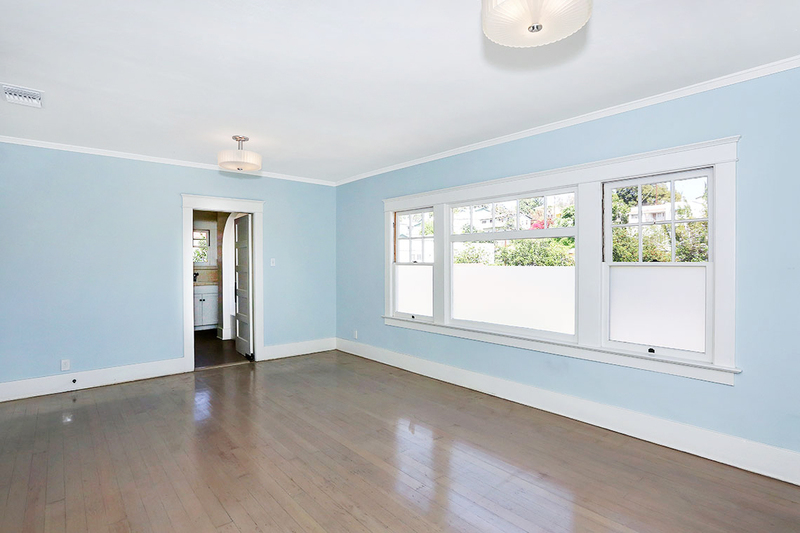 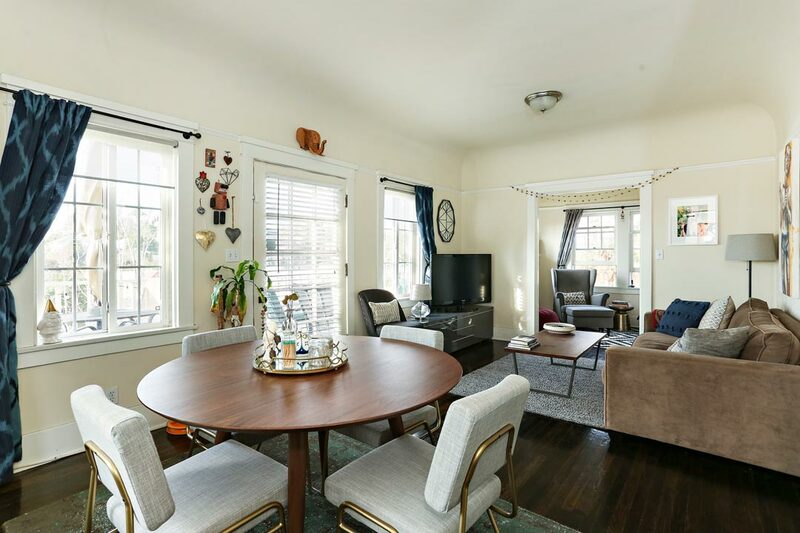 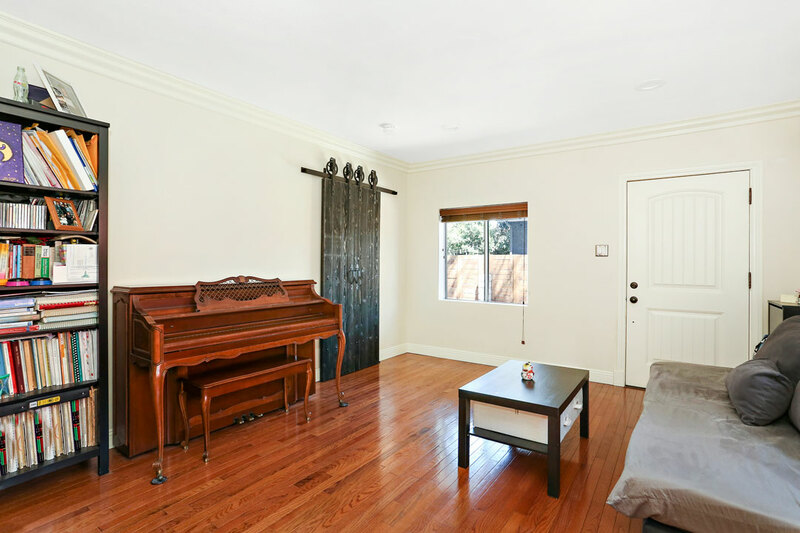 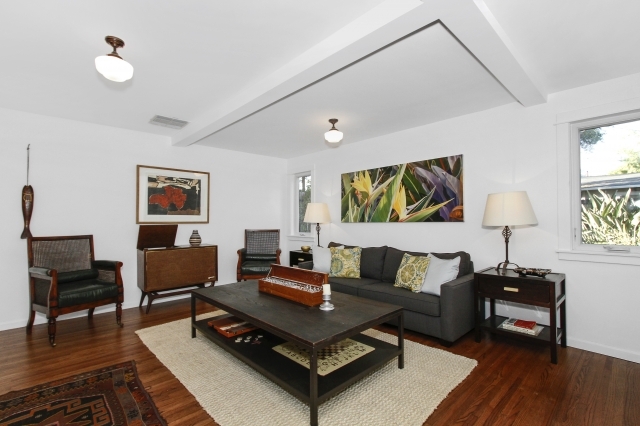 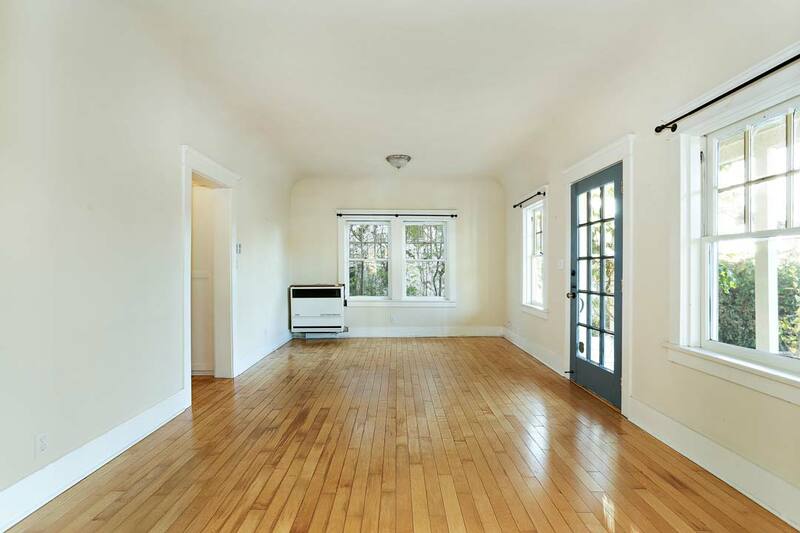 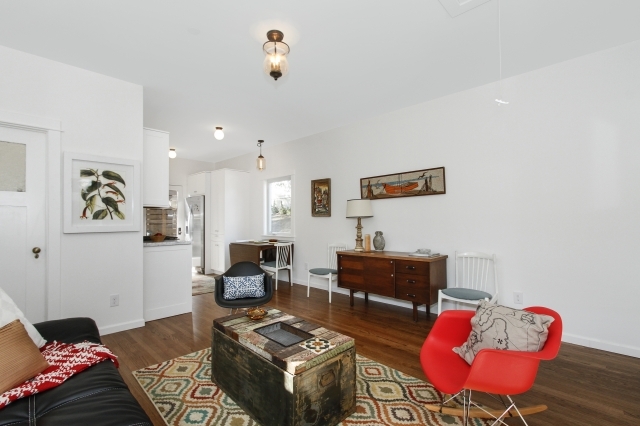 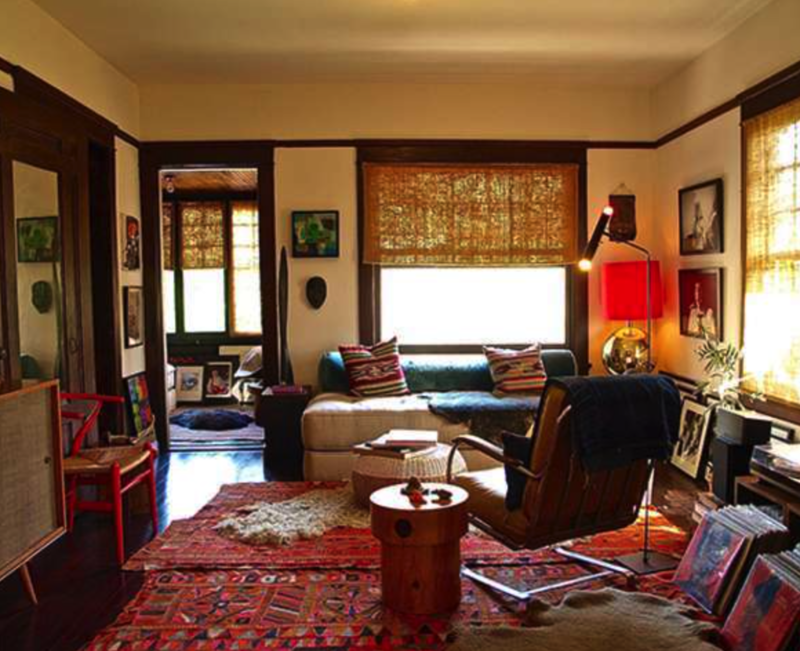 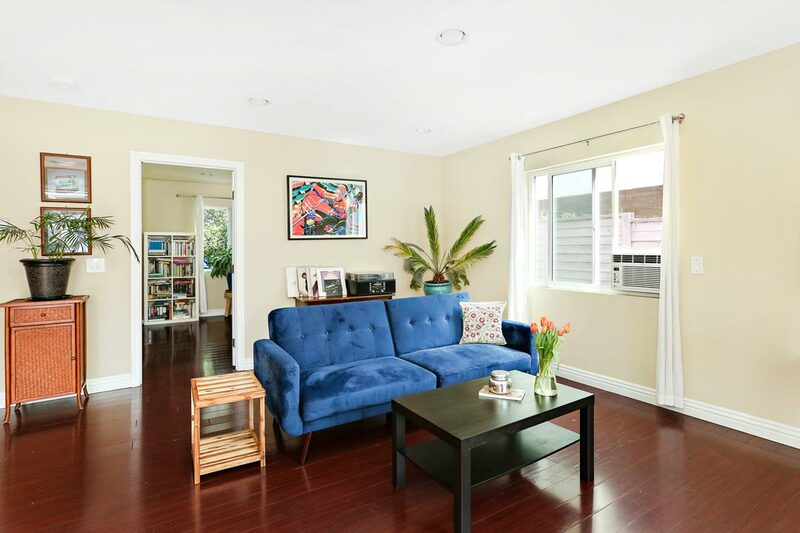 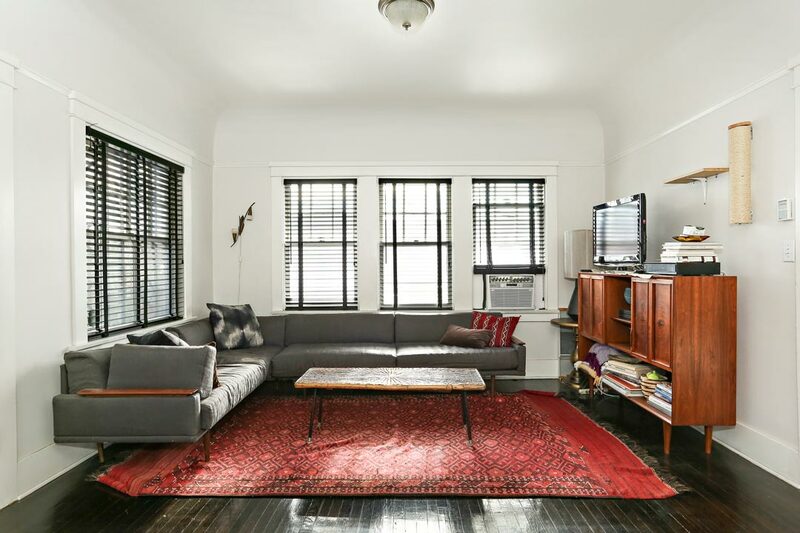 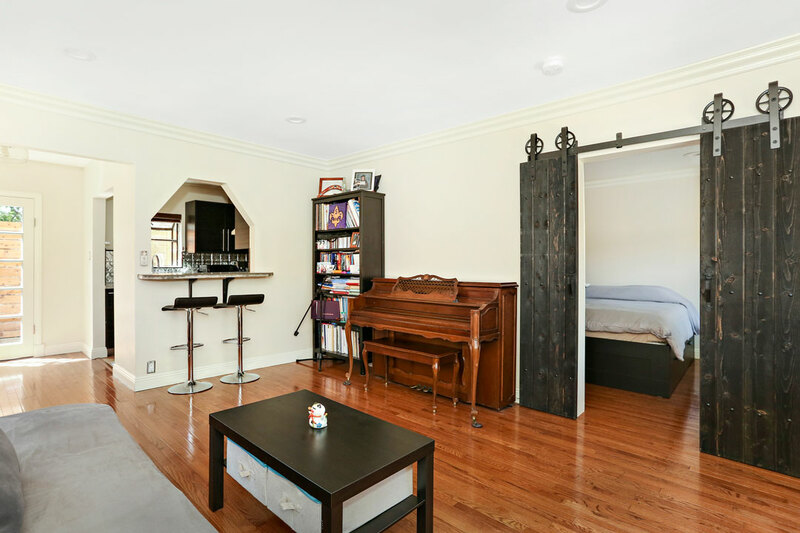 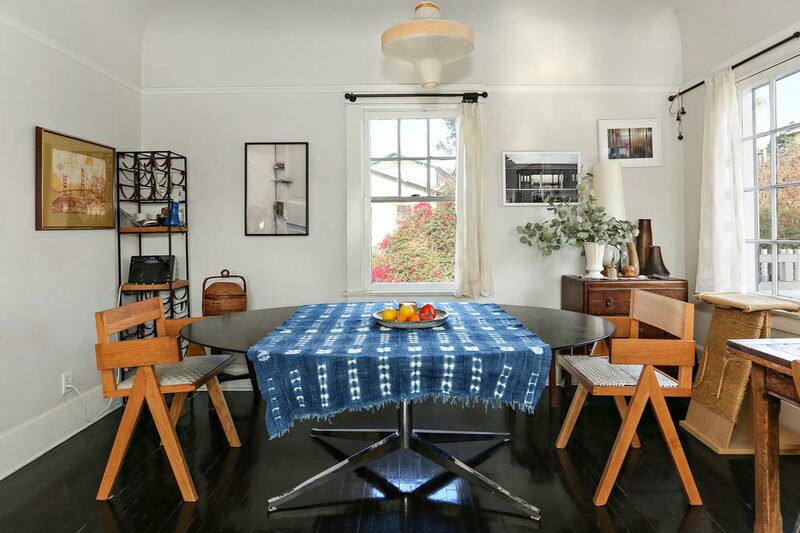 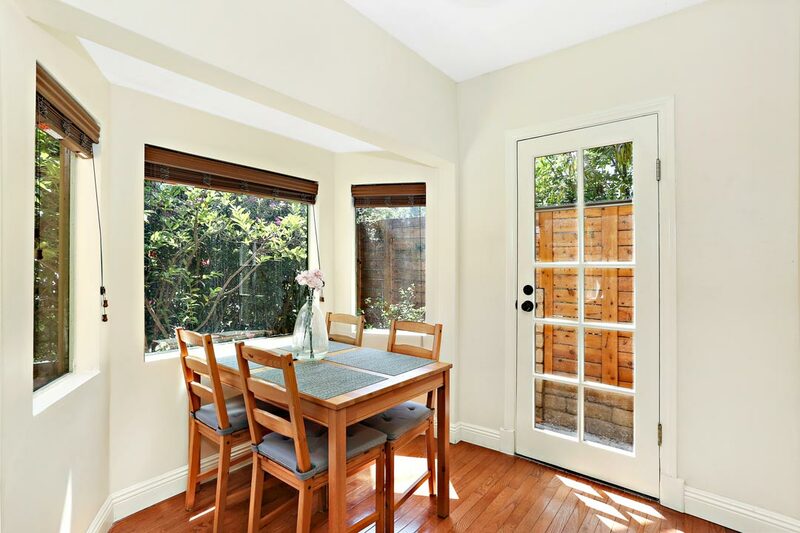 Living Area: 1,657 Square Ft. / Lot Size: 8,553 Square Ft.
Find classic LA architecture and vintage good looks in this beautiful triplex, well located on a cul-de-sac in trendy Echo Park. 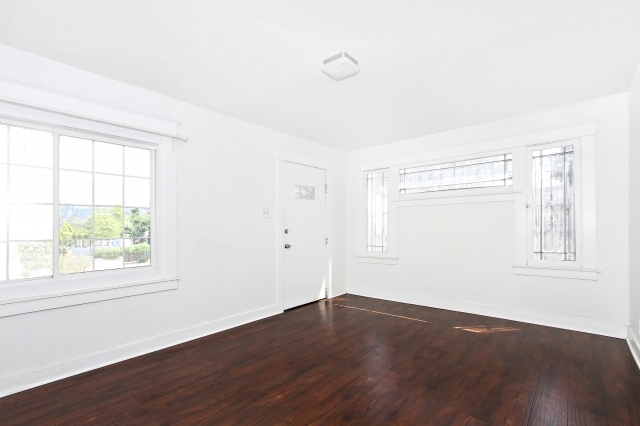 There is one freestanding unit plus two side-by-side units, one of them freshly remodeled and delivered vacant. 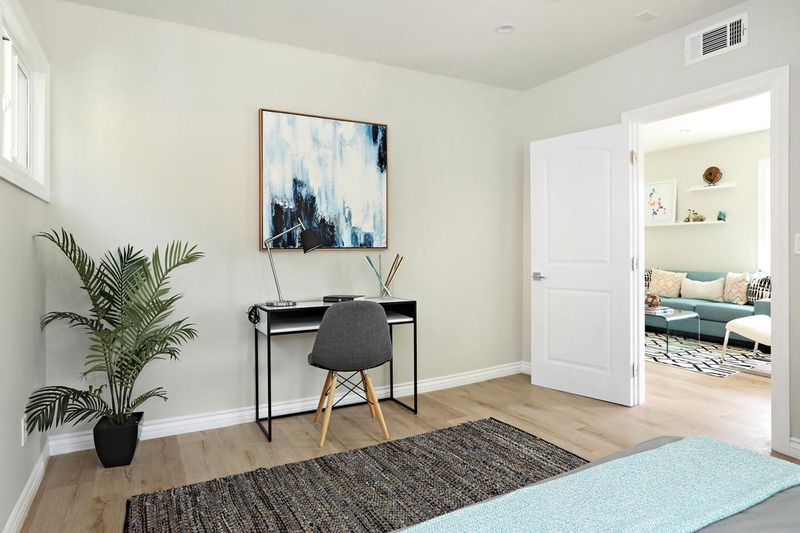 The side-by-side units include private bonus spaces with separate entries, private rear patios and front-facing balconies with sweeping views of the mountains and city. 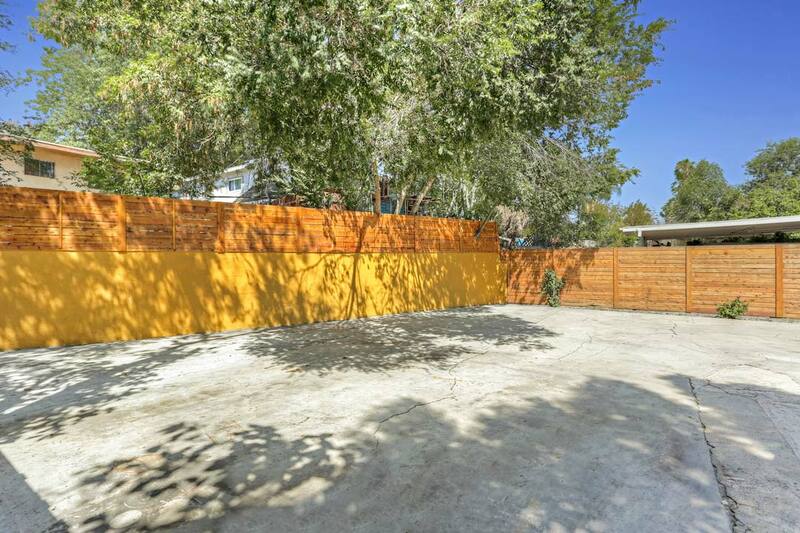 The freestanding unit has a private yard. 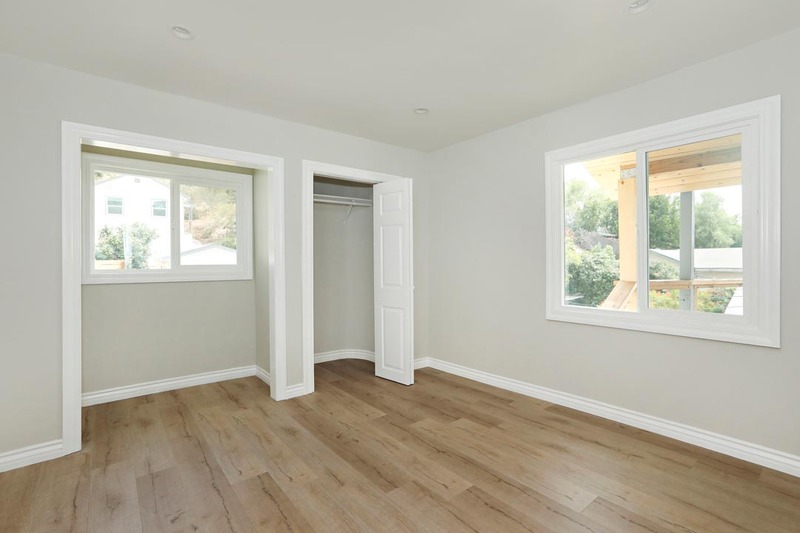 All have hard surface flooring. 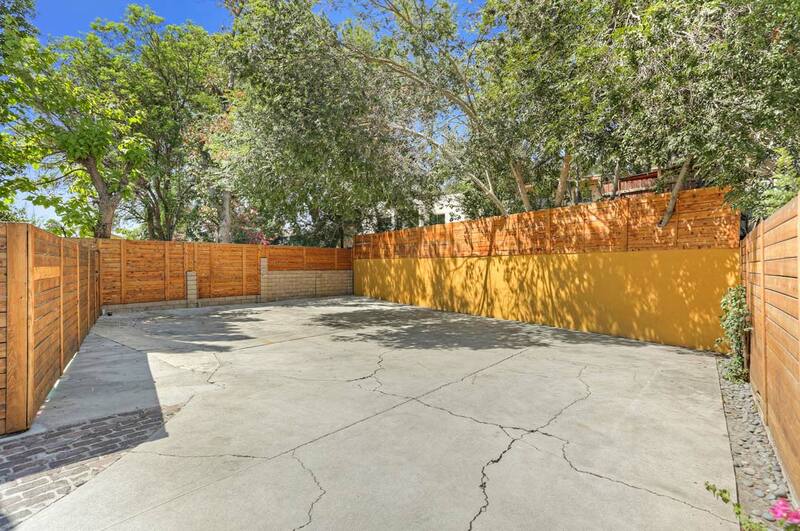 Sprawling grounds provide lots of off-street parking. 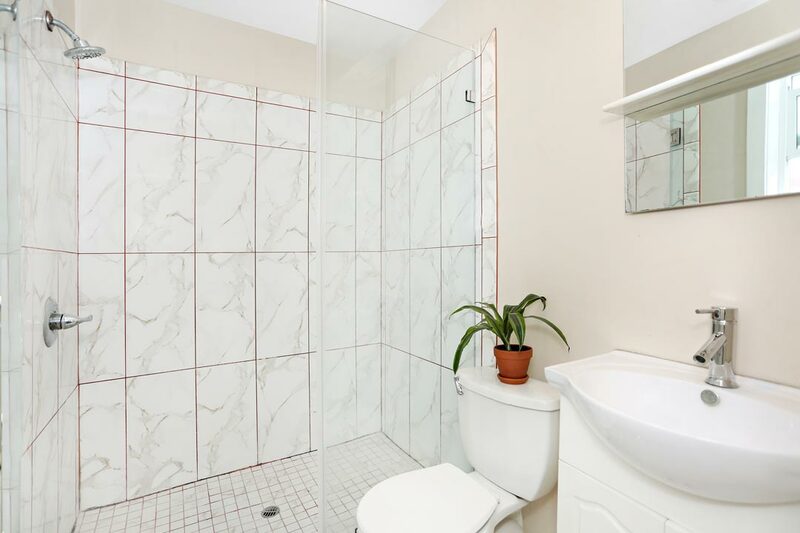 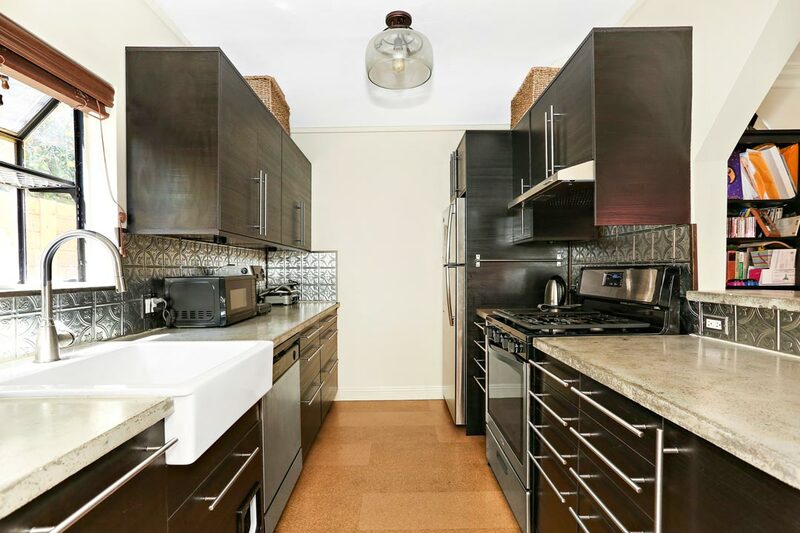 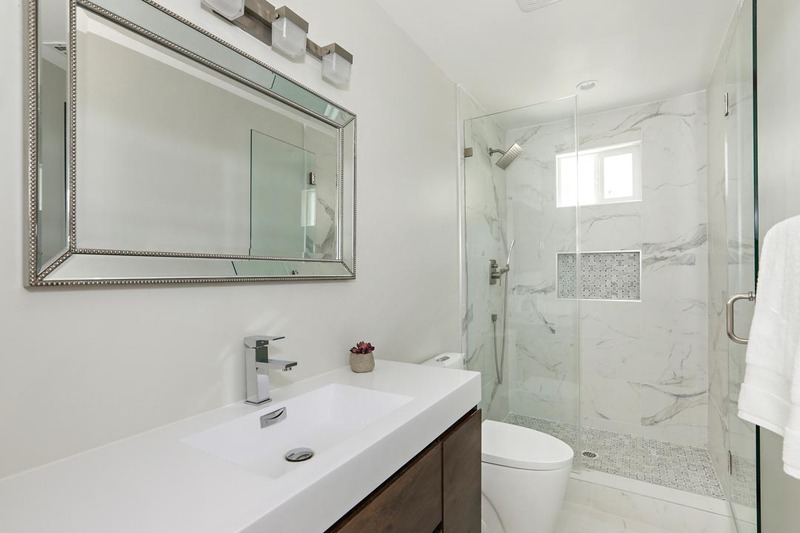 The vacant unit is stylishly updated throughout including the bathroom with tile and a pedestal sink, and the kitchen finished with stone countertops and stainless appliances. 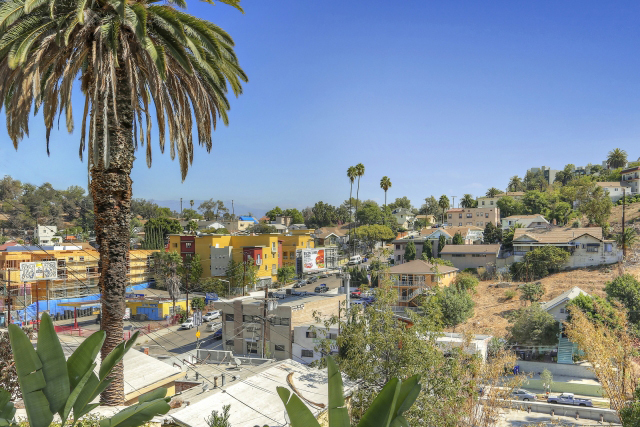 Nearby are Echo Park hot spots Masa, The Semi Tropic and Blue Bottle Coffee, along with Silver Lake favorites LA Mill, Alimento and many more. 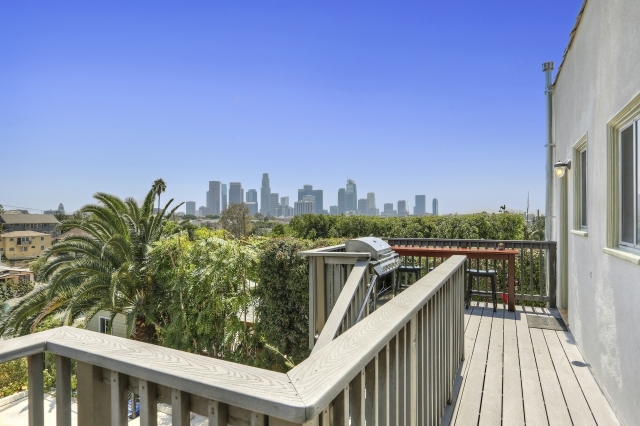 Lassen’s Market, Whole Foods 365, The Silver Lake Reservoir, Elysian Park and Downtown LA are all within easy reach. 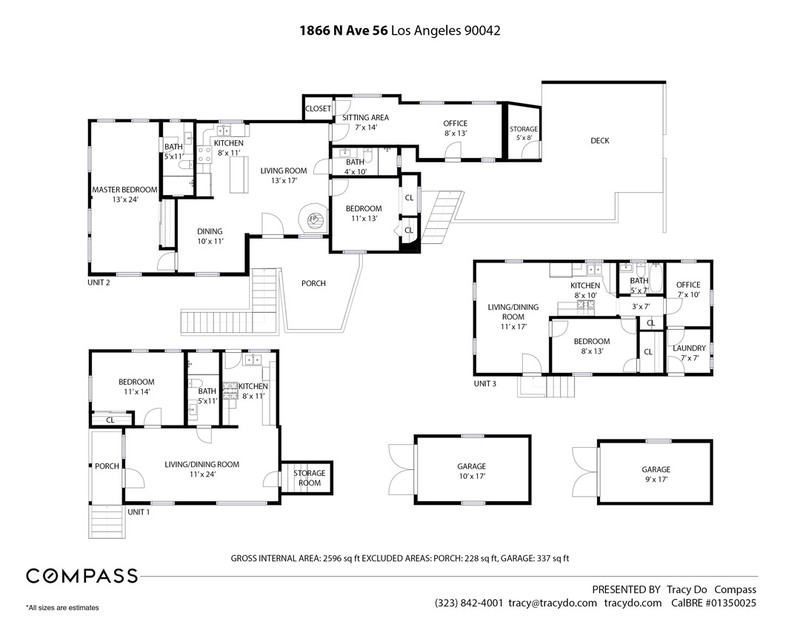 Living Area: 3,834 Square Ft. / Lot Size: 4,645 Square Ft. 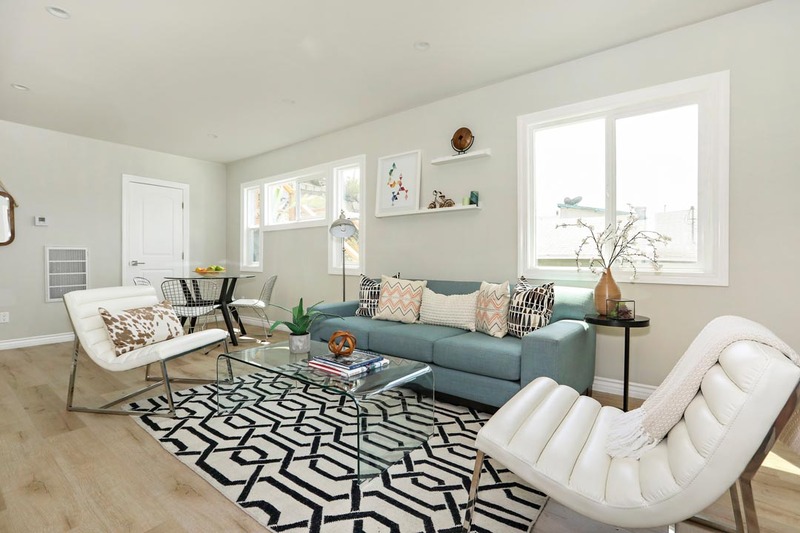 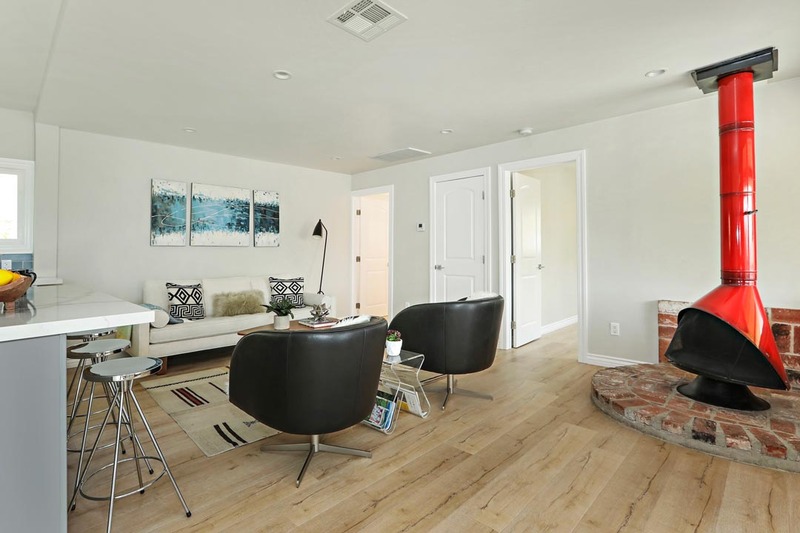 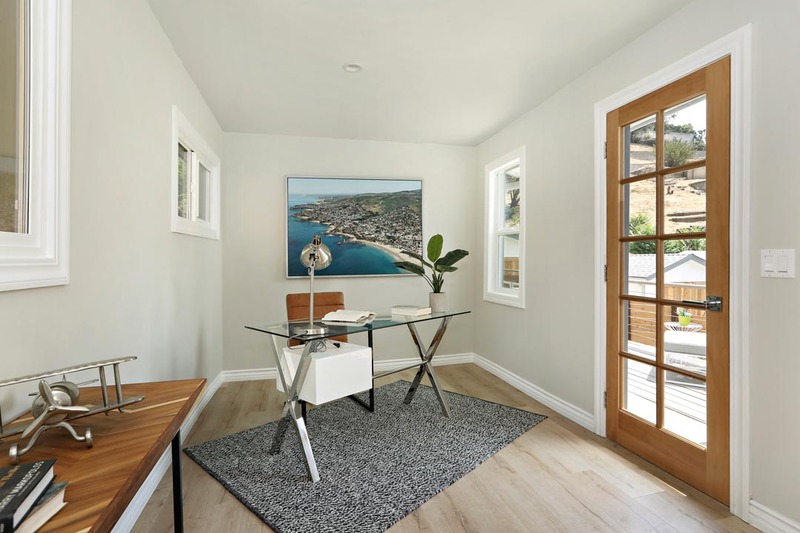 Living Area: 2,580 Square Ft. / Lot Size: 6,935 Square Ft.
ReInhabit is pleased to present their latest work, a beautifully rendered duplex in a prime Eagle Rock location. 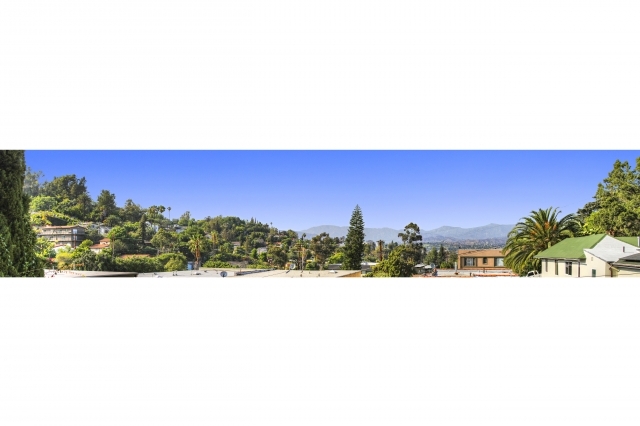 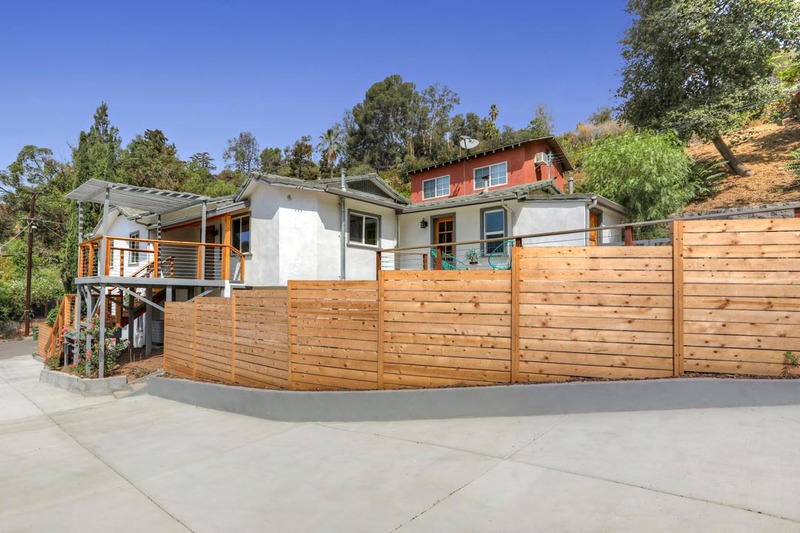 The two separate, standalone dwellings are nestled on a hillside in the coveted Dahlia Heights Elementary School District with sweeping views across treetops, city lights and the San Gabriel Mountains. 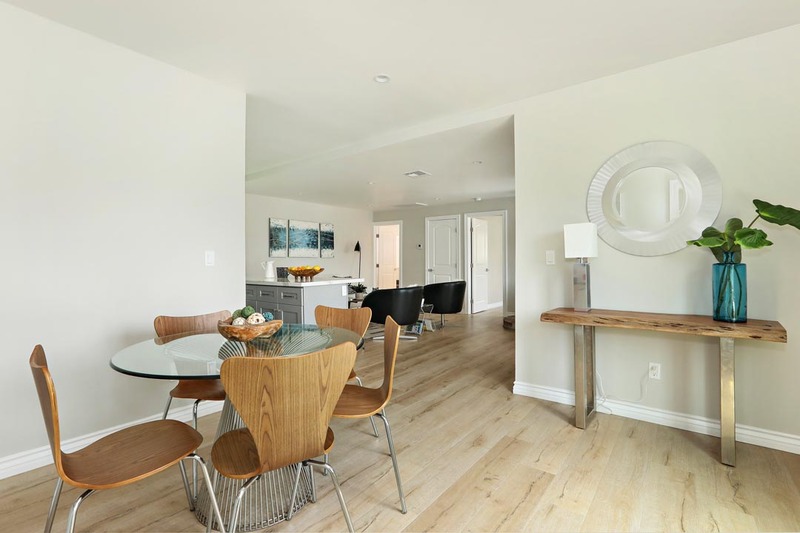 In the larger and very stately main unit find 3 bedrooms, 3.5 bathrooms and a rustic/modern aesthetic in perfect tune with its surroundings. 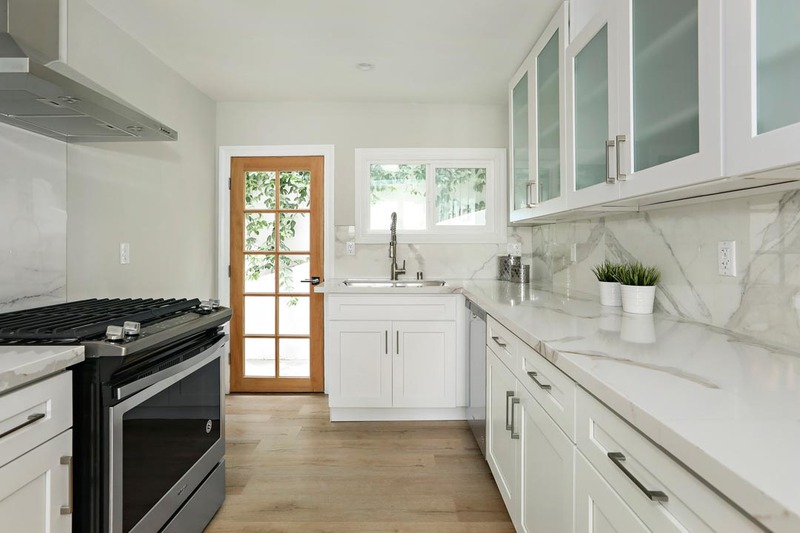 The second unit is a light-filled cottage built from the ground up with a full kitchen, bathroom and its own outdoor space. 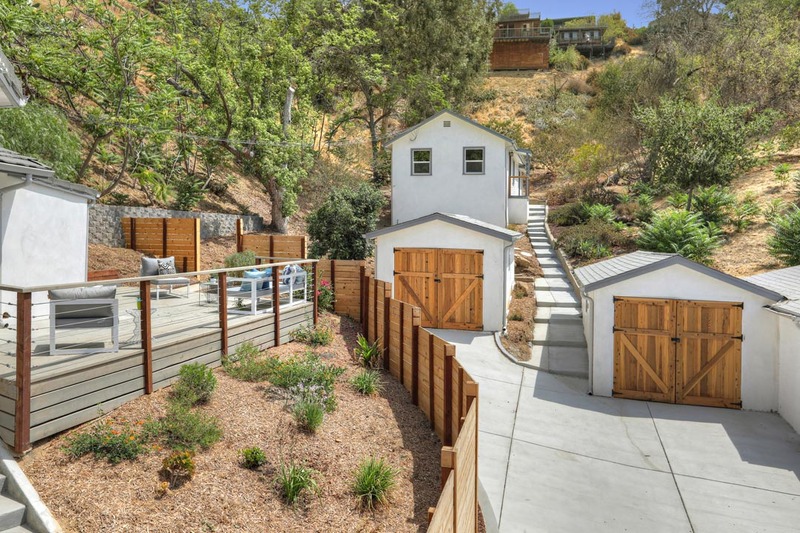 This duplex takes full advantage of its verdant hillside location, rising above a newly-built three car garage. 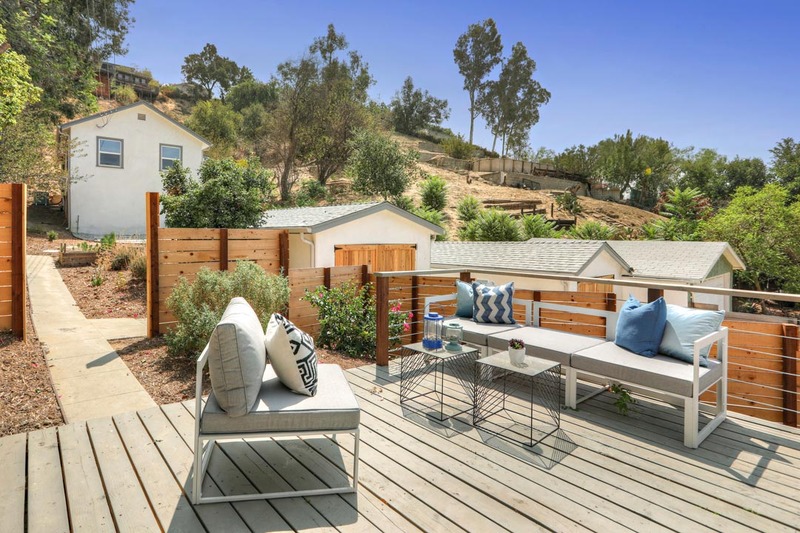 In the lower-front of the property sits the cottage, a California dream with a front porch for relaxing, a rear patio for barbecues and a sparkling interior complete with heating and air conditioning. 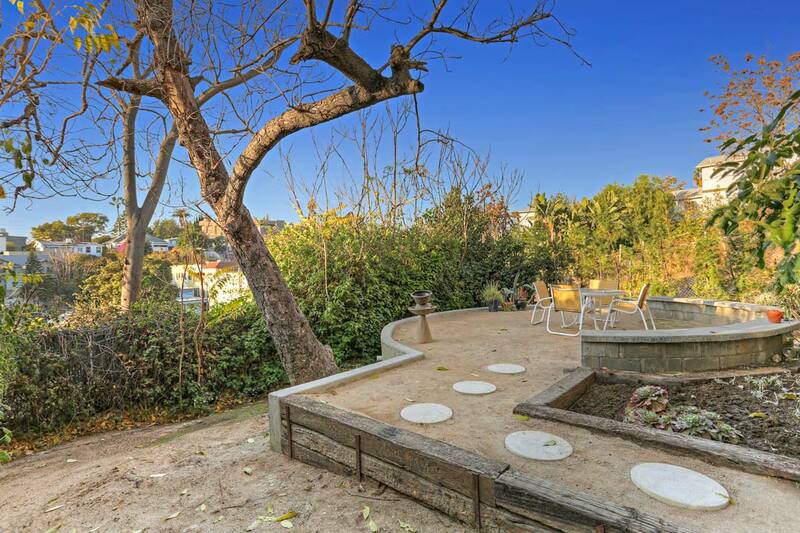 Further into the property are mature trees, a flat expanse of yard that can be shared, a terraced organic vegetable garden and above them the larger house. 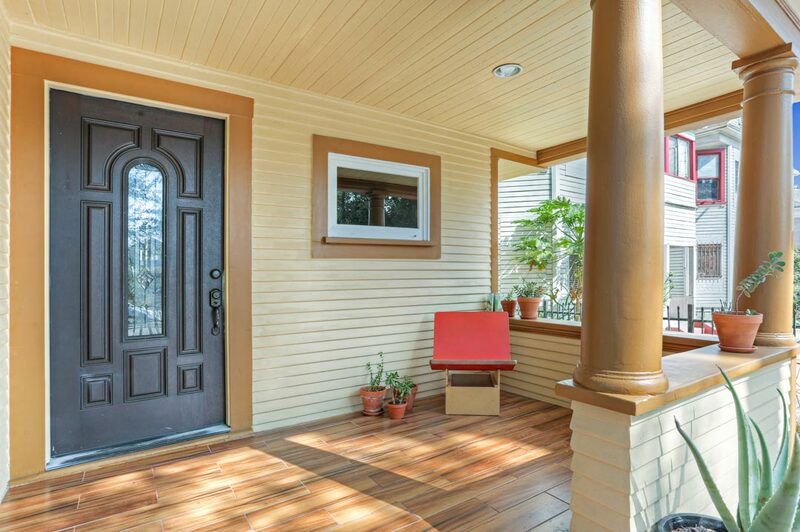 Among its standout features is a large wraparound front porch with hand-milled pickets, a lovely setting sure to inspire lazy afternoons and long nights of conversation. 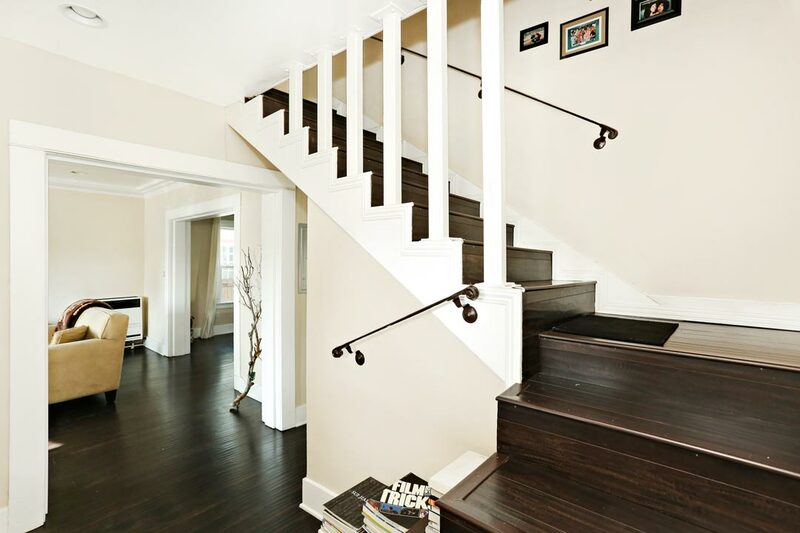 Inside this gracious three-story is a central level featuring open living, dining and kitchen with a powder room for guests. 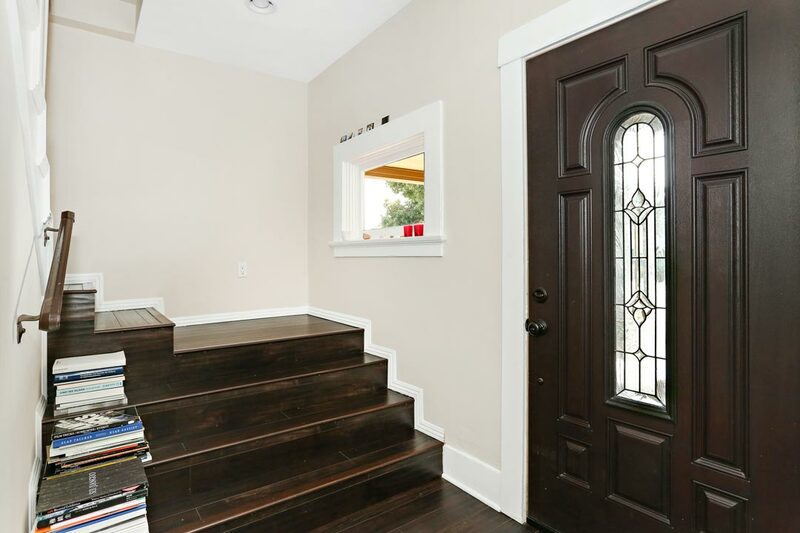 Upstairs are two bedrooms, two bathrooms, an office nook and a pleasant surprise in a fully restored screen porch that is original to the home. 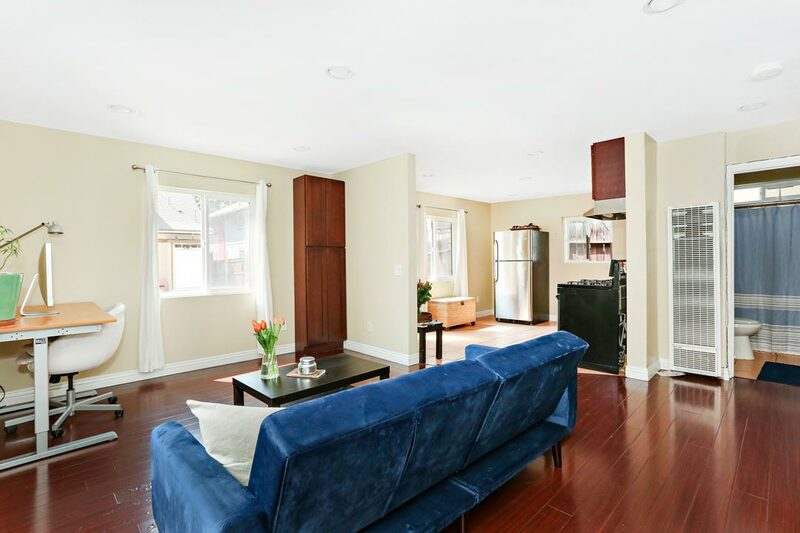 The downstairs level is an expansive third bedroom with its own bathroom and sitting area, a versatile space that could also be your media room, playroom, office or den. 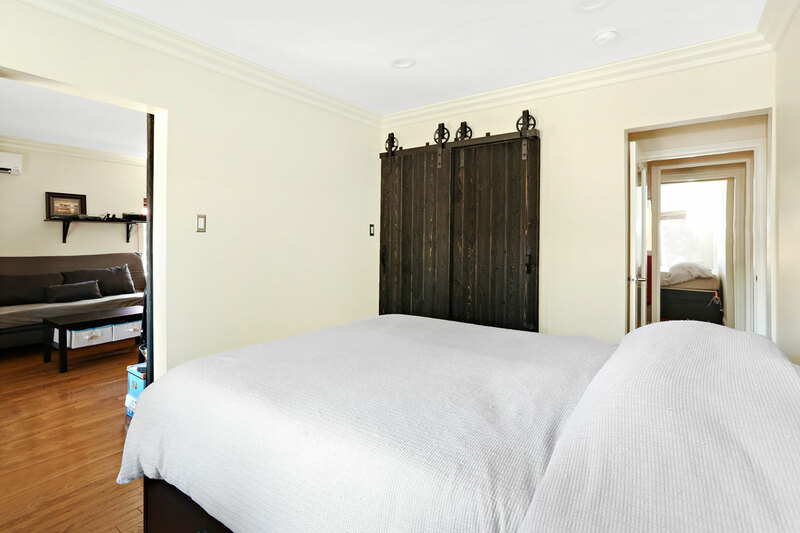 Throughout the residence are one-of-a-kind design elements including sliding barn-style doors, a joint effort with MonsterKraft which are handmade from salvaged lath and framed by tight-grained Douglas Fir. 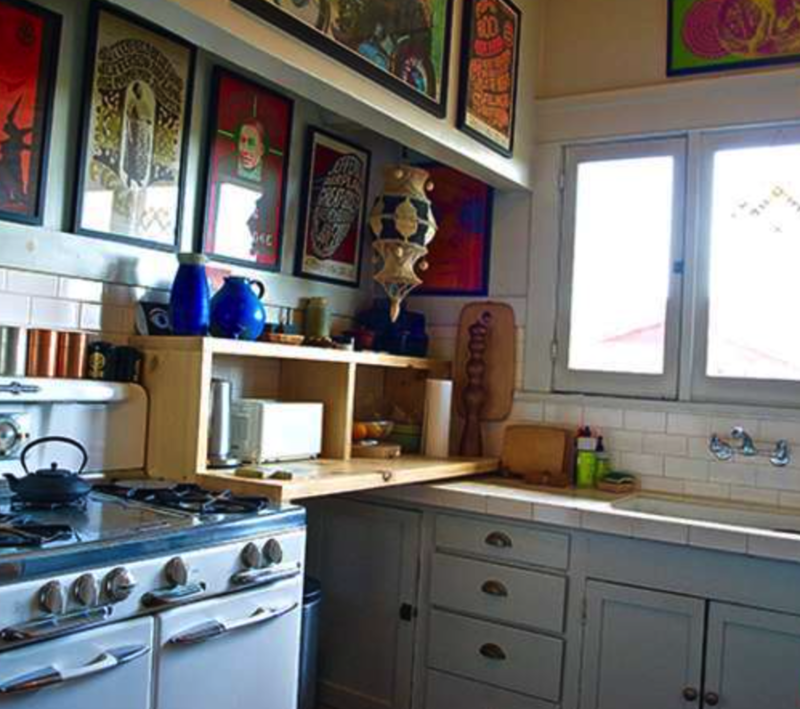 The ReInhabit/MonsterKraft collaboration continues in the kitchen where metal St. Charles cabinets, reclaimed from a scrap pile, have been restored, custom-fitted and given a whole new life. 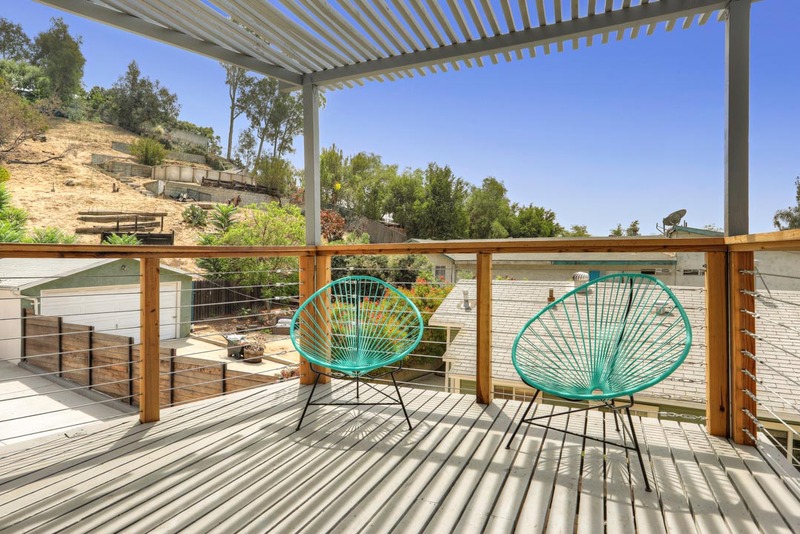 ReInhabit has long established itself as one of LA’s most sought-after design+build firms known for their quality, aesthetics and ethical approach to their craft. 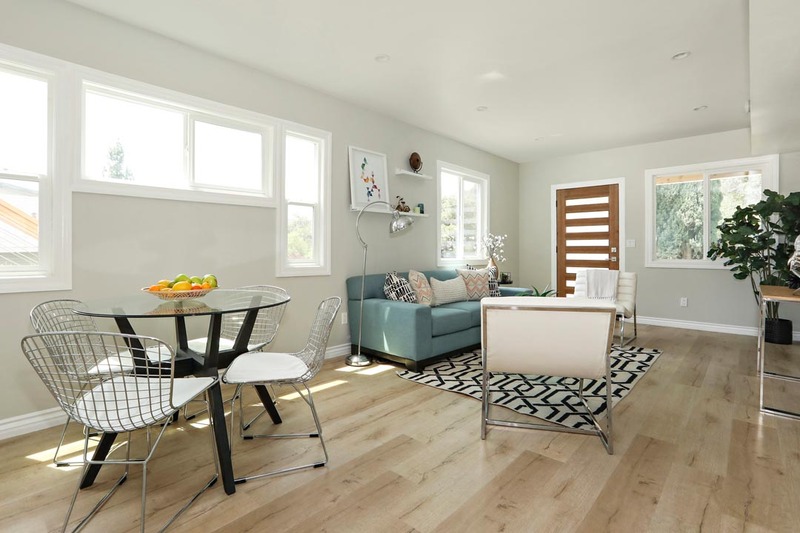 Their stated mission to save, restore and repurpose as much building material as they possibly can is on full display with this duplex. 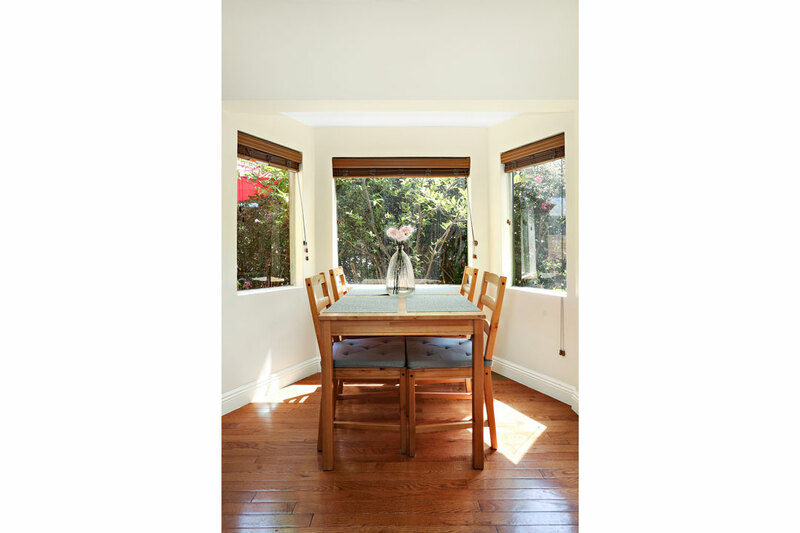 Oak flooring found throughout both residences dates to 1925 and was harvested from a beachside estate in Santa Monica. 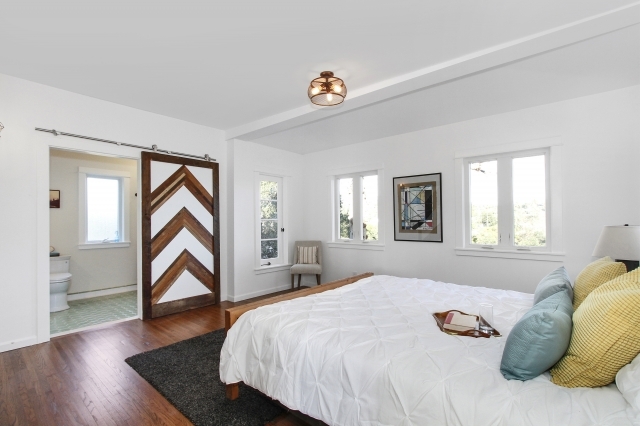 Doors that were salvaged from a Beverly Hills mansion were turned into windows, and medicine cabinets were sourced from a 1926 craftsman in Los Feliz. 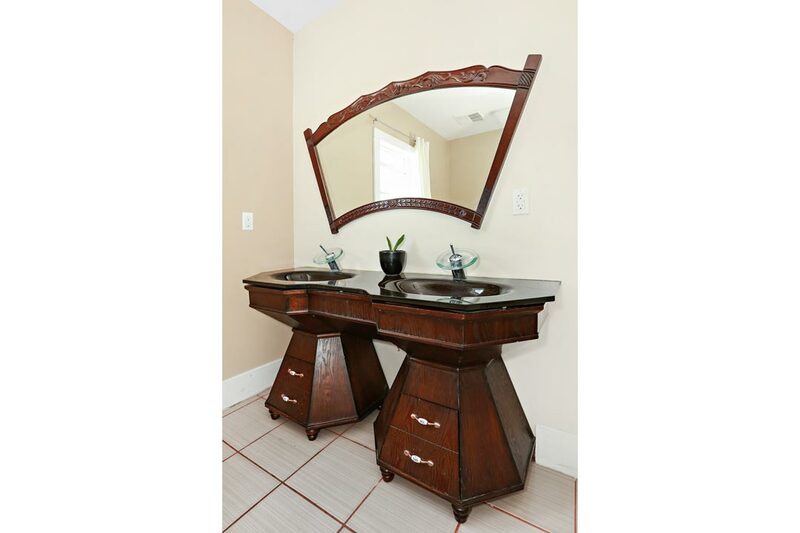 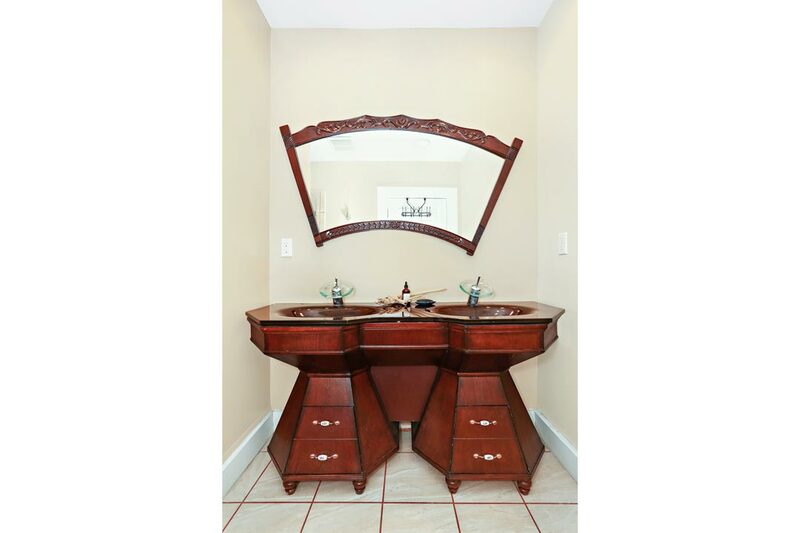 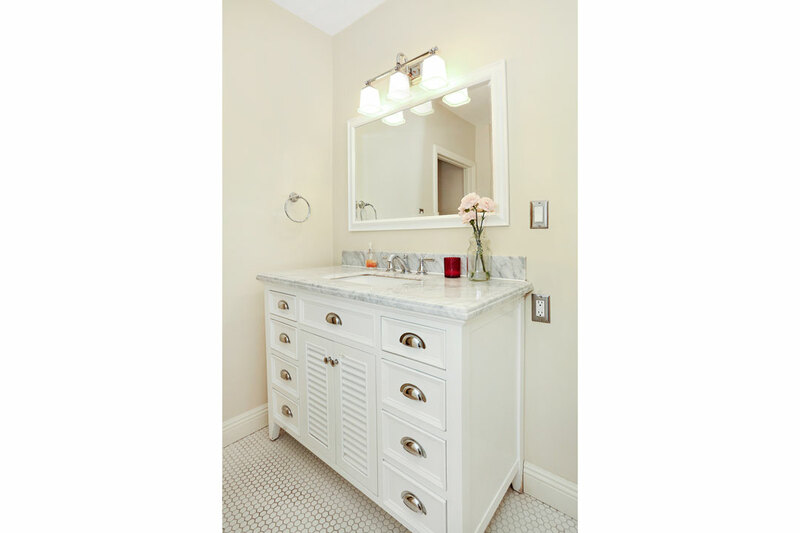 A bathroom vanity was reclaimed from a historic residence in West Adams. 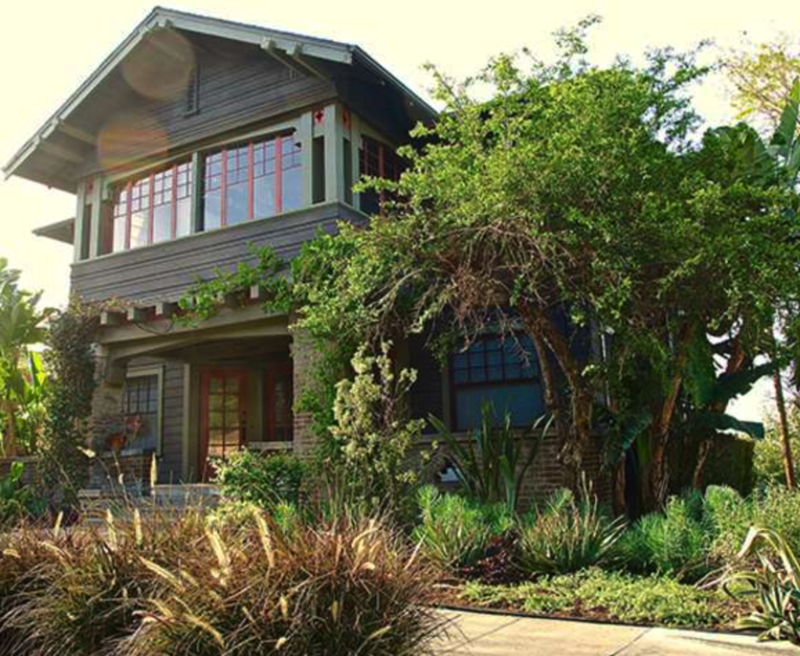 Still more building elements came from a 1890’s cottage in Orange among other unique places. 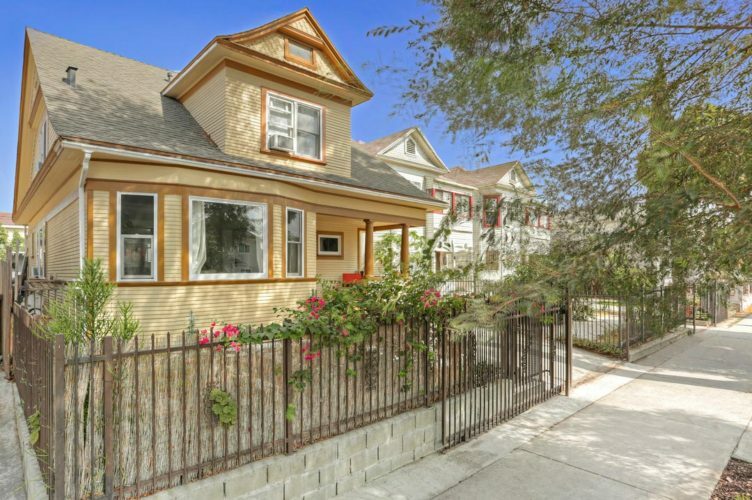 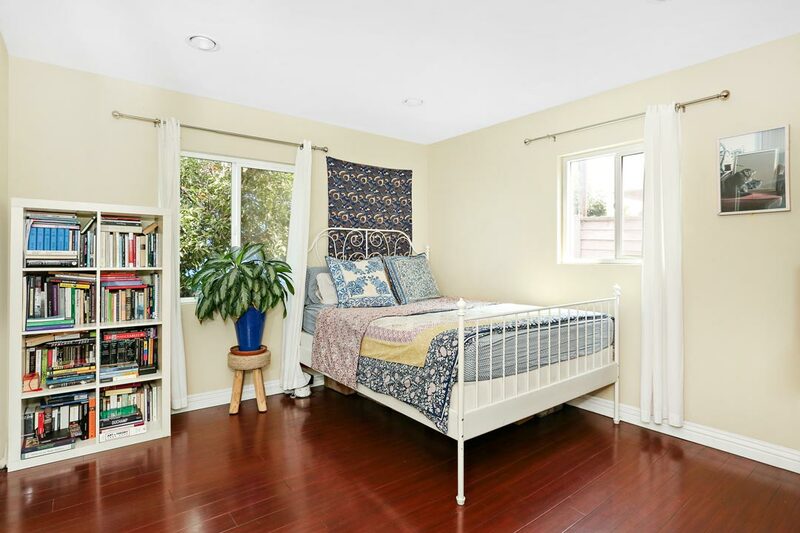 The excellent location in one of LA’s best elementary school districts is just two blocks from Colorado Blvd. with many shopping and dining options including Trader Joe’s, Little Beast, Cacao, Found Coffee and Eagle Rock’s local favorite Casa Bianca Pizza. 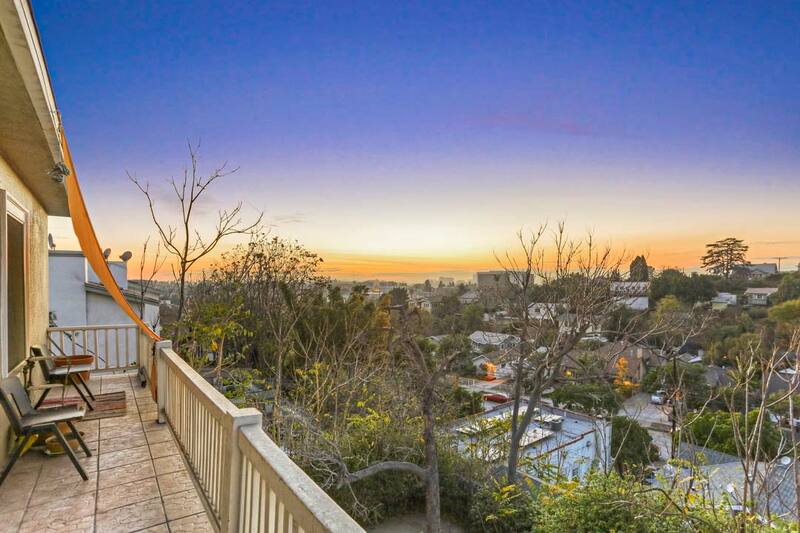 The 134 Freeway is easily accessible as are Old Town Pasadena, Glendale, Highland Park and Downtown LA.